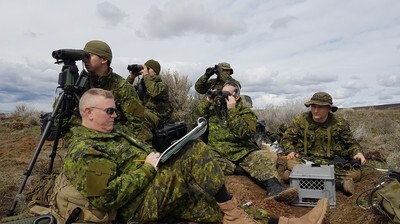 I've got a bunch of pictures, I recognize many of the faces, now I just need someone to write up a story detailing the when, what and why! 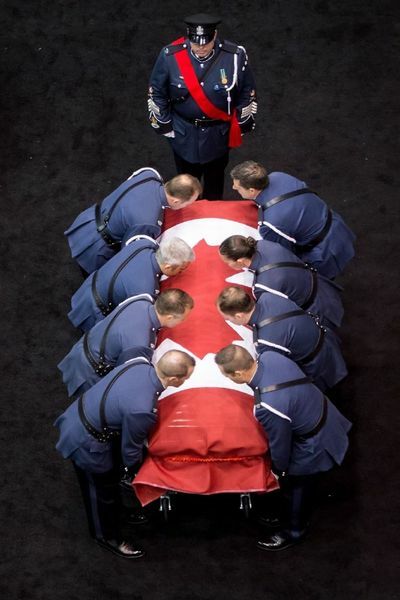 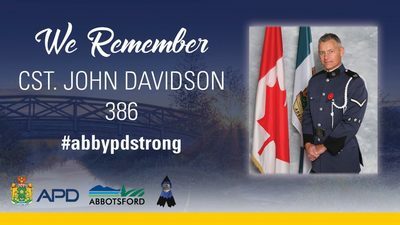 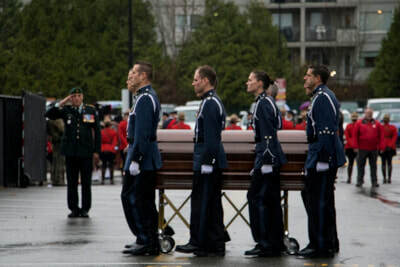 Captain Rob Wishnicki assisted the Abbotsford Police Department with the organization of the Celebration of Life on Sunday, November 19, 2017 for Constable John Davidson who was tragically killed in the line of duty. 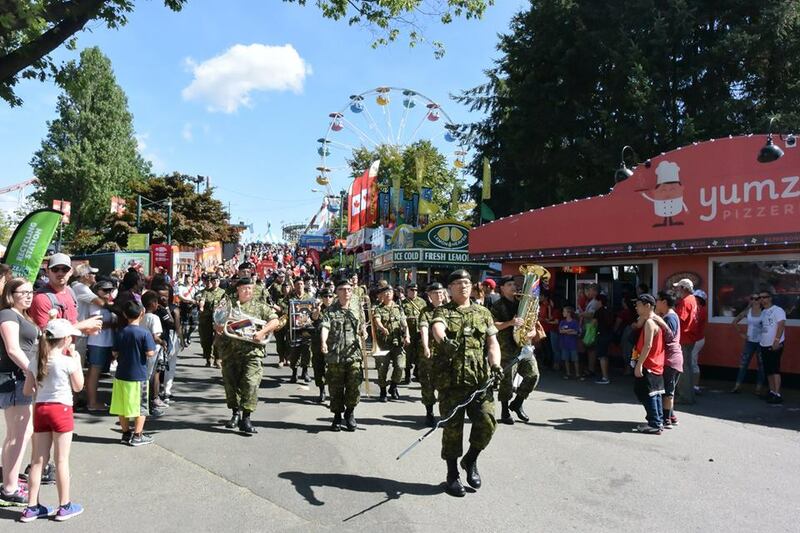 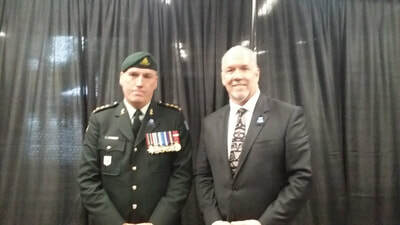 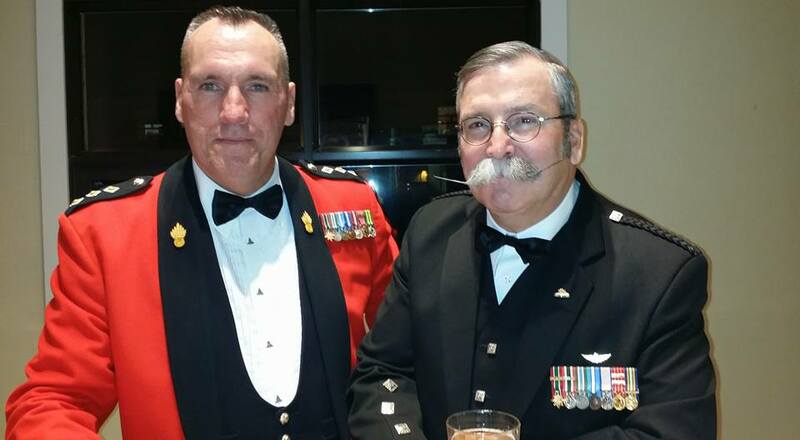 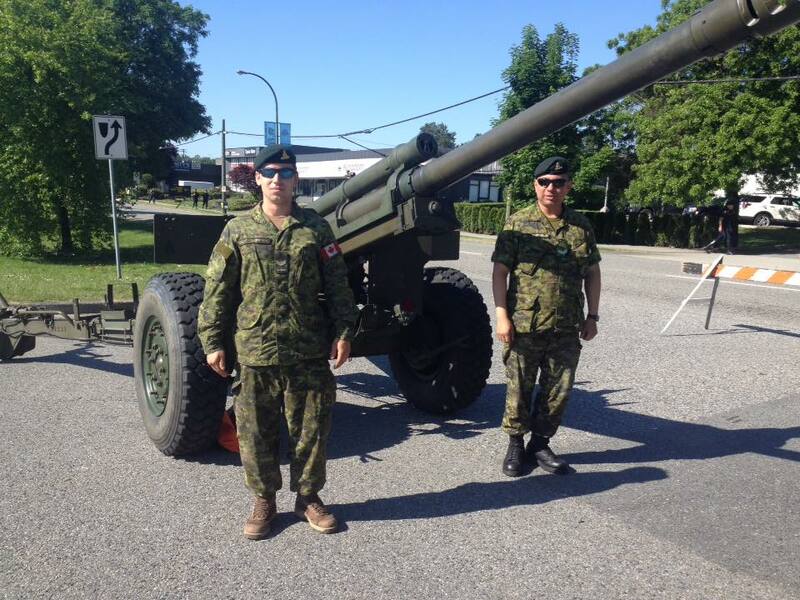 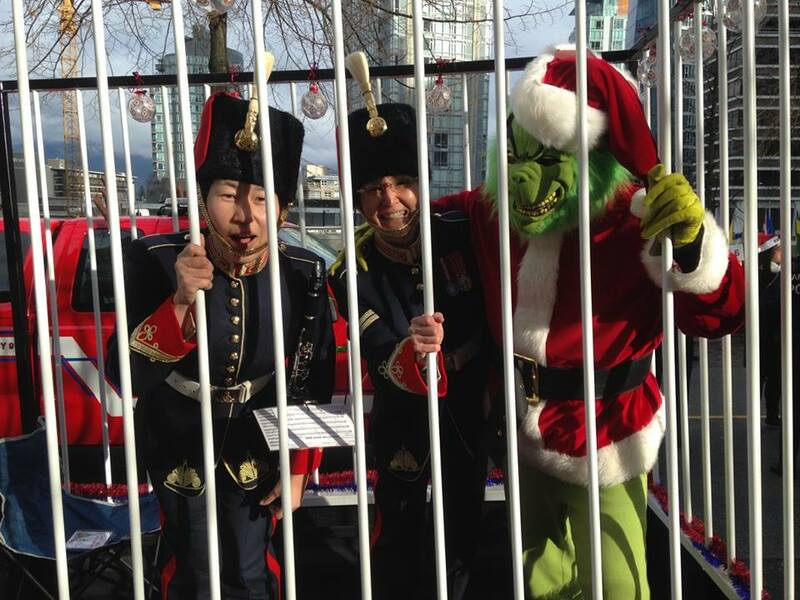 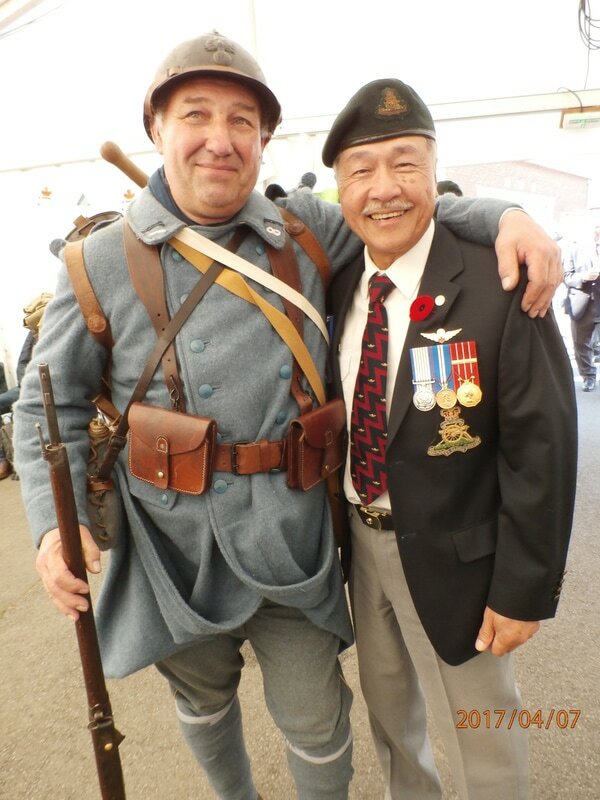 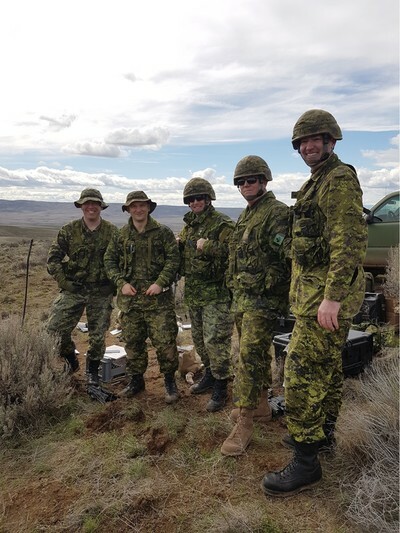 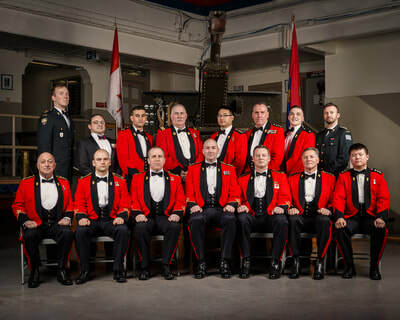 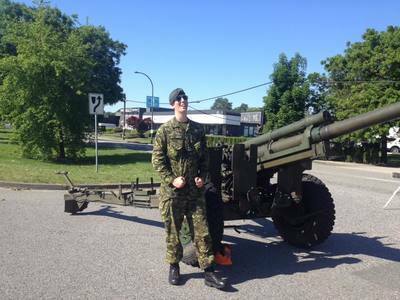 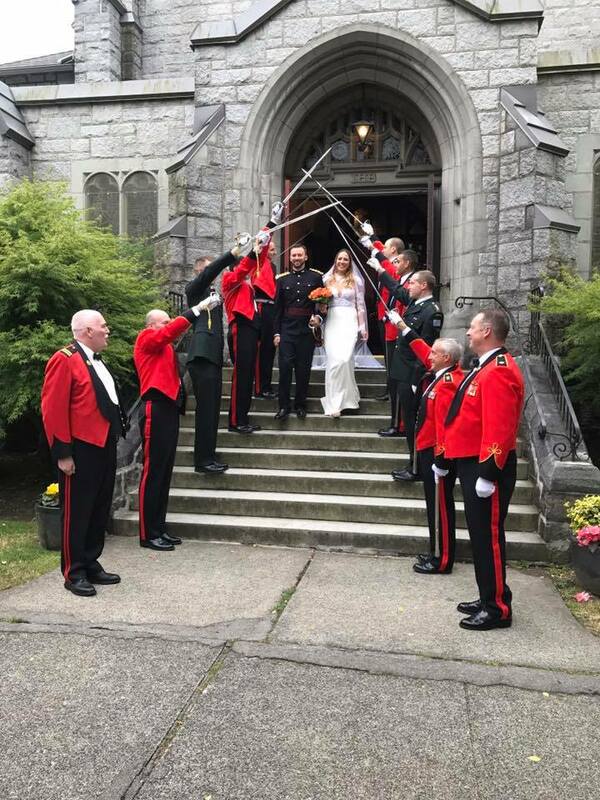 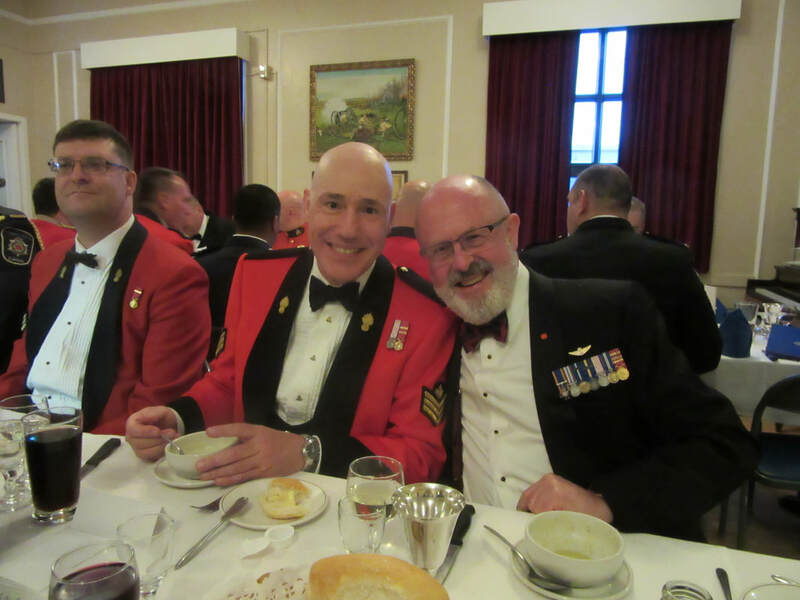 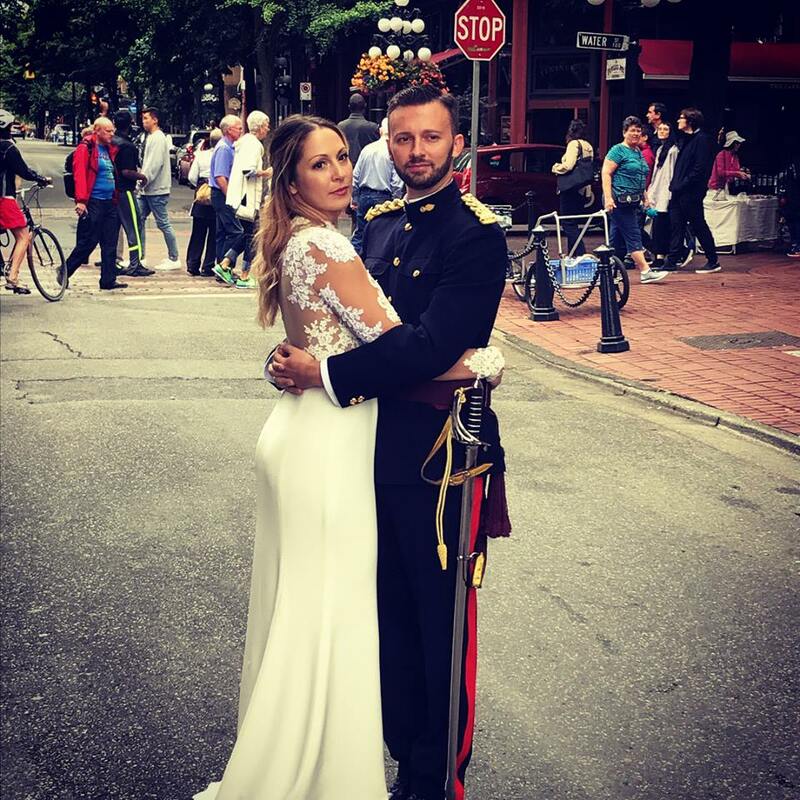 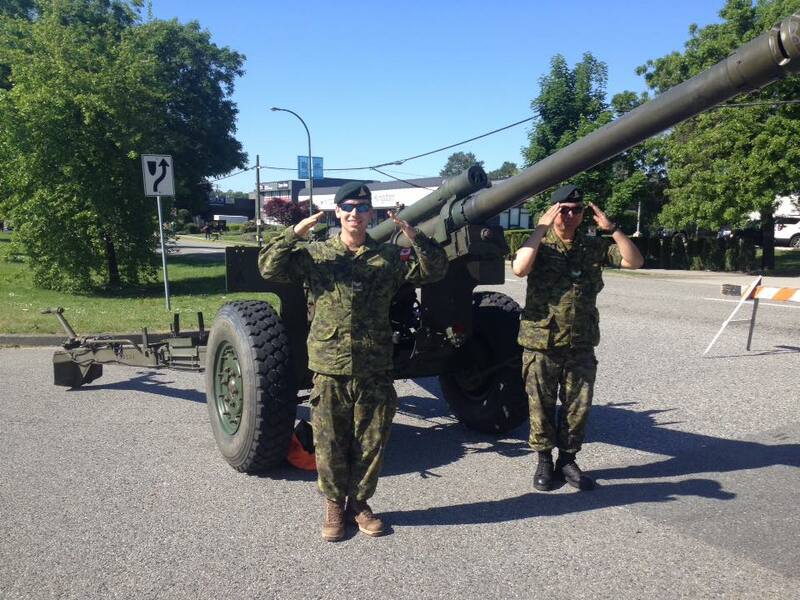 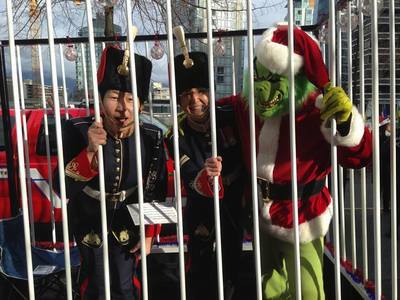 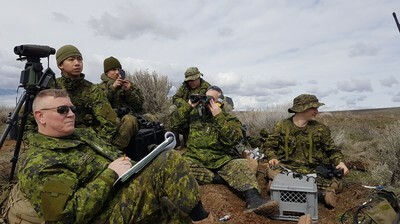 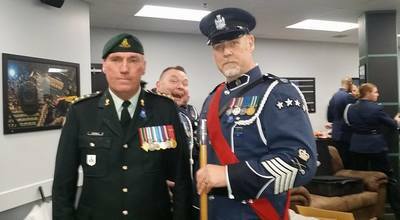 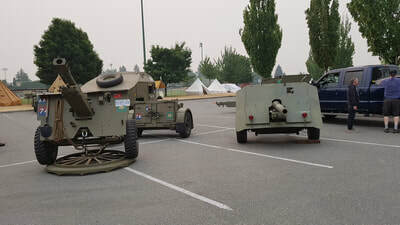 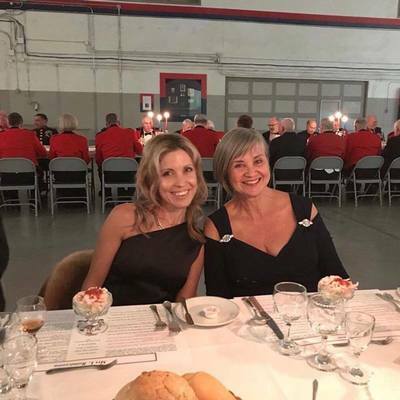 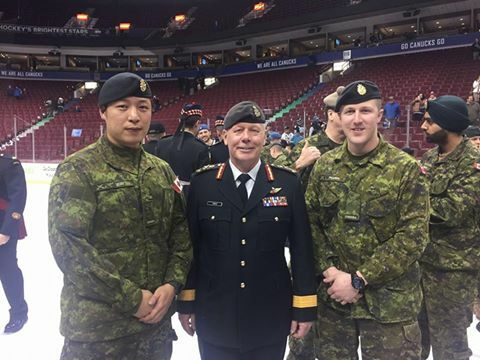 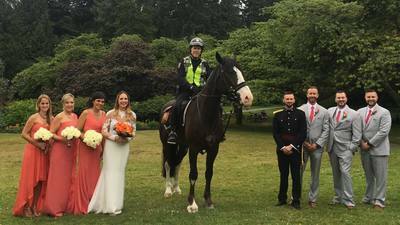 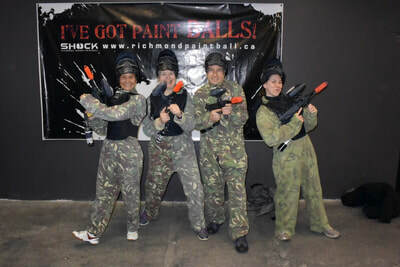 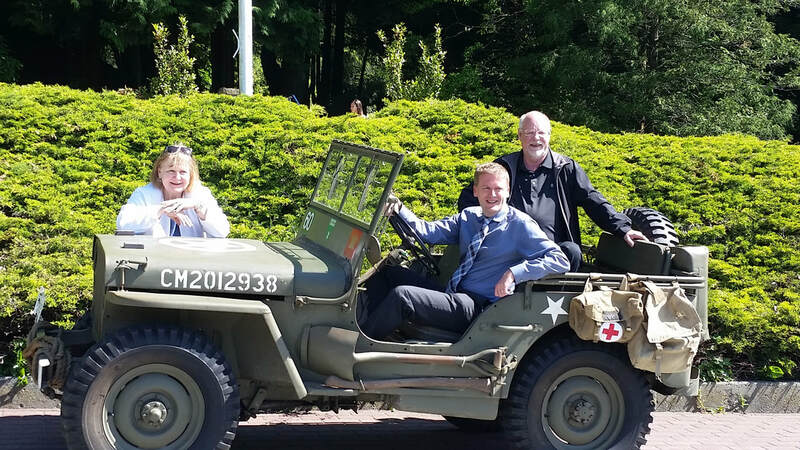 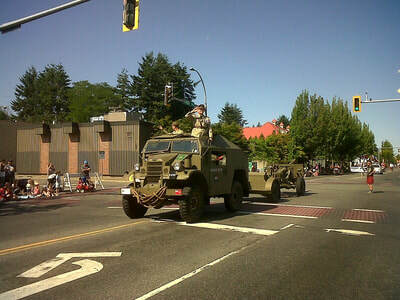 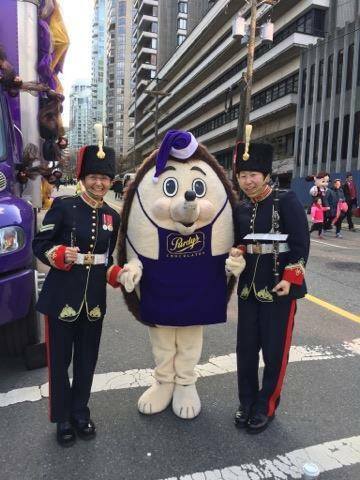 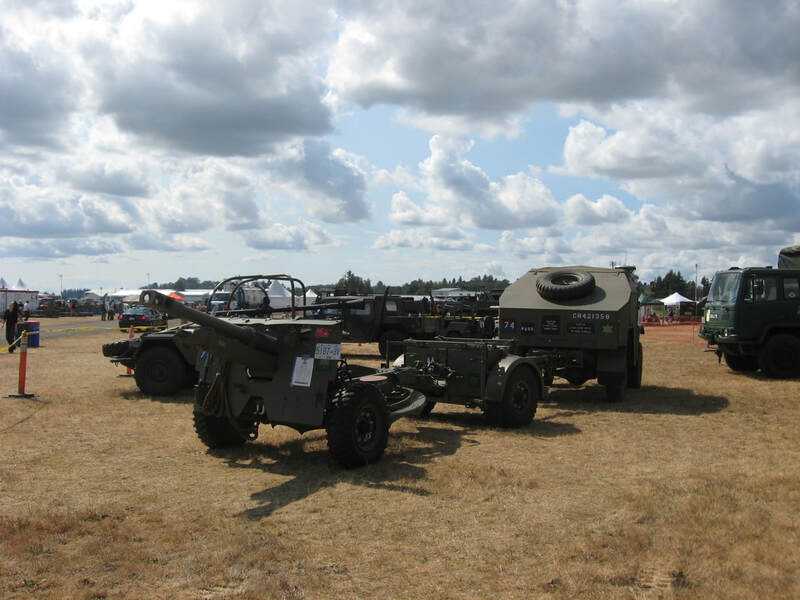 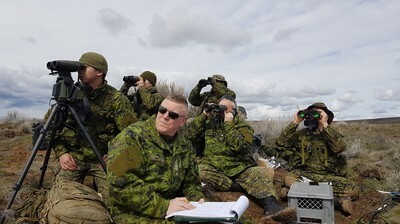 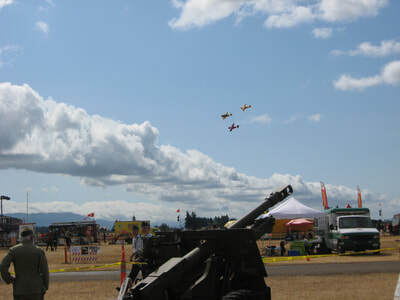 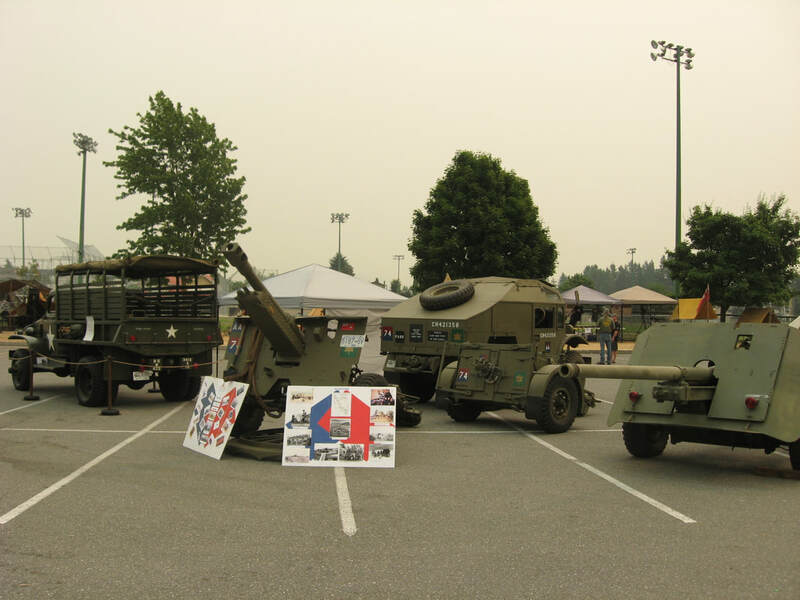 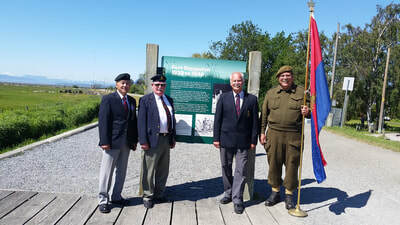 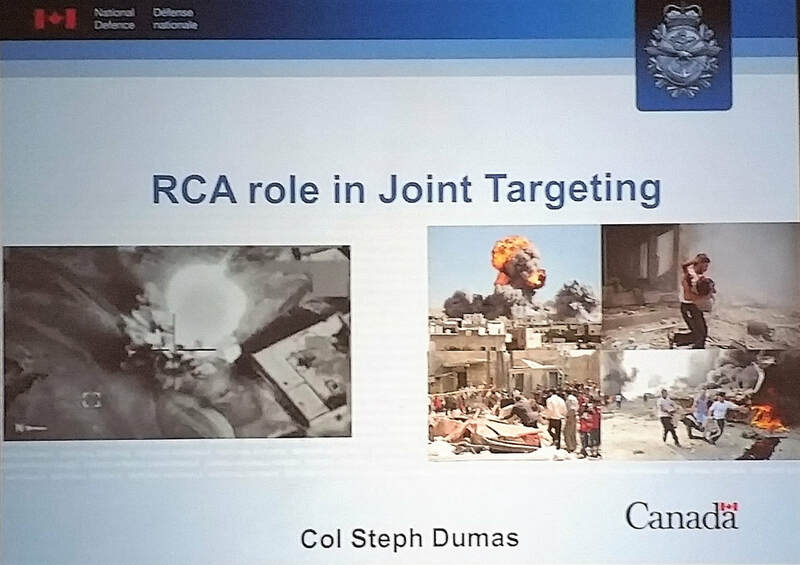 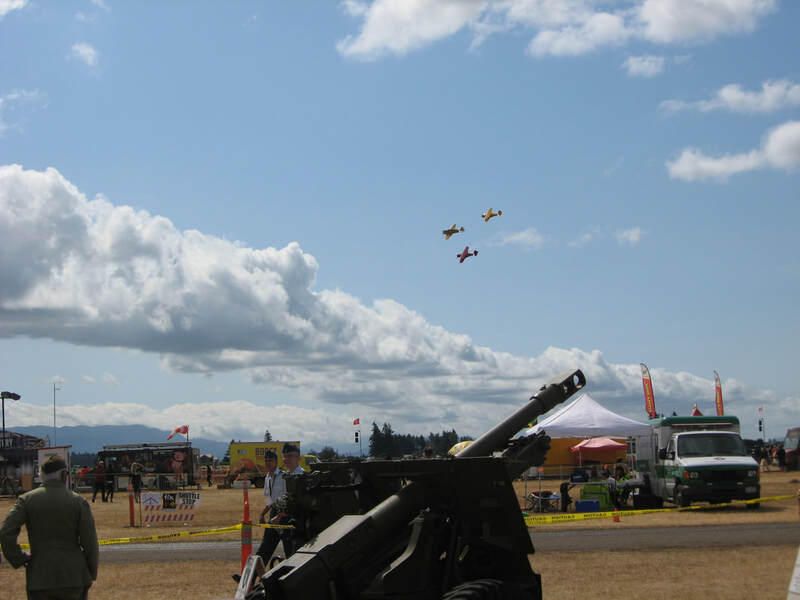 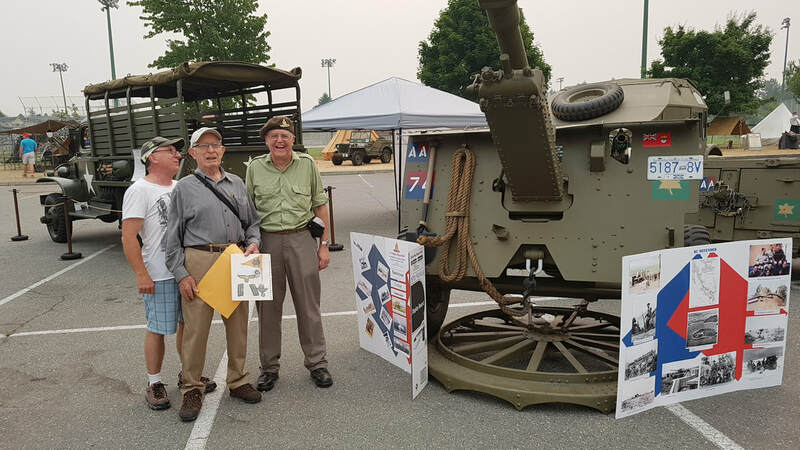 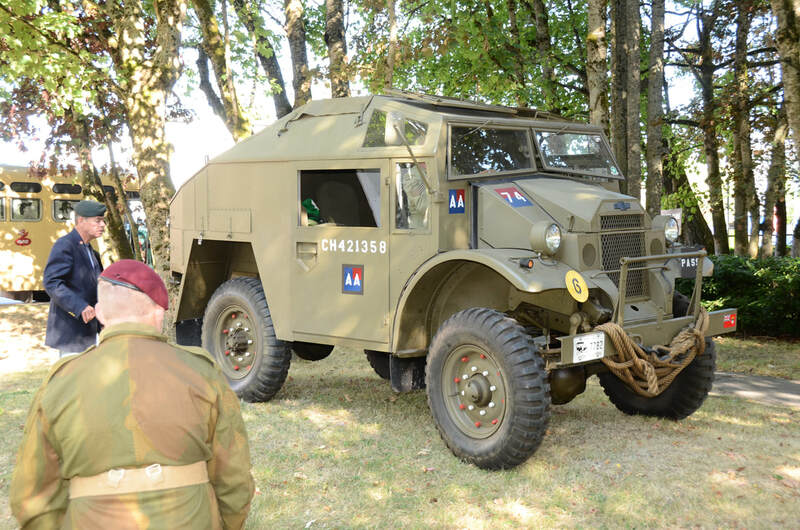 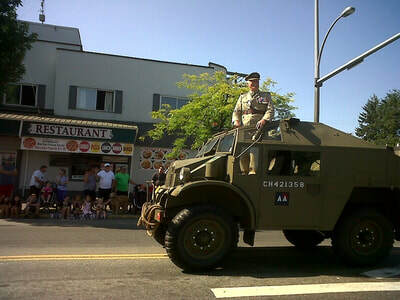 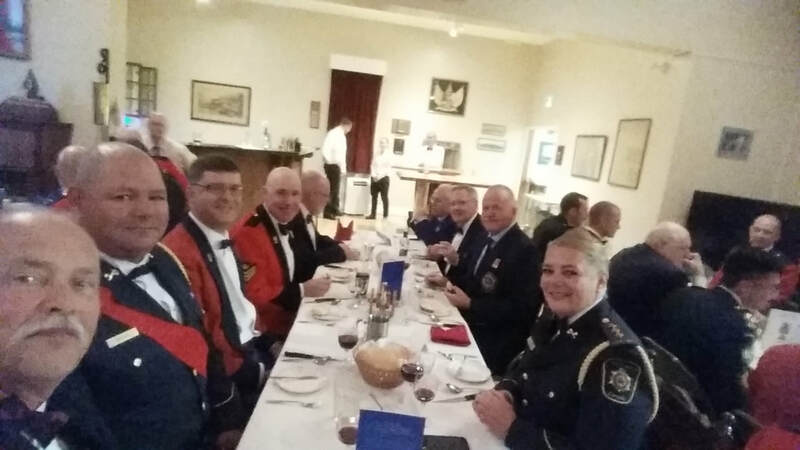 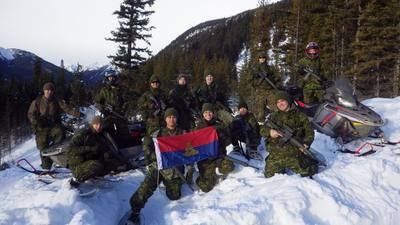 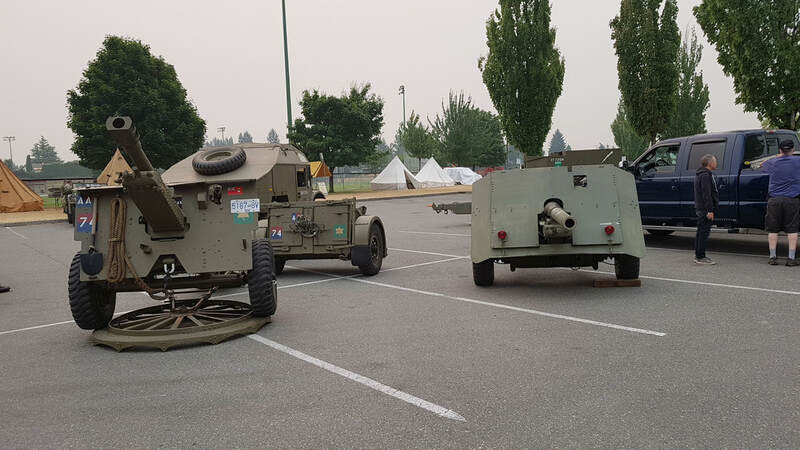 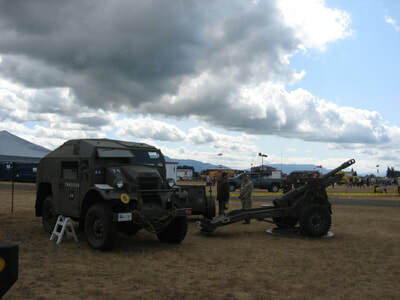 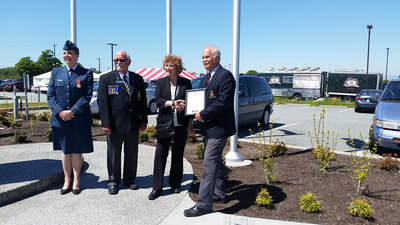 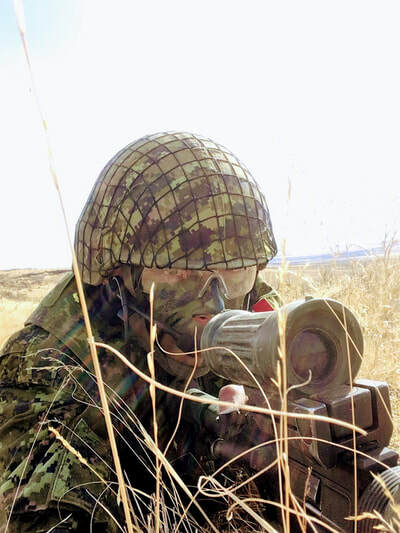 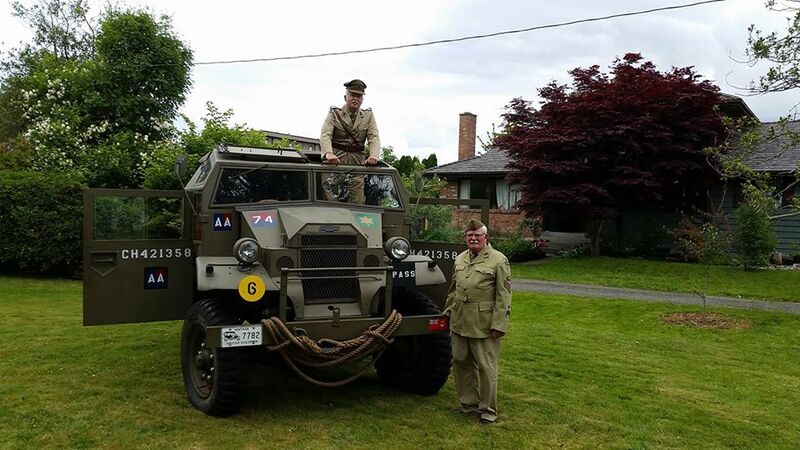 There is a Gunner connection with the AbbyPD through their Sergeant Major, a former Sergeant with 5th (BC) Field Regiment RCA and the 'photo bomber' a former Bombardier from 15th Field Artillery Regiment. Second Lieutenant Chris Purdon is presented his Lieutenant rank by the Battery Commander, Major Ian Watt with the Battery Sergeant Major Master Warrant Officer Roberts. 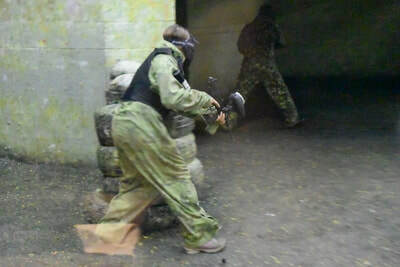 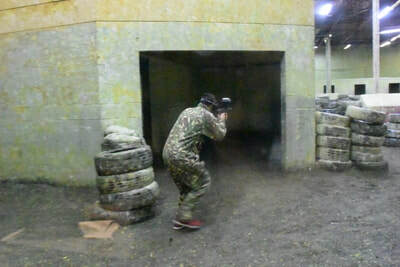 Sergeant Adam Coleman in the background. 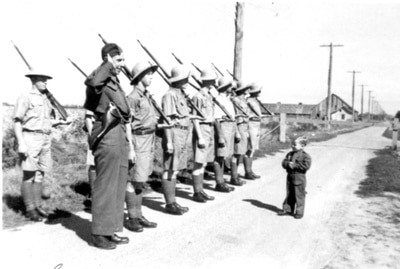 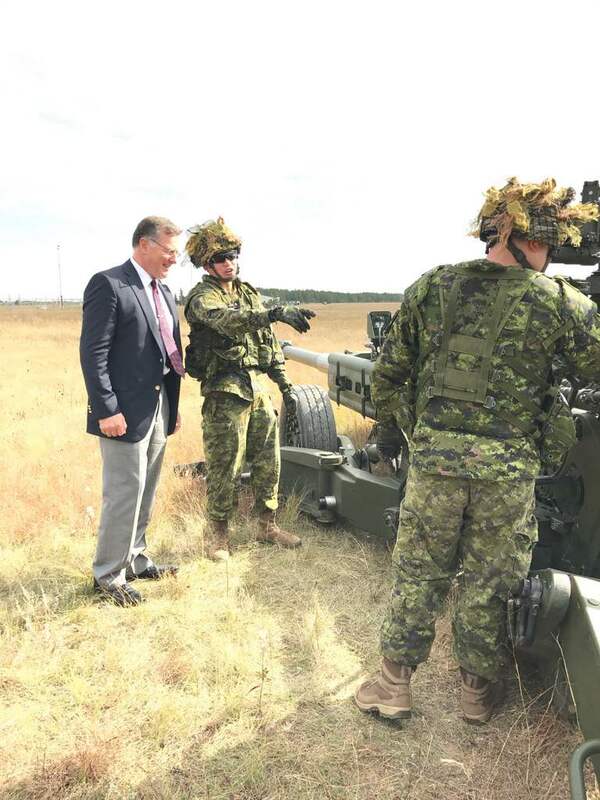 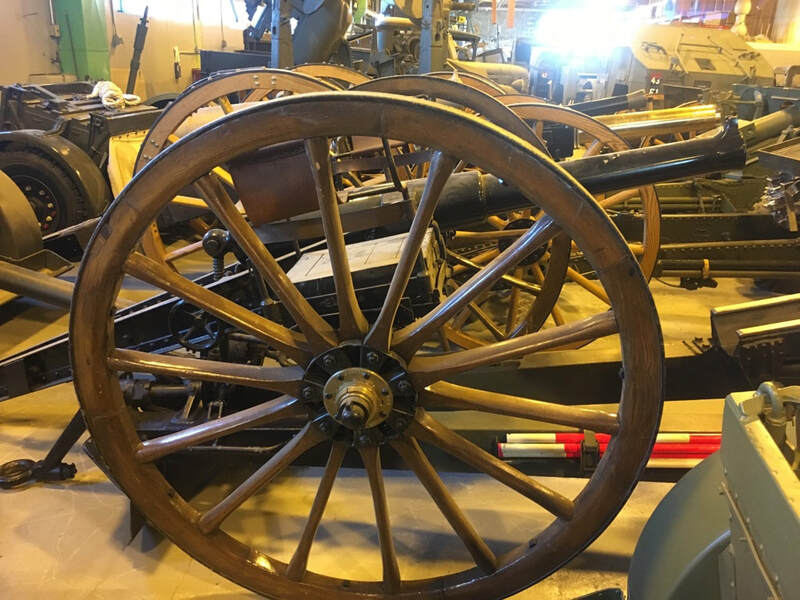 Don Foster receives an introduction to the M777 155mm Howitzer from 1st Regiment Royal Canadian Horse Artillery at the Home Station, Shilo, Manitoba. 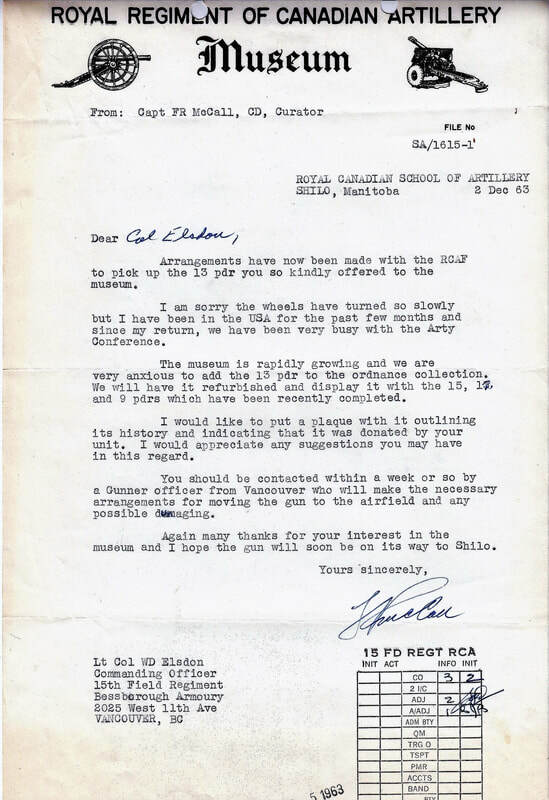 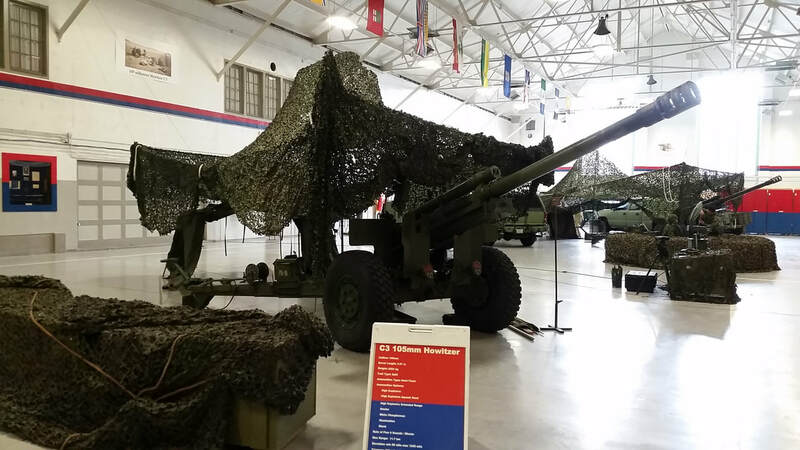 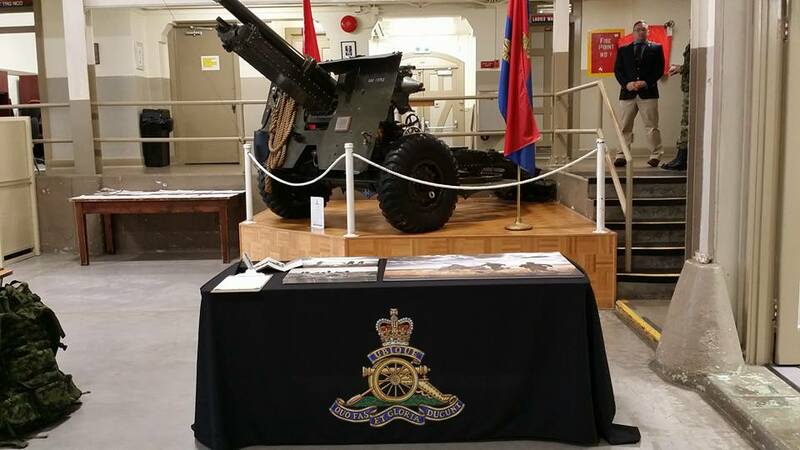 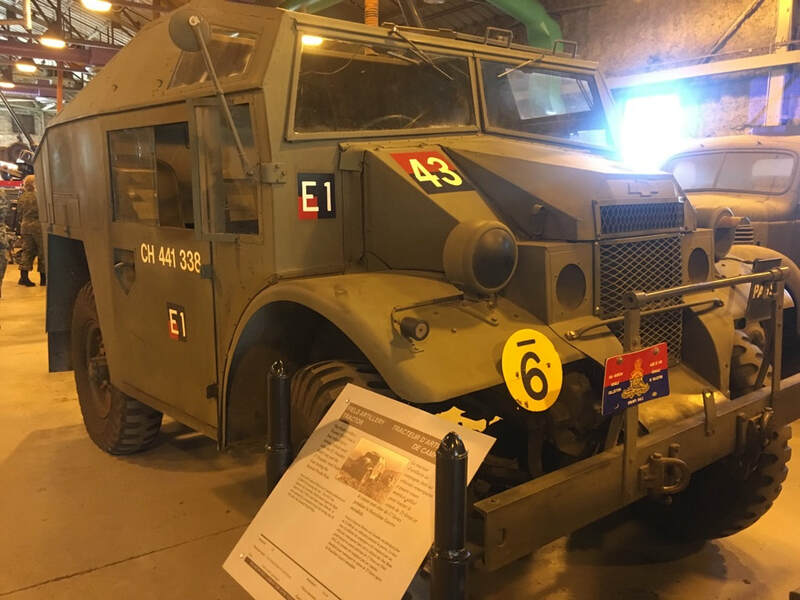 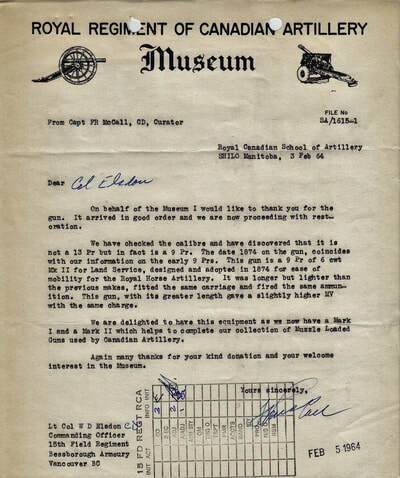 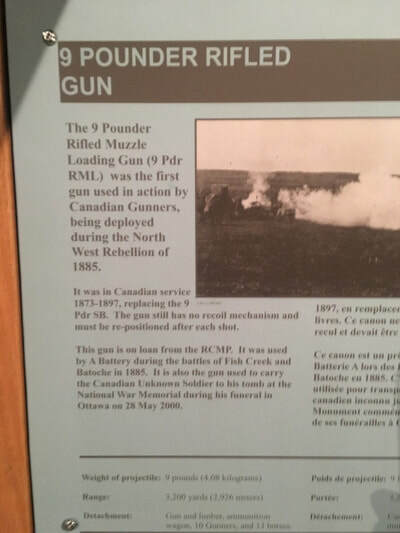 In 1963, the 15th Field Regiment RCA provided the RCA Museum with a 9Pdr of 6cwt Mark II. 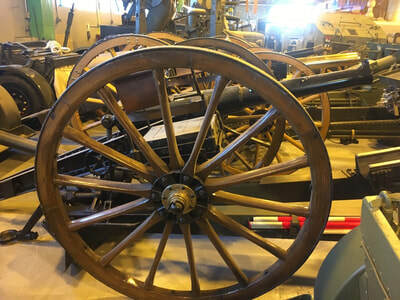 This may be our 9 Pdr as it sits today. 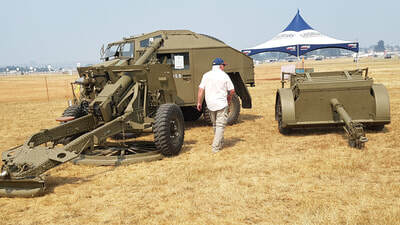 In addition we have a photograph of Shilo's Field Artillery Tractor which is similar in vintage to ours as well as a photo of the 9 Pdr Mark I. 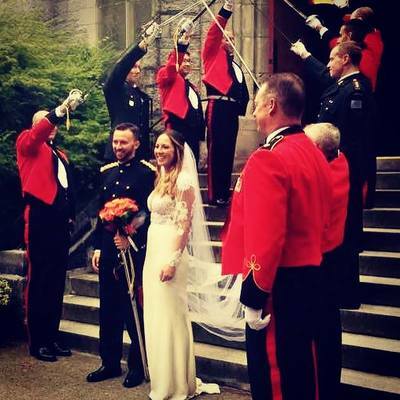 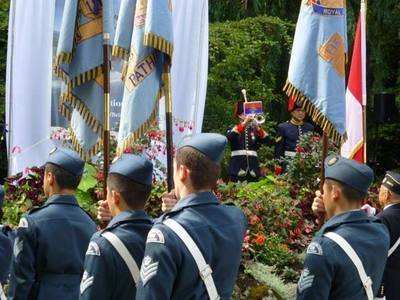 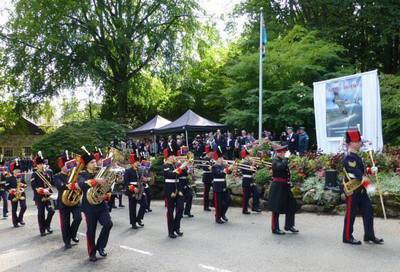 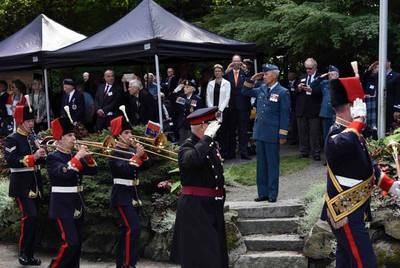 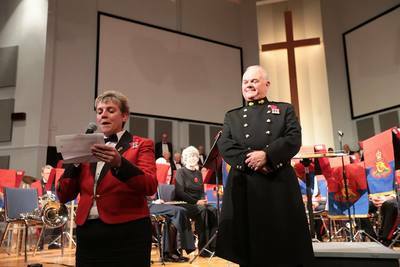 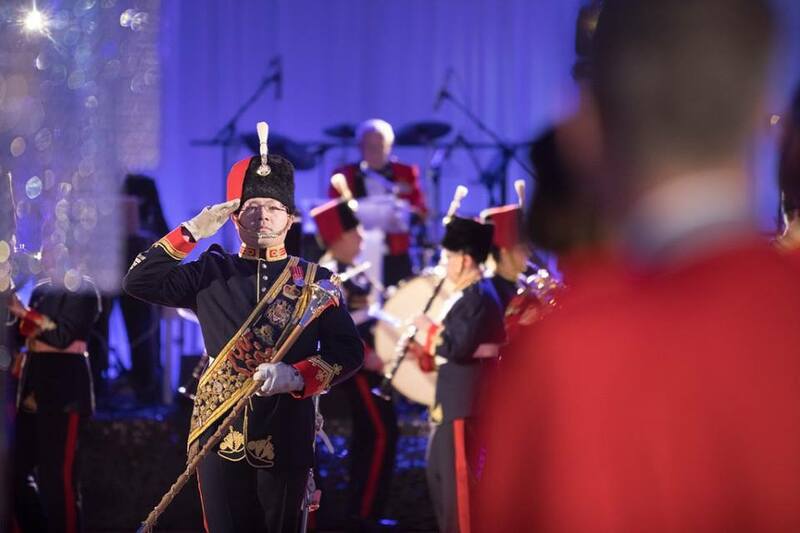 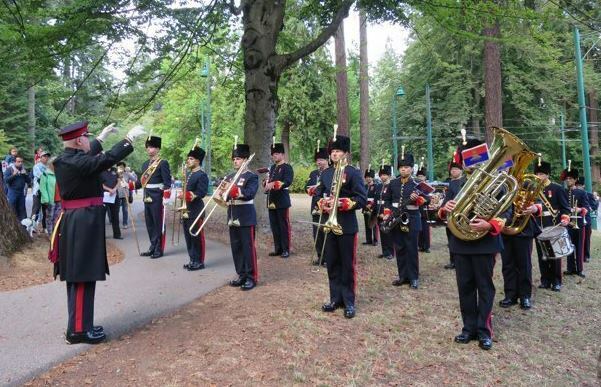 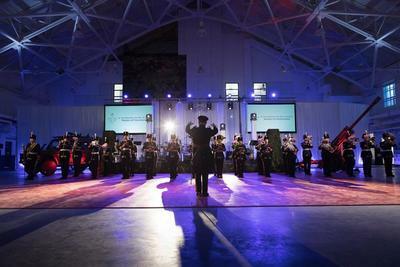 The band provided the musical support for the 77th anniversary of the Battle of Britain. The Battle of Britain was a combat of the Second World War, when the Royal Air Force defended the United Kingdom against the German Air Force attacks from the end of June 1940. 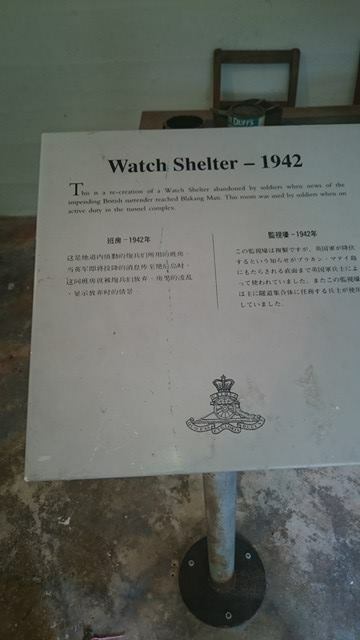 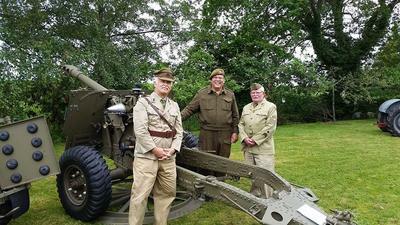 It has been described as the first major military campaign fought entirely by air forces. 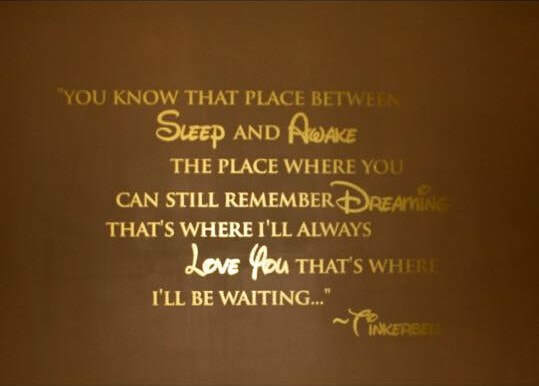 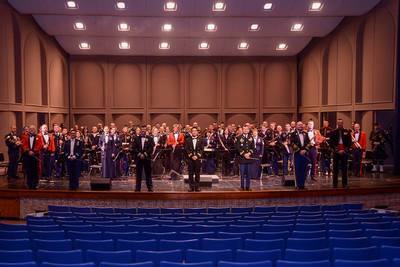 Photos by Maxwell Castillo & Danielle Dunn. 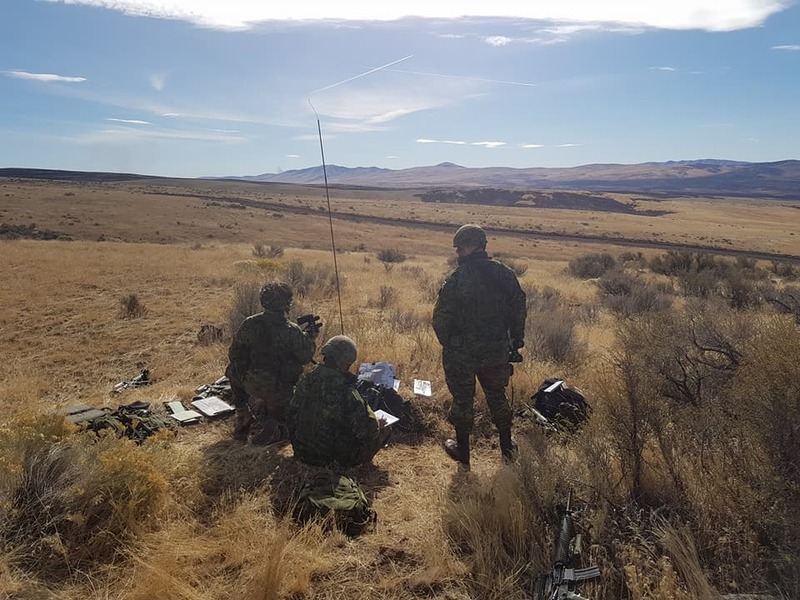 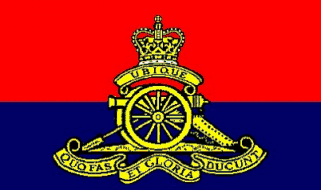 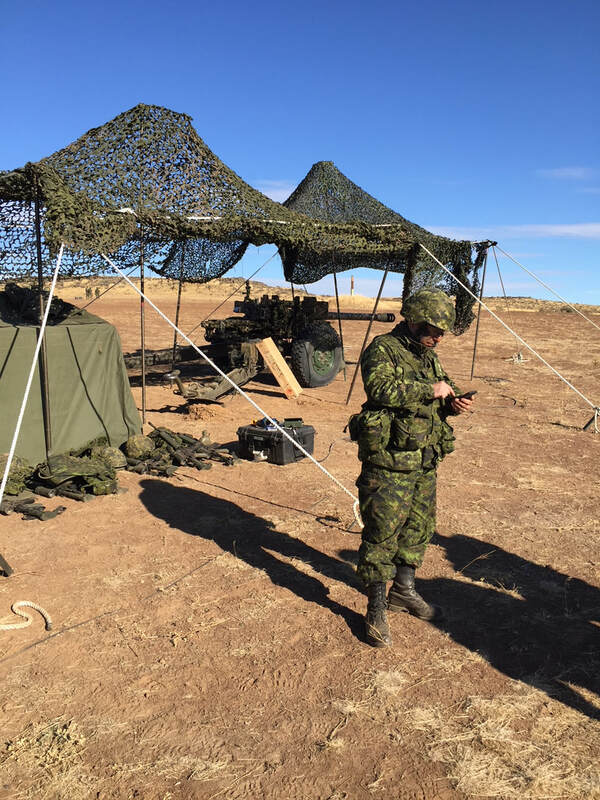 Artillery Troop Commander Course 1702. 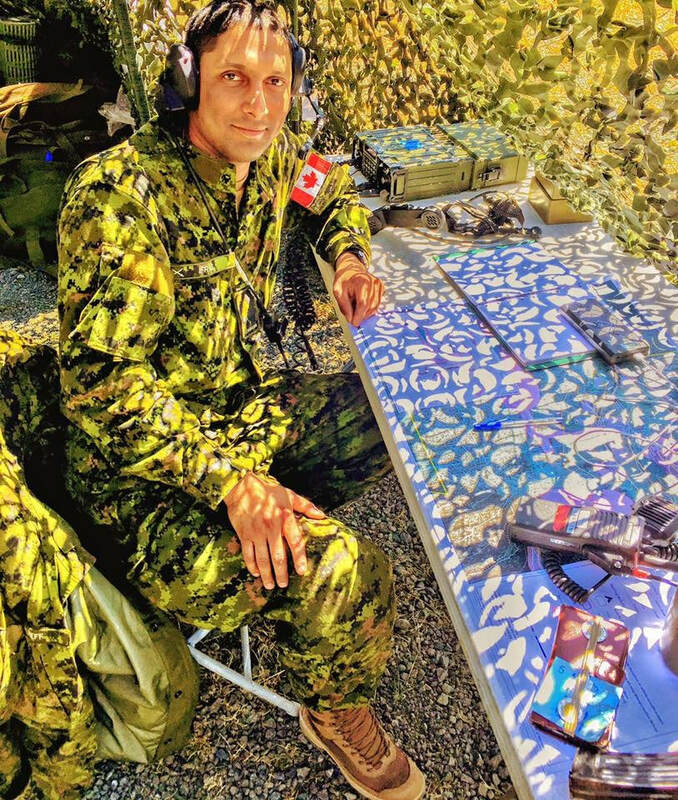 Private Sheikh Ifraz mans "call-sign zero" during the BMQ Land Course held in August 2017 at Area Support Unit Chilliwack (ASU Chilliwack). 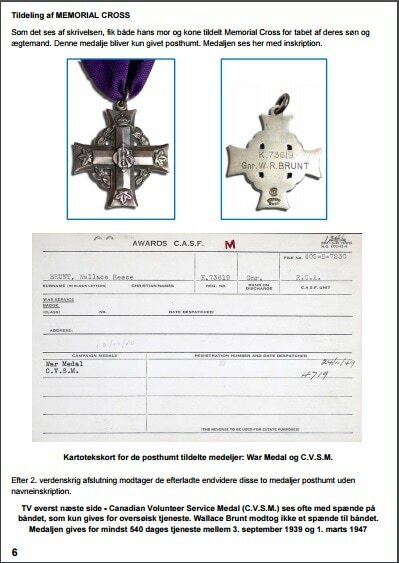 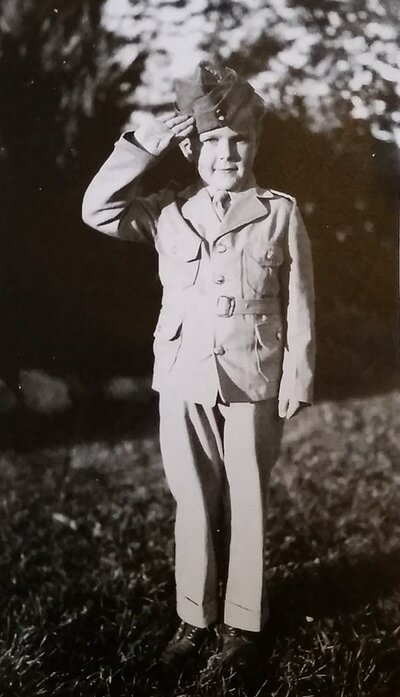 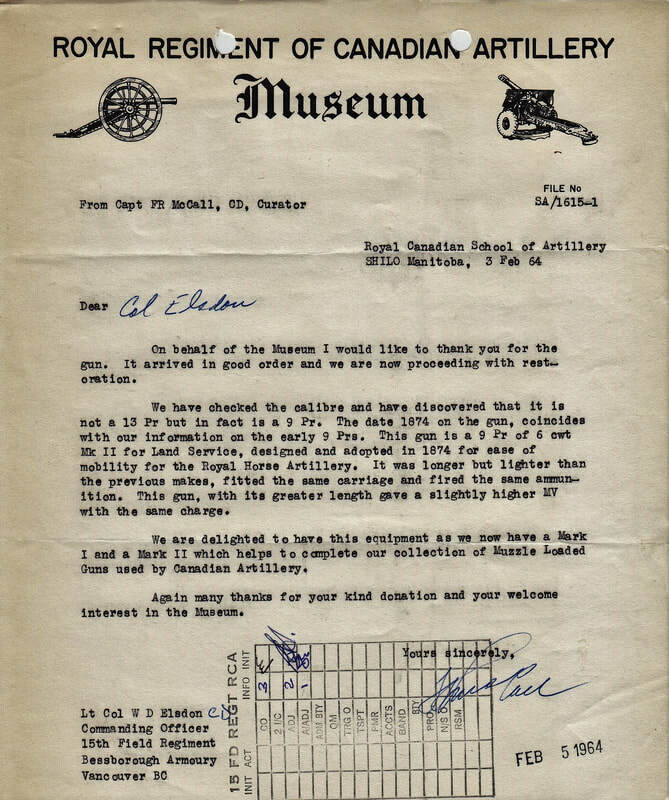 Private Ifraz was born in the Fiji Islands and what interested him to join our regiment was the Momi Battery Historical Park just outside of Nadi . 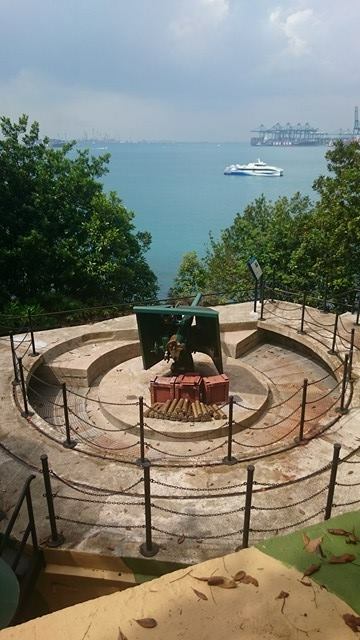 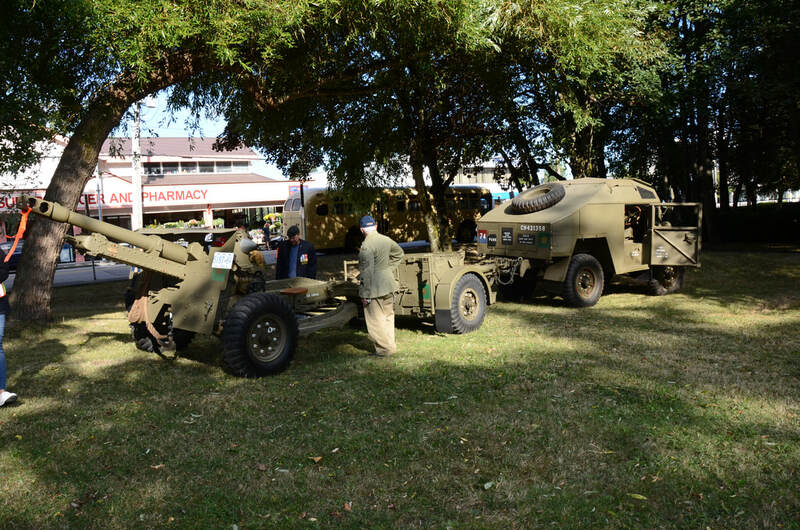 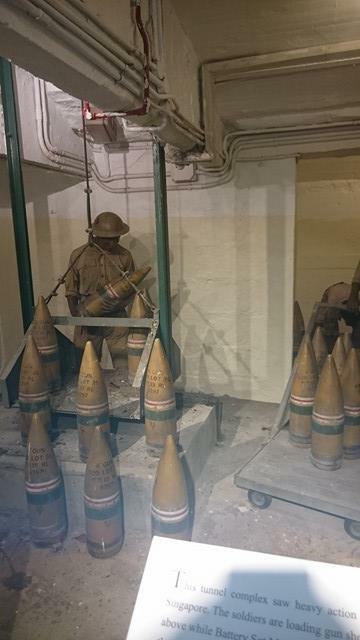 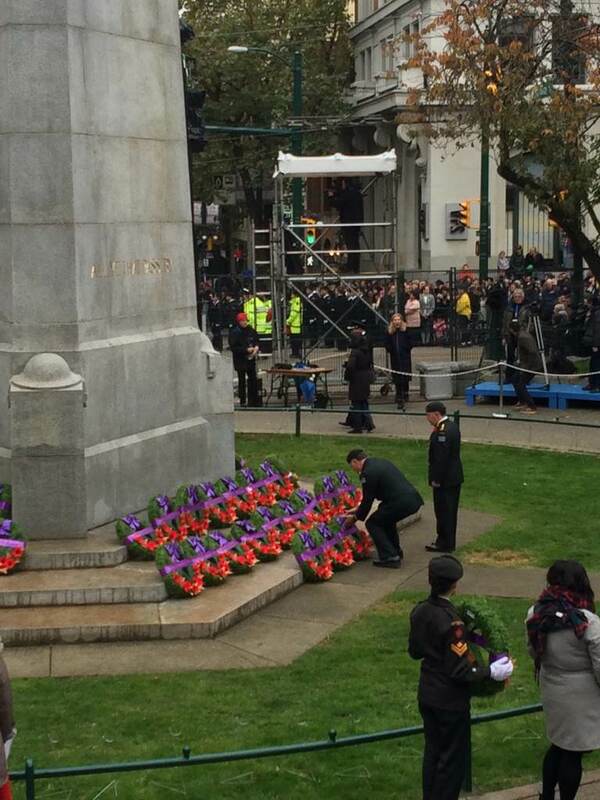 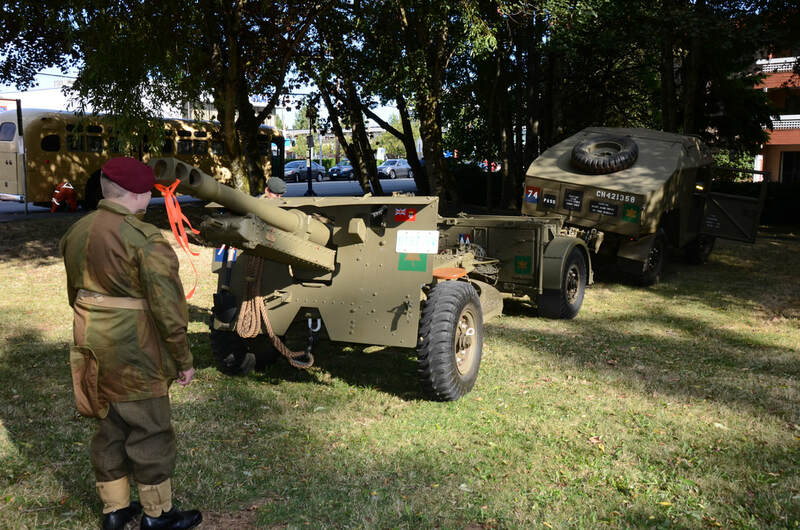 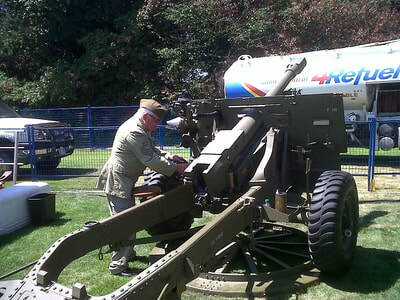 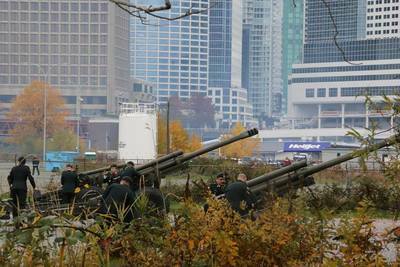 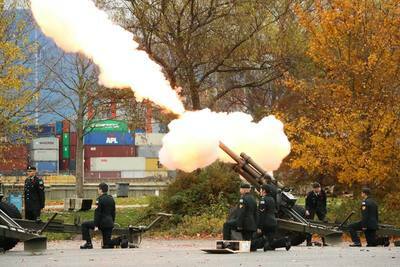 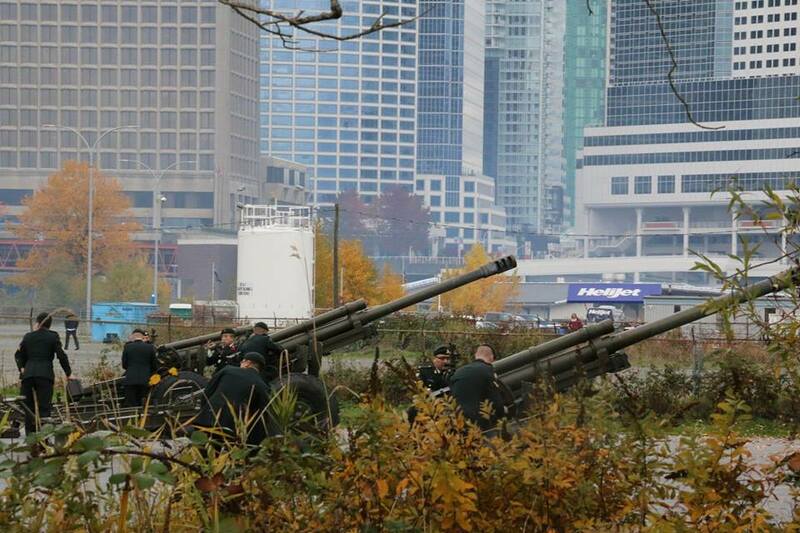 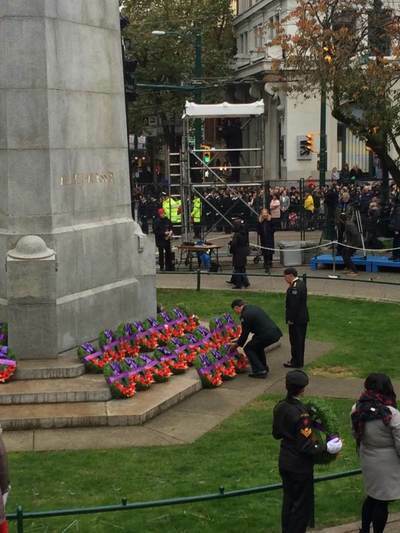 The park has retained their two 6" guns that were manned by the Royal New Zealand Artillery in the Second World War. 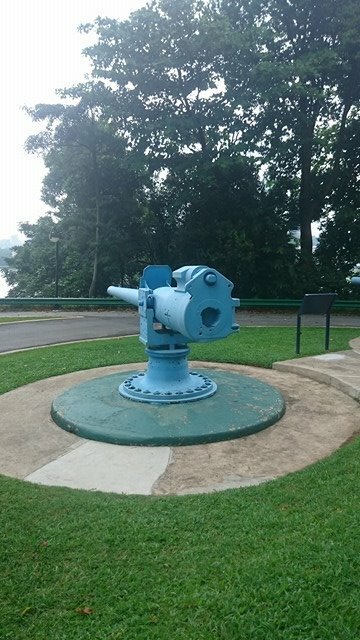 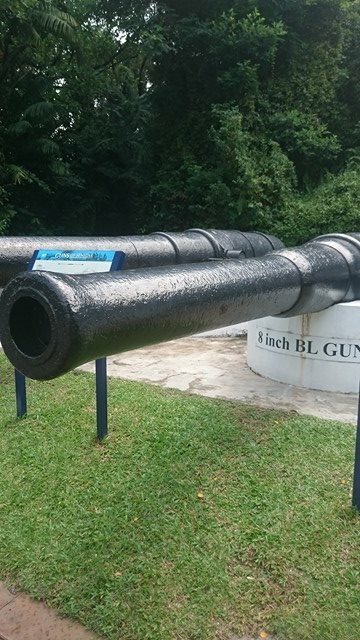 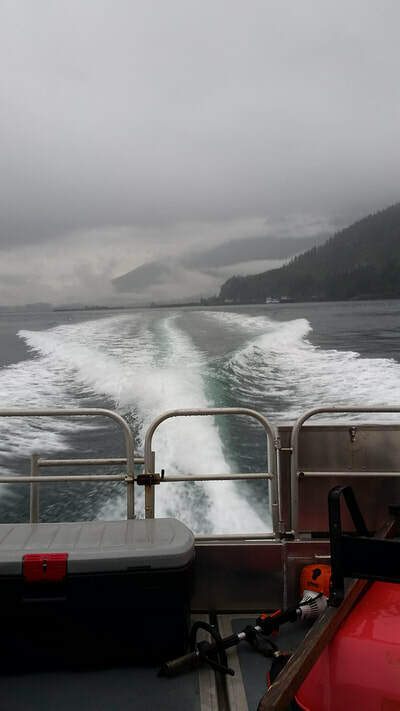 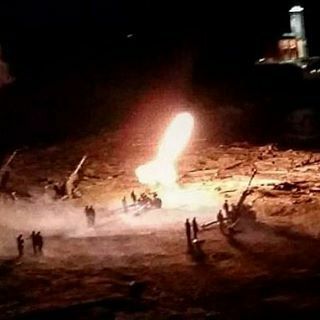 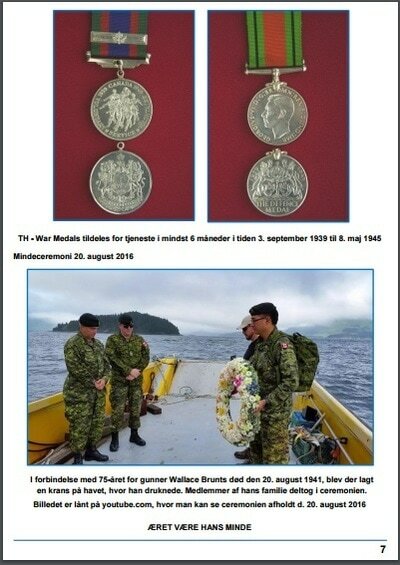 Too bad we don't still have the two 6" guns that were mounted on Yorke Island! 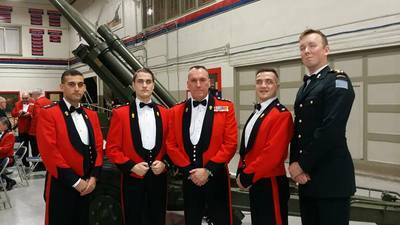 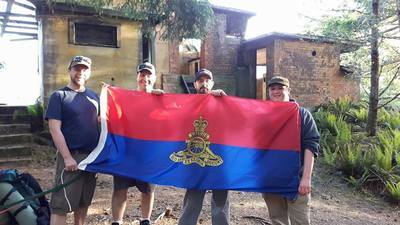 July 2017 - Major Nick Watts returns from a 7 month tour in the Middle East. 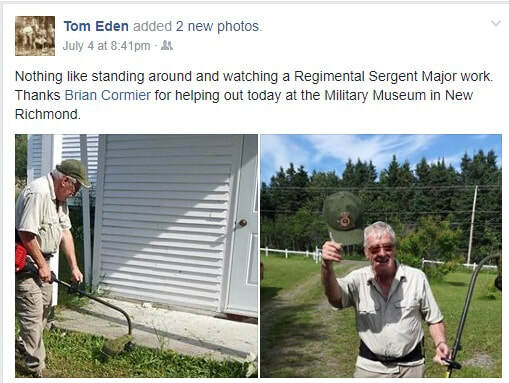 Looking forward to a write up from him in the near future! 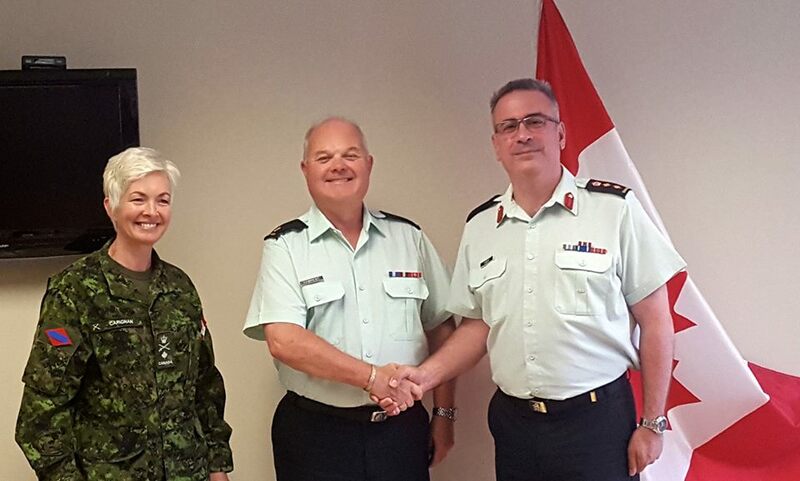 On June 9, 2017, Brigadier General Jennie Carignan and Colonel Dubois from Canadian Army Headquarters promoted our Director of Music, Captain Jim Tempest, to the rank of Major. 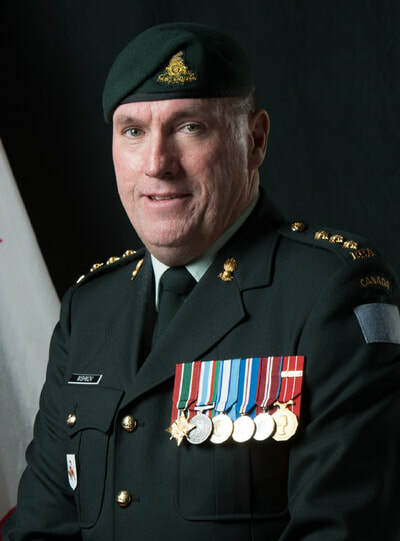 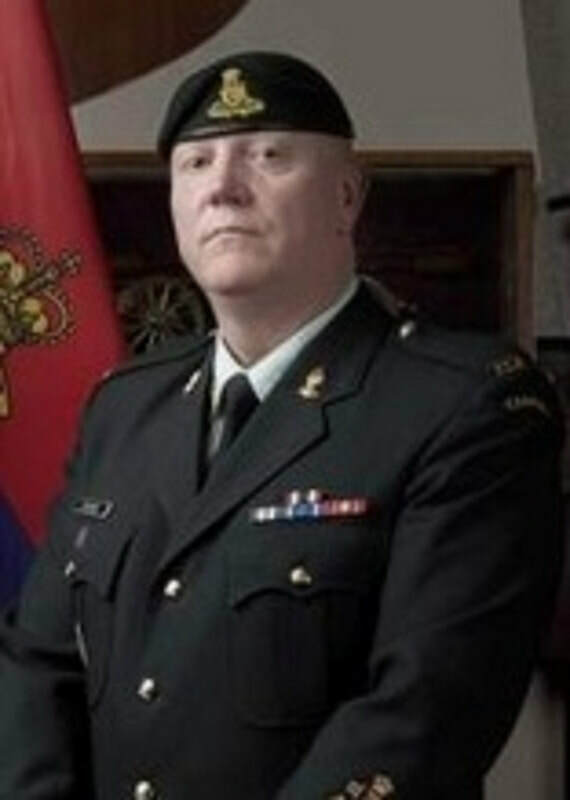 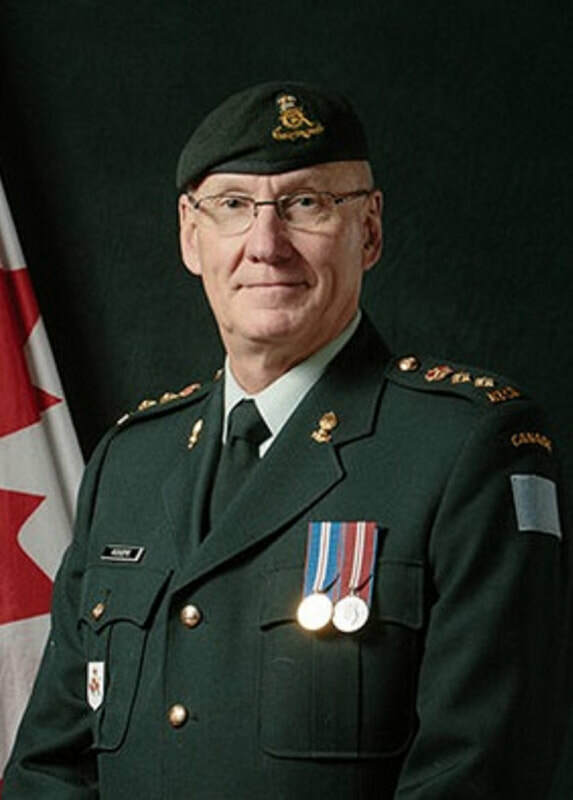 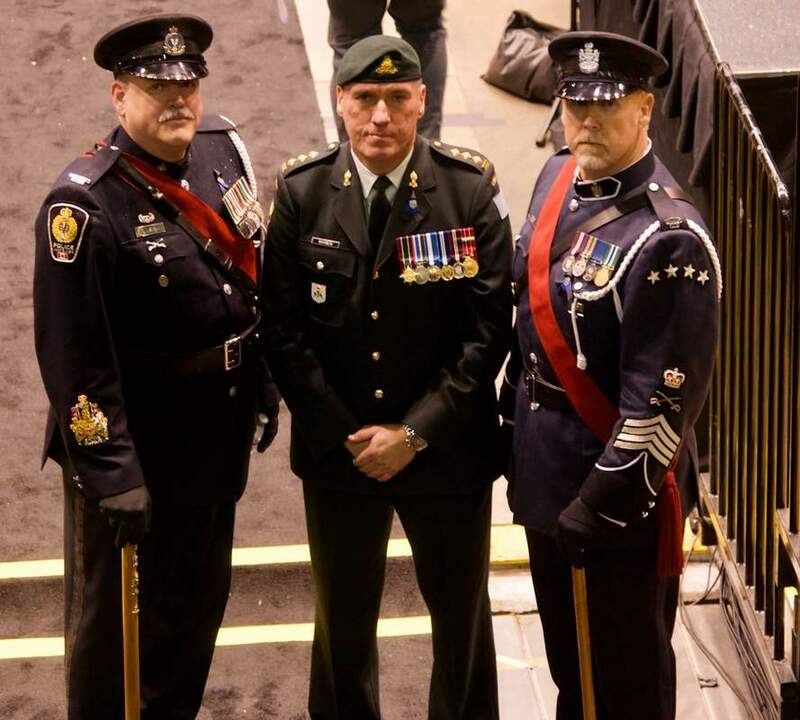 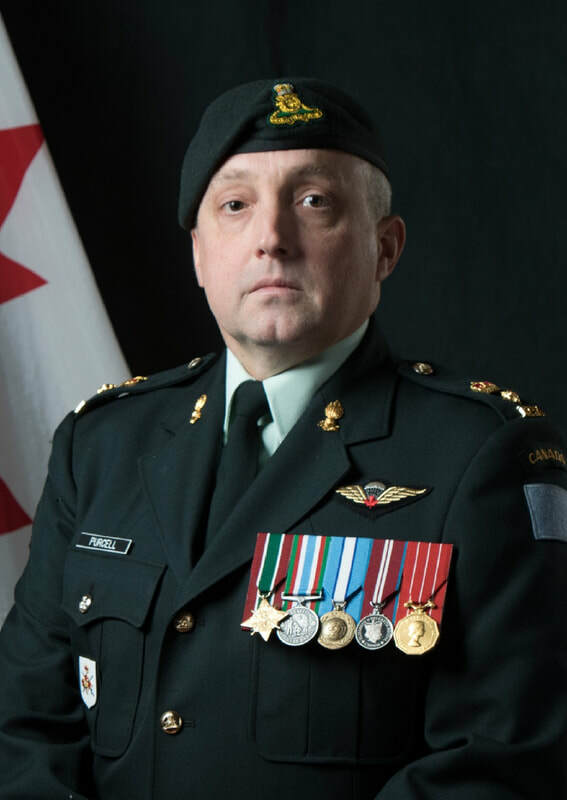 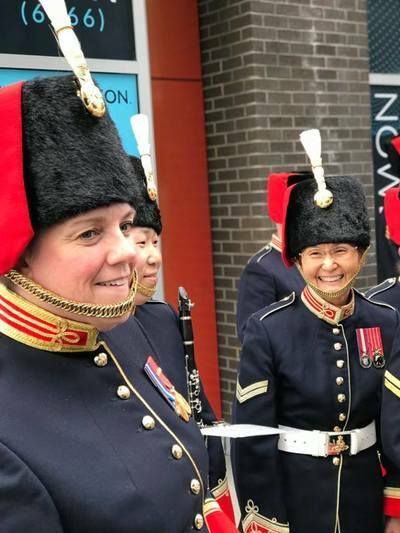 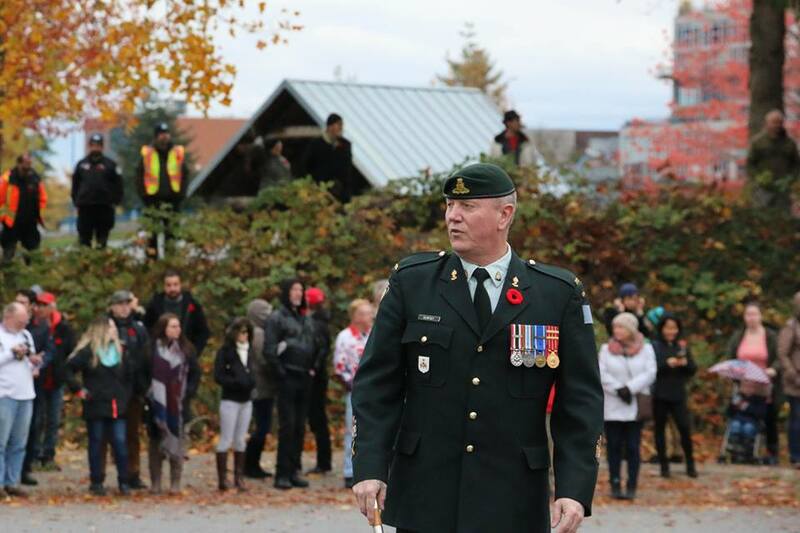 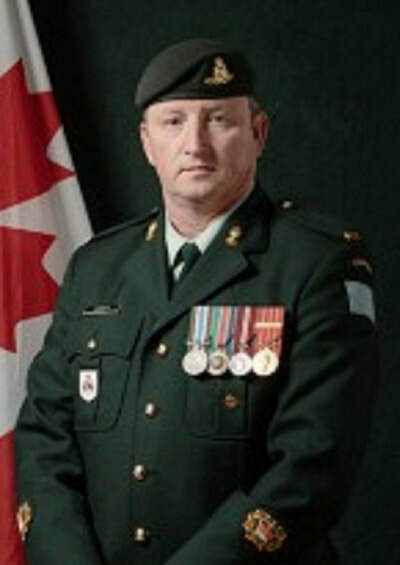 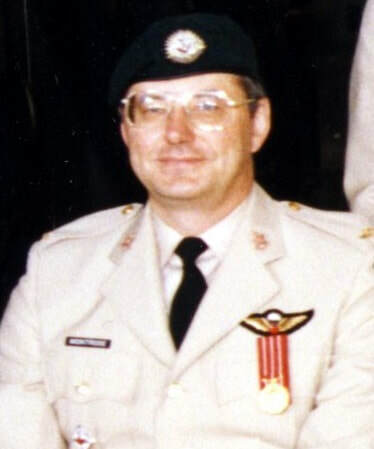 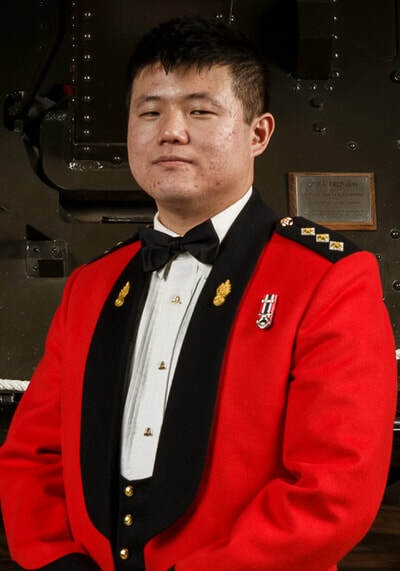 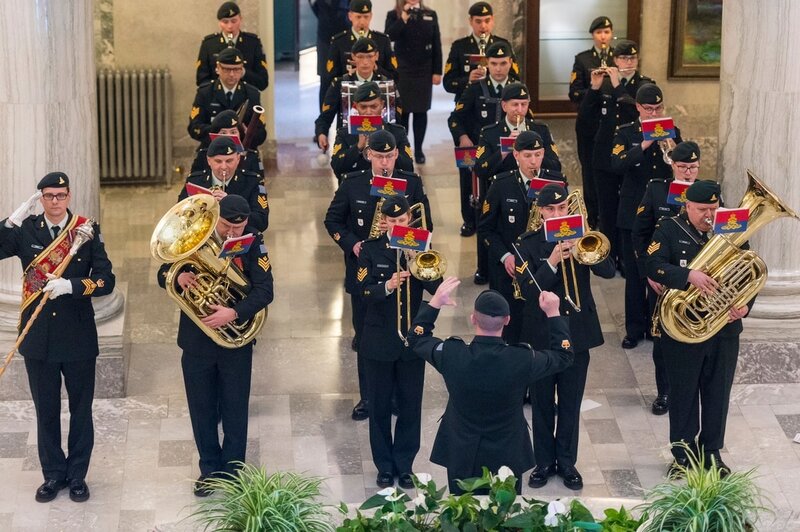 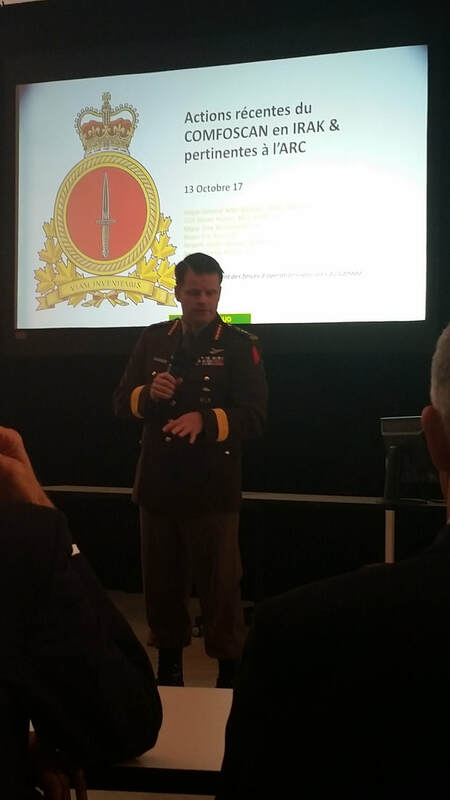 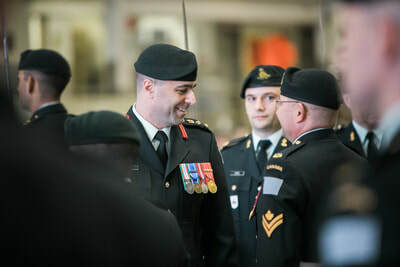 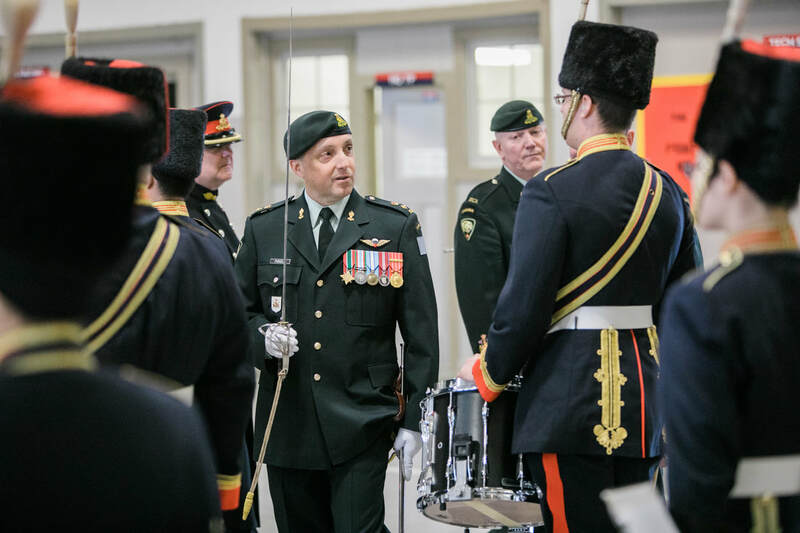 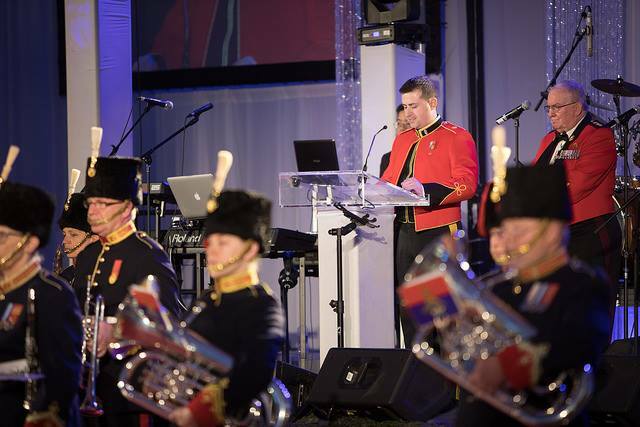 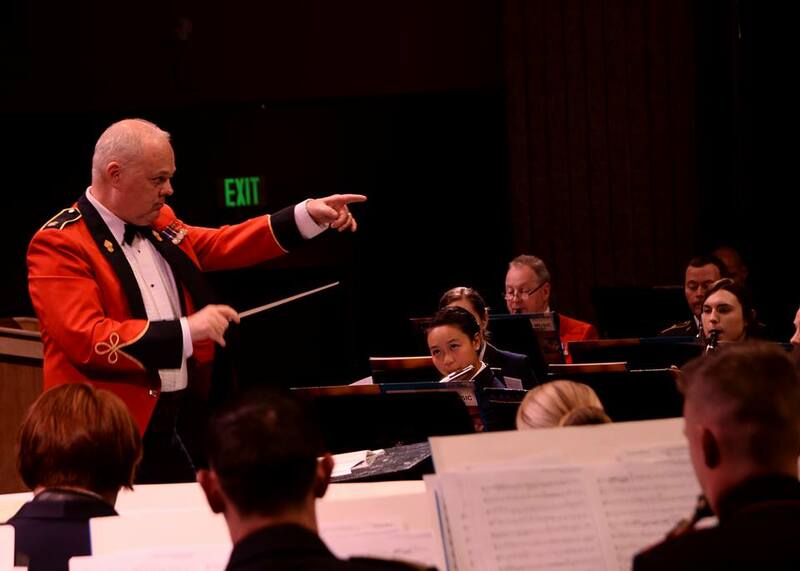 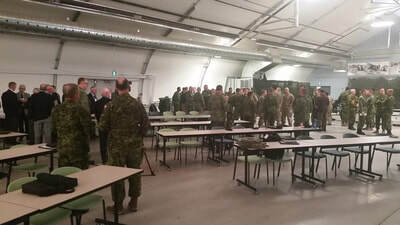 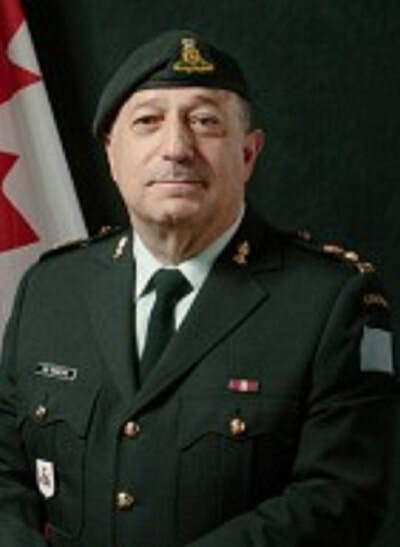 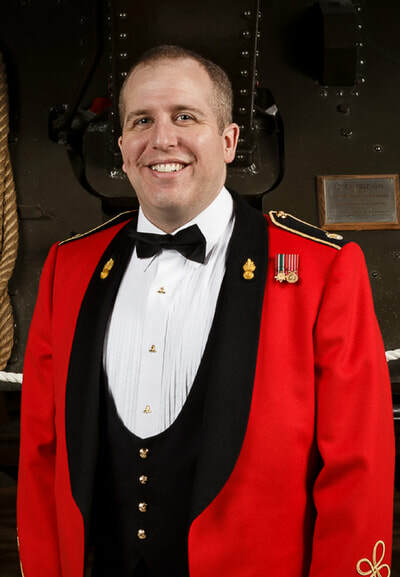 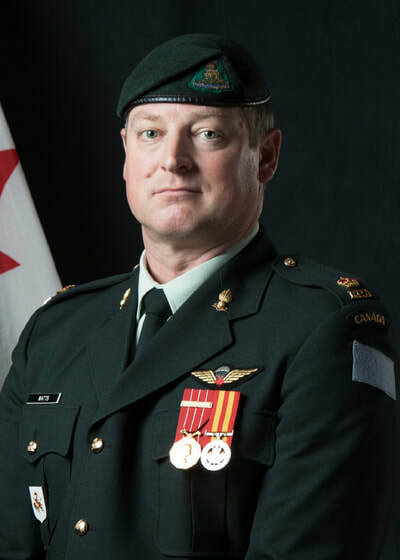 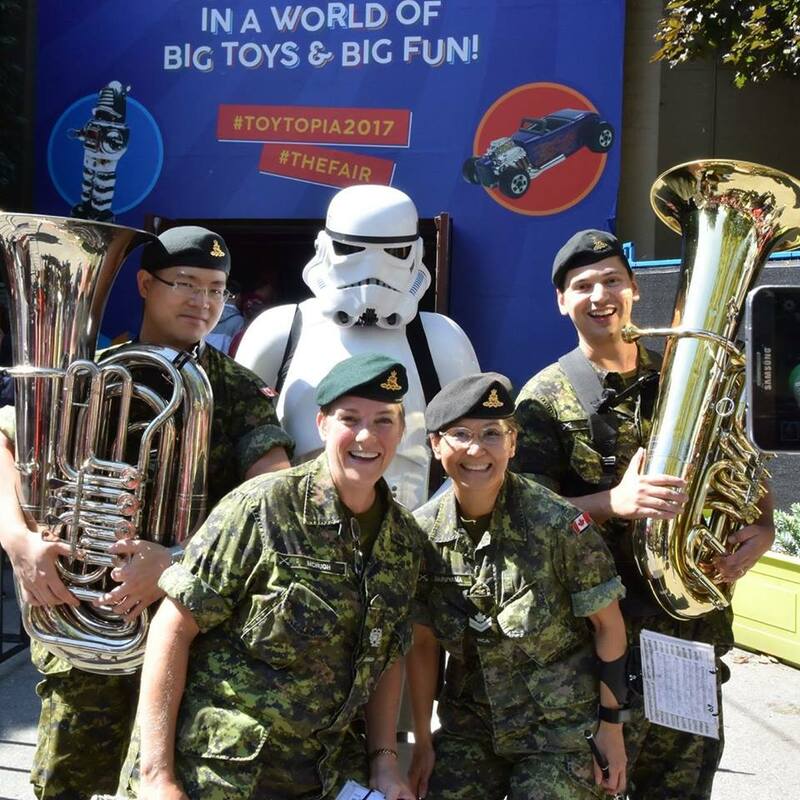 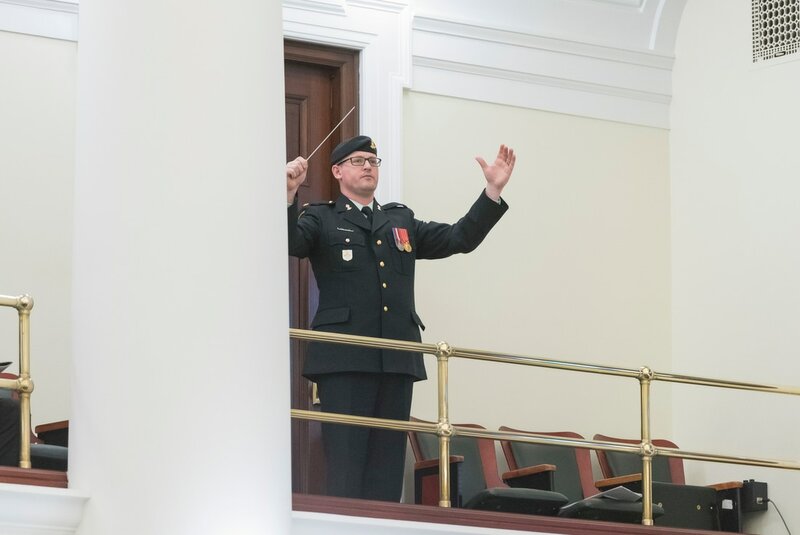 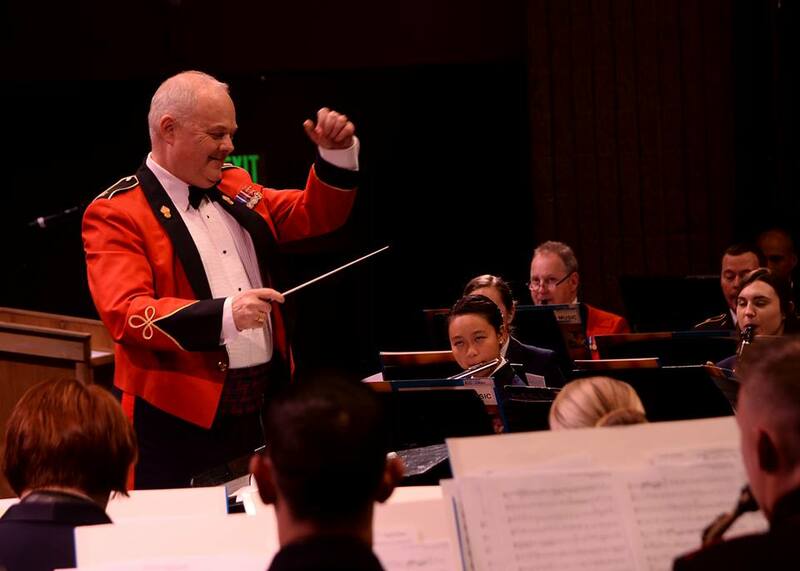 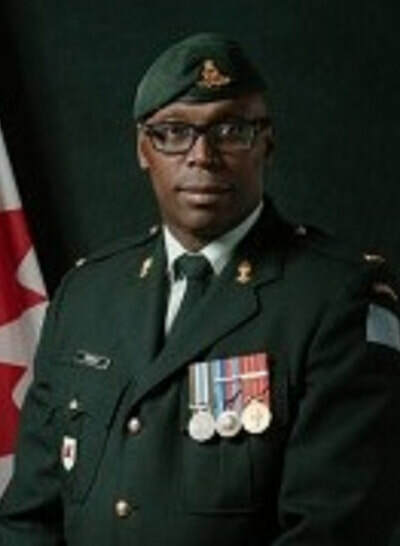 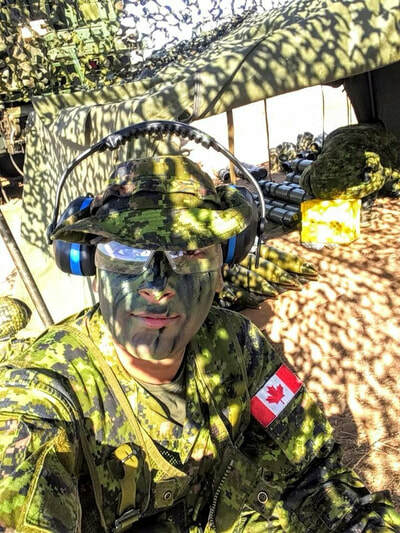 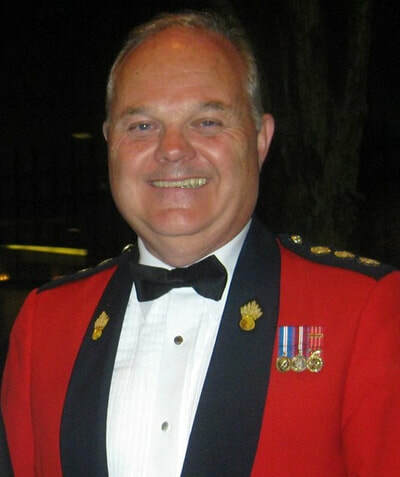 Major Tempest recently accepted the position of ​Senior Director of Music for the Canadian Army where he will provide advice to the Commander on all issues surrounding musicians and bands. 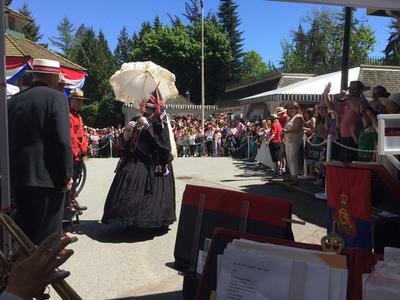 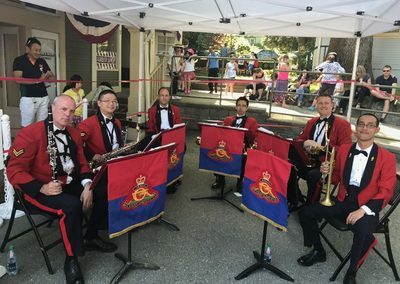 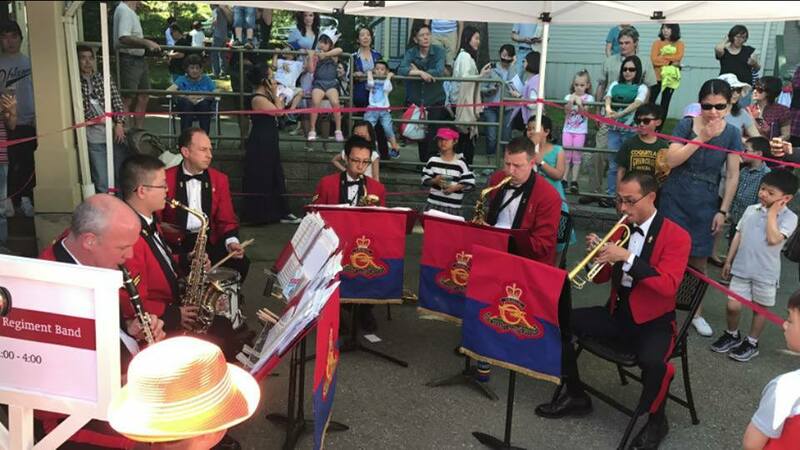 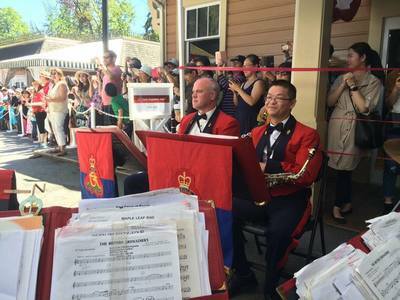 The saxophone quartet (plus a few additional members) performed at the festivities for Victoria Day at the Burnaby Village Museum! 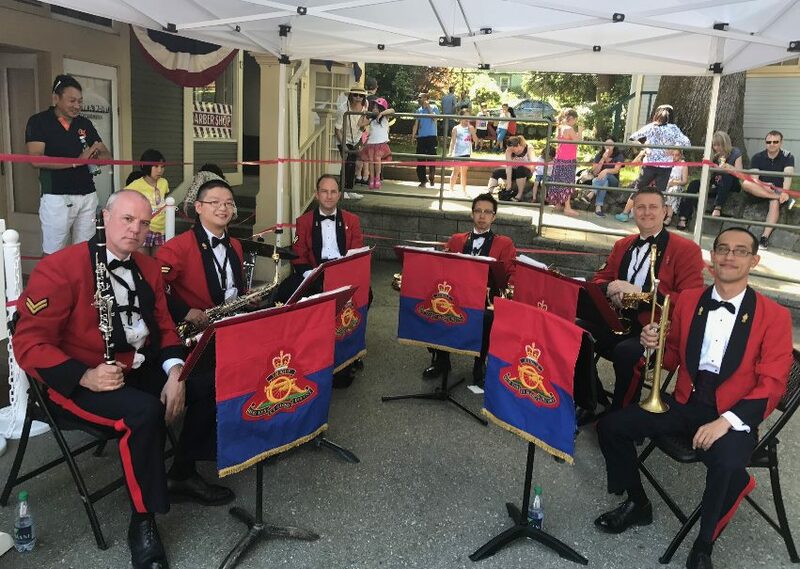 Bombardier Gary Tse, Gunner Eric Tsang, Gunner Olivier Couturier, Bombardier Andrew Voth, Bombardier Peter Gal and Gunner Rob Scheib at Burnaby Village Museum & Carousel where Queen Victoria makes her annual visit. 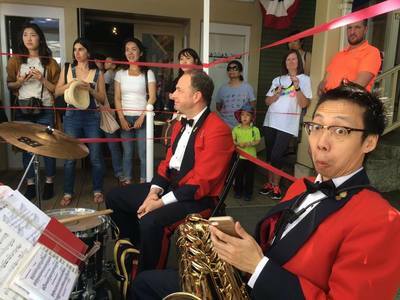 ​Bombardier Andrew Voth and Bombardier Gary Tse wait to play their next set. 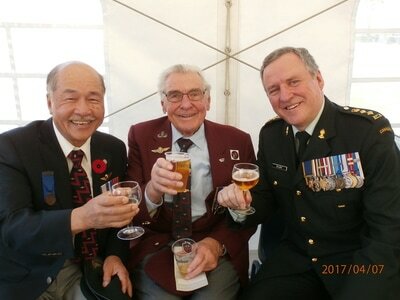 Bombardier Peter Gal and Eric Tsang. 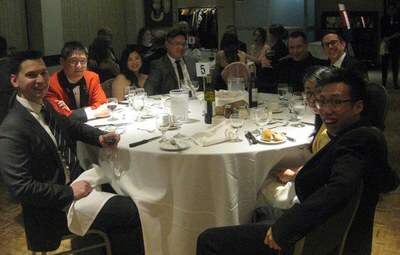 Bombardier Andrew Voth, Bombardier Gary Tse, Bombardier Peter Gal, Eric Tsang, Rob Scheib and Olivier Couturier pose before getting down to some great music! 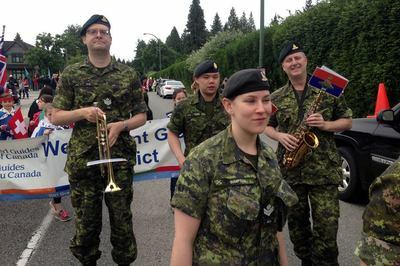 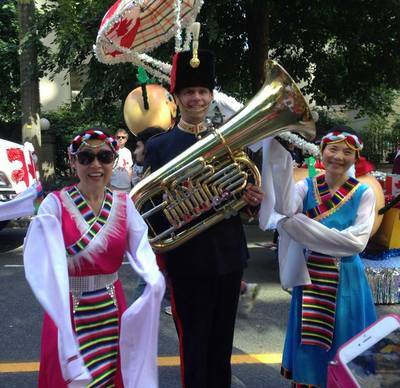 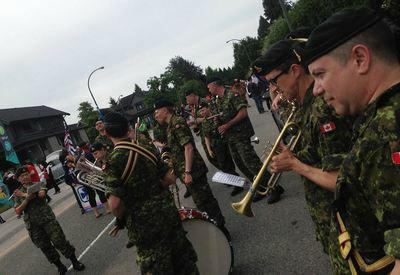 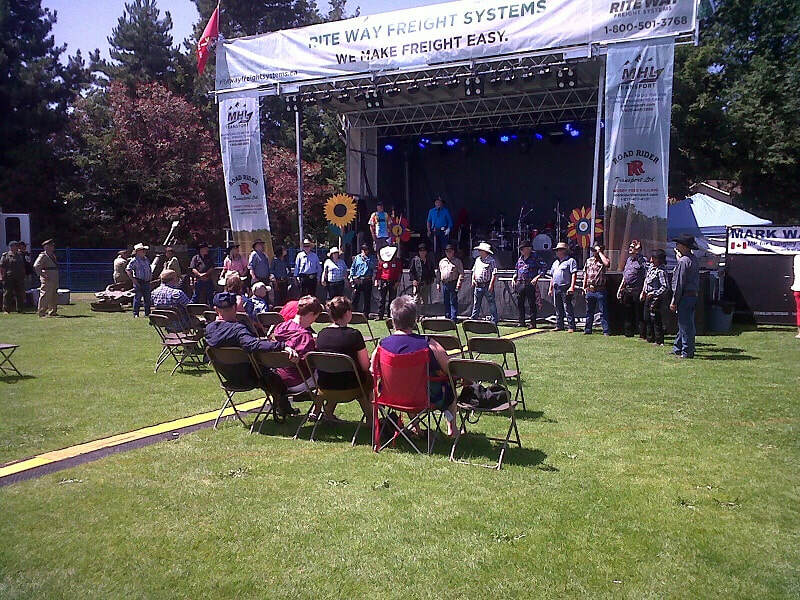 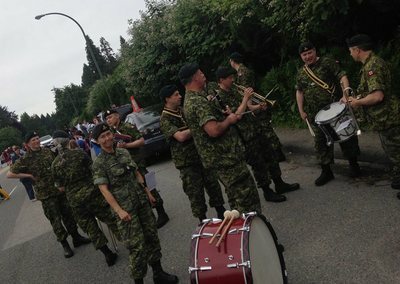 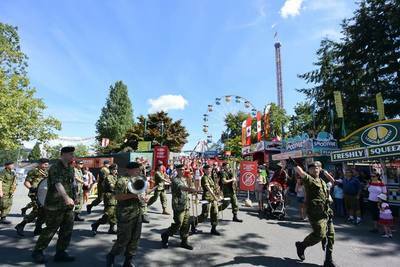 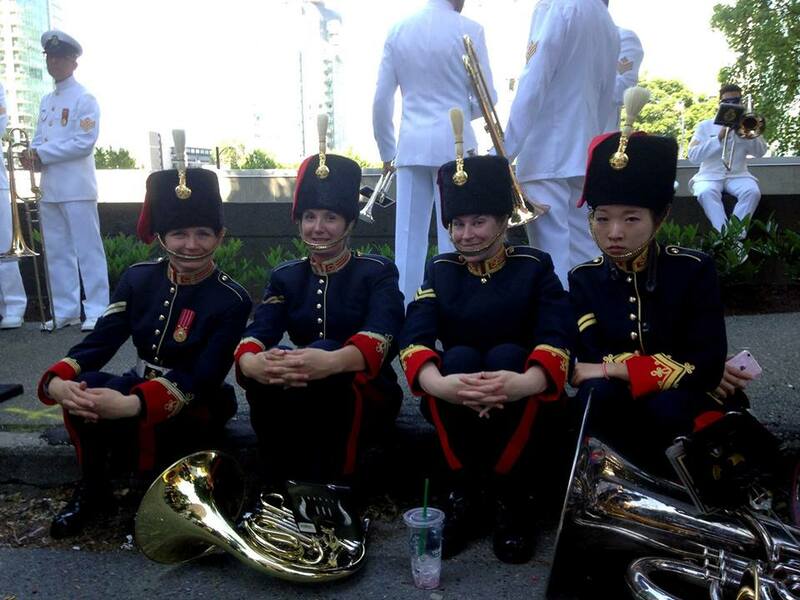 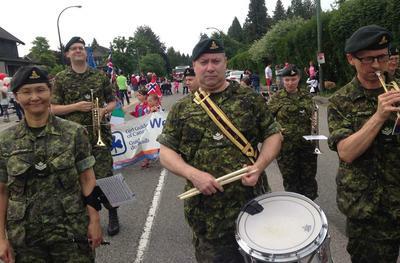 The band performed in this annual parade for the Point Grey Fiesta Days celebrations. 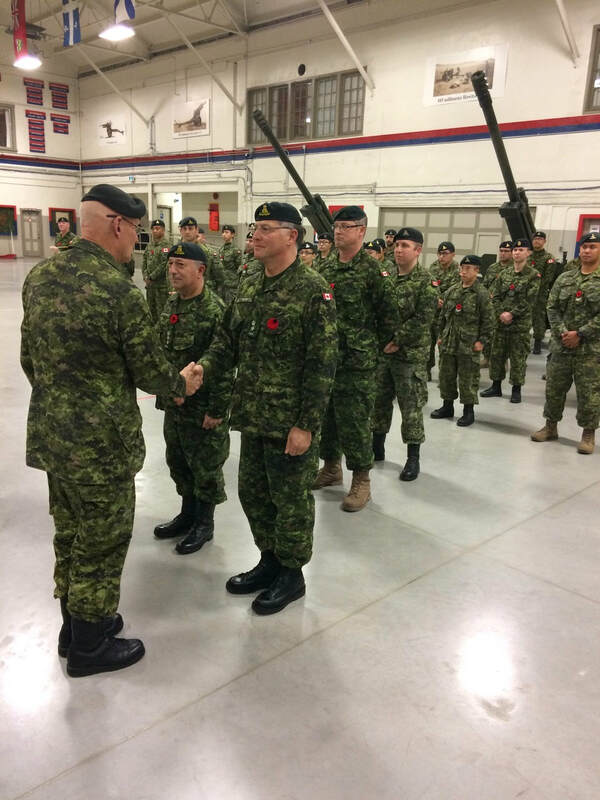 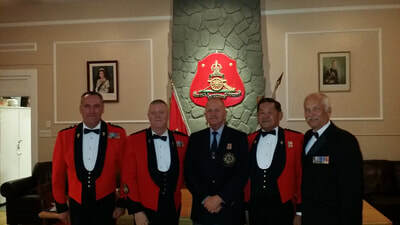 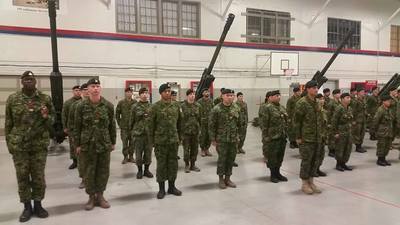 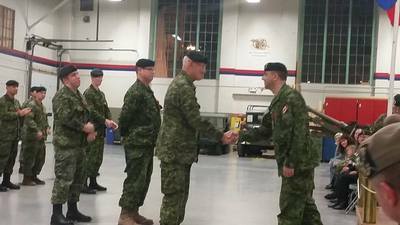 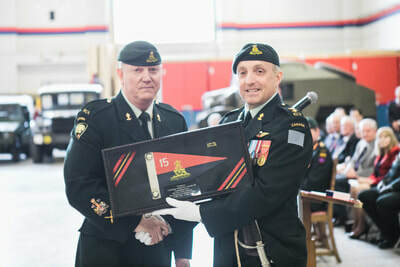 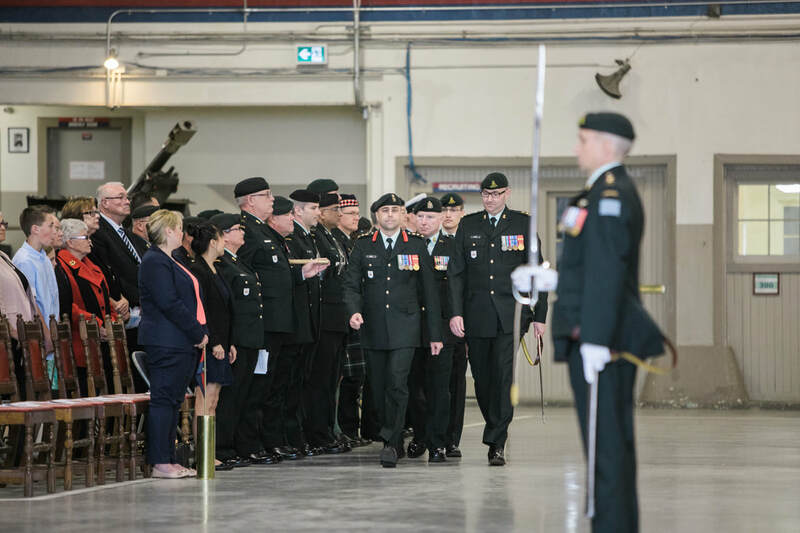 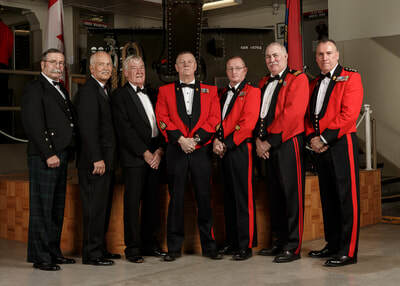 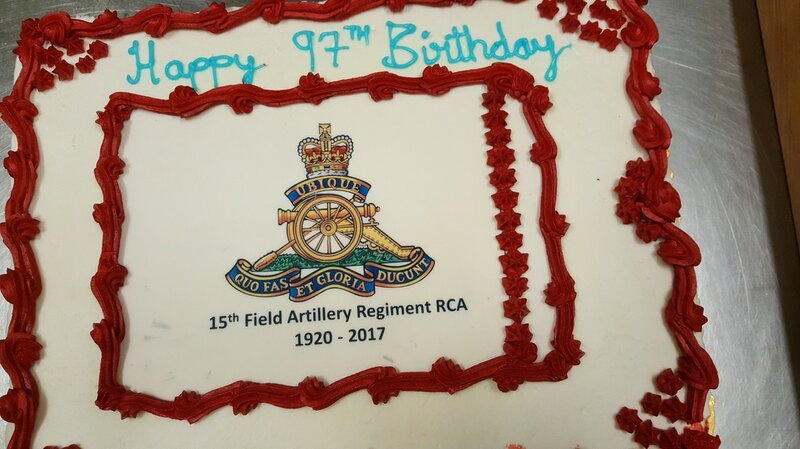 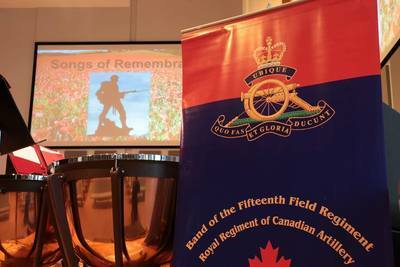 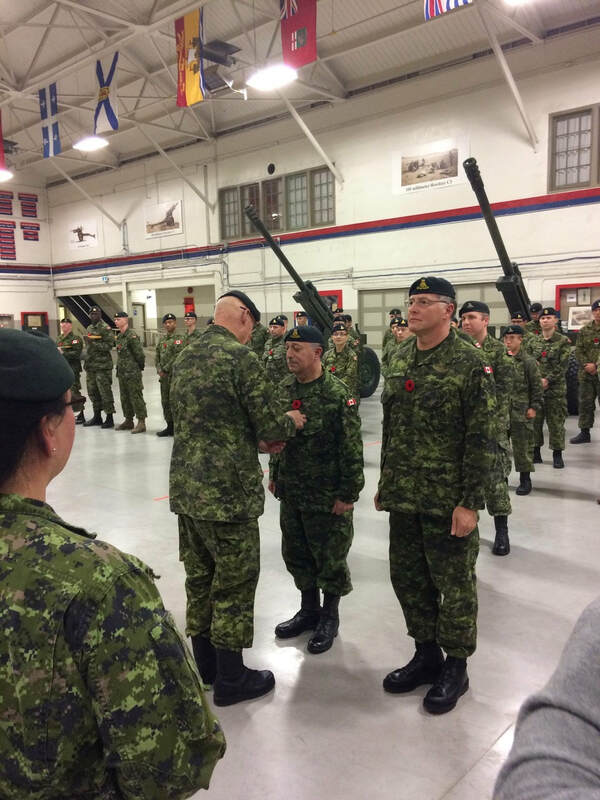 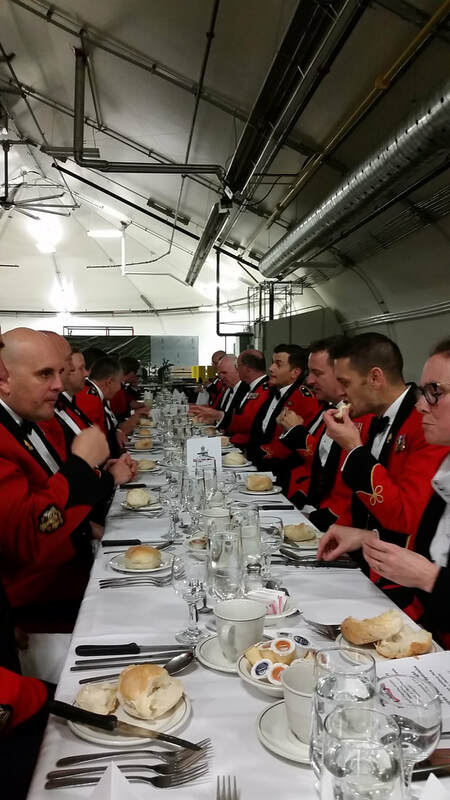 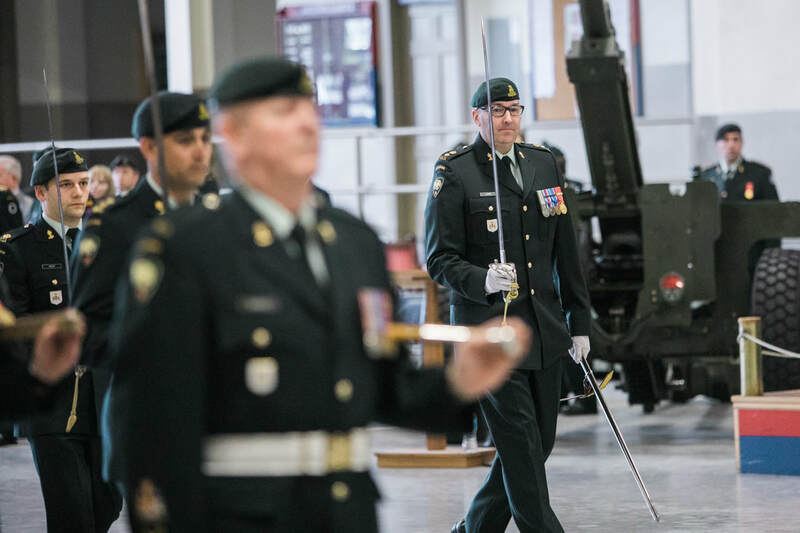 The command of the 15th Field Artillery Regiment RCA was formally handed over from Lieutenant-Colonel Brent Purcell CD to Lieutenant-Colonel Pierre Lajoie CD at Bessborough Armoury on 13 May 2017. 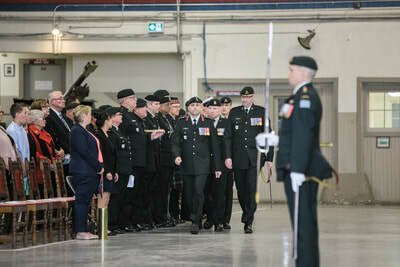 The Change of Command ceremony is a time for the Regimental family to gather and witness the passing of the regiment to the next generation. 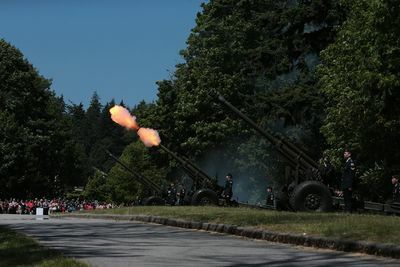 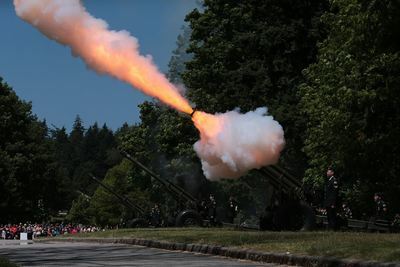 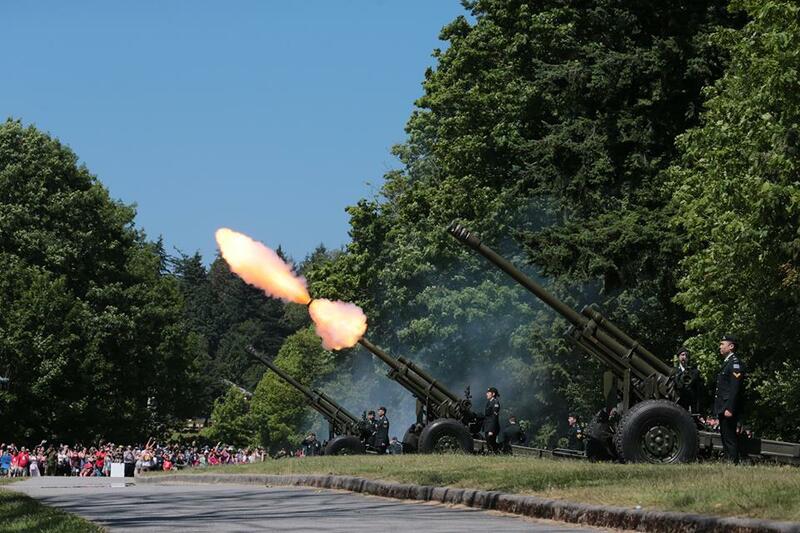 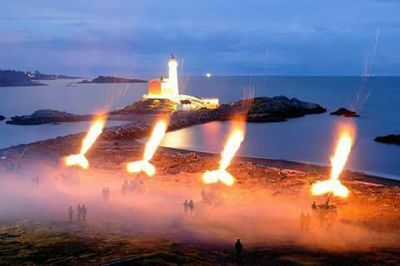 5 (BC) Field Regiment RCA and 15th Field Regiment RCA firing 100 round salute at Fort Rodd Hill in Victoria, B.C. 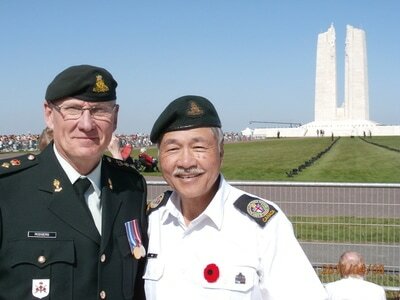 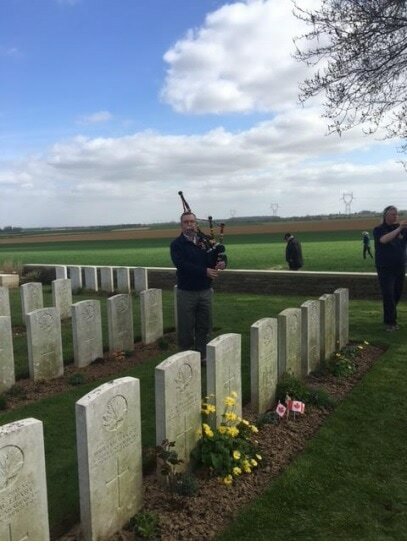 on the 100 year anniversary of Vimy Ridge. 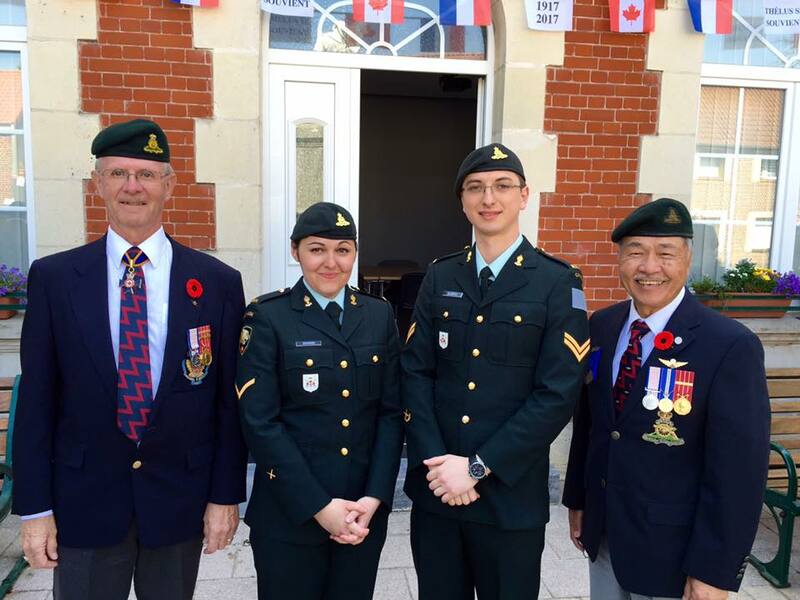 A few of the the 15th Field Artillery Regiment RCA present at the 100th Anniversary of Vimy Ridge; Major General Stuart McDonald, Gunner Jessica Deacon, Bombardier Bojan Aleksic and Major Woo. 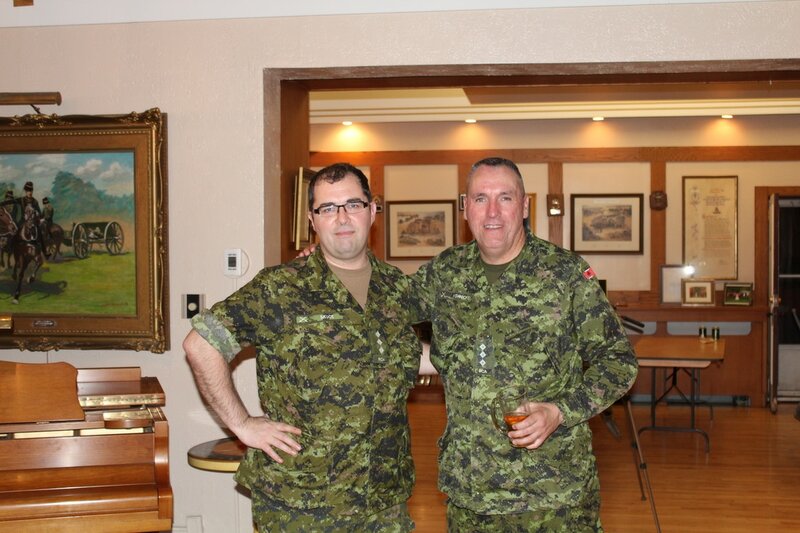 ​The Battery Captain 68 Battery, Captain Isaac Skuce, and the Battery Captain 31 Battery, Captain Rob Wishnicki plot administrative plans in the Officers' Mess on 3 May 2017. ​May the Fourth be with you! 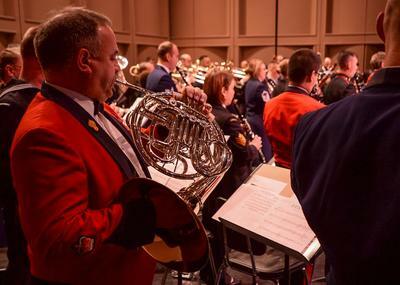 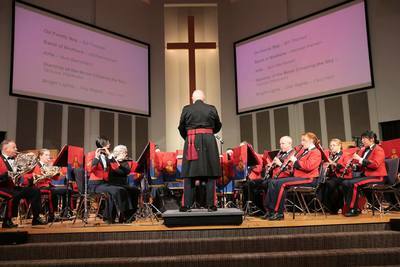 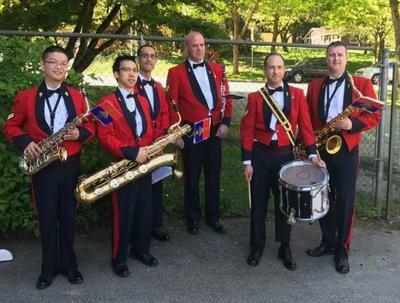 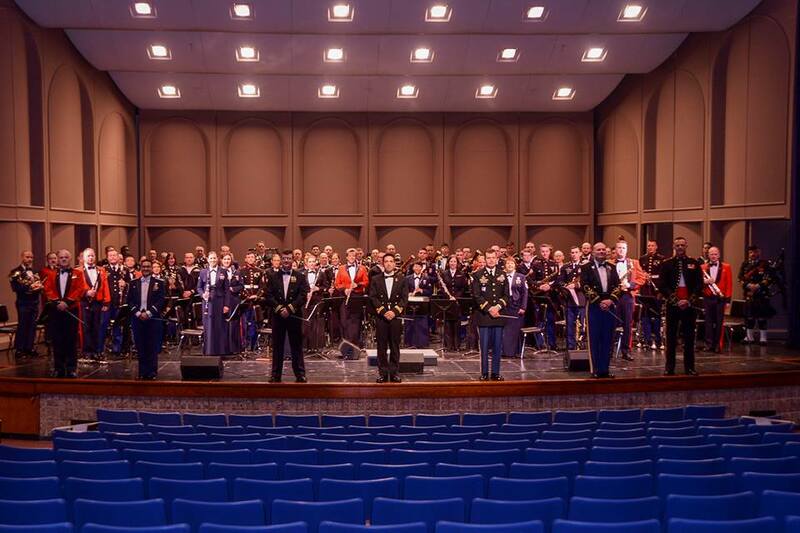 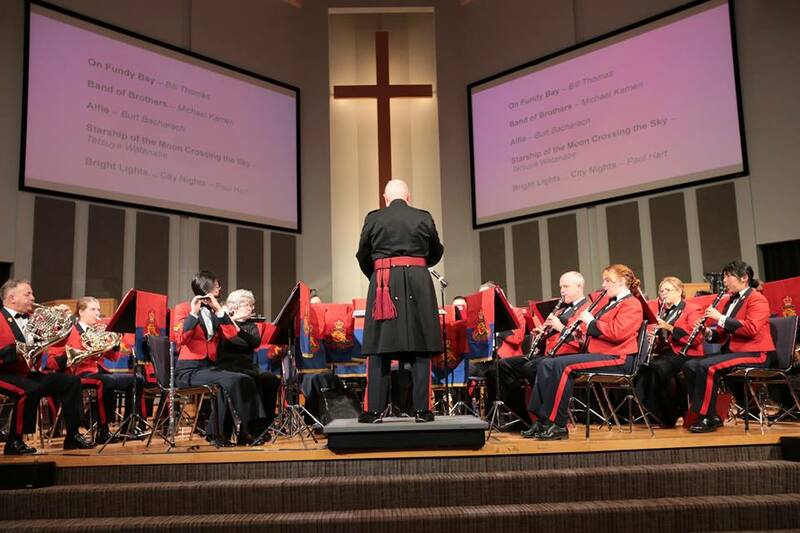 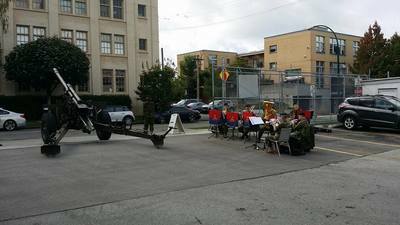 The Band of the 15th Field Artillery Regiment participated in the annual band concert held in Bremerton Washington on 29 April 2017. 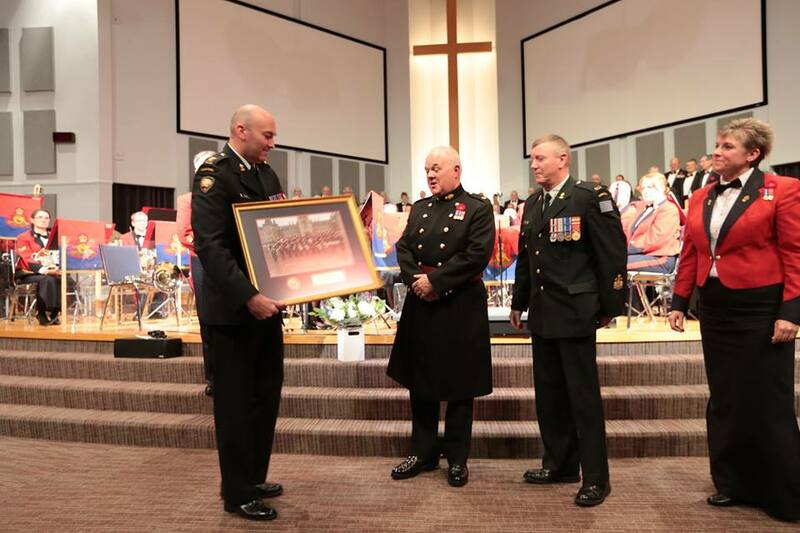 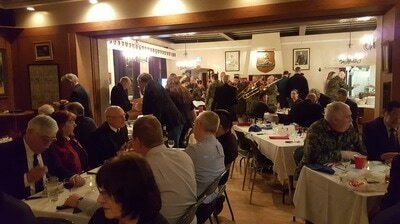 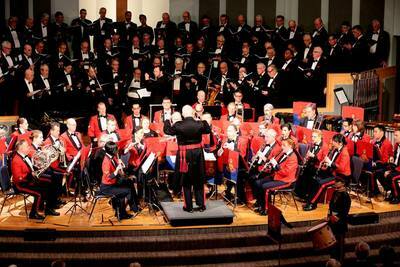 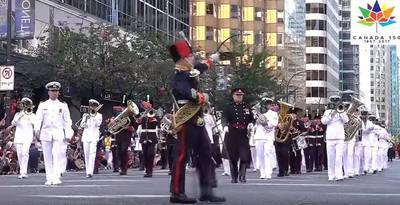 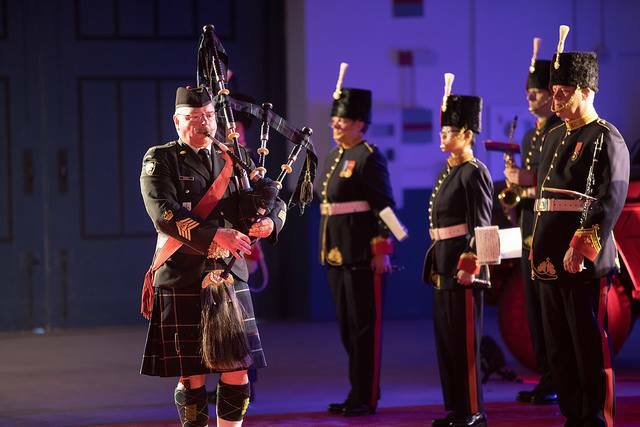 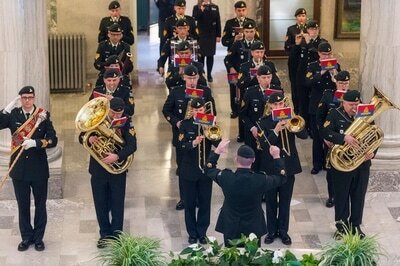 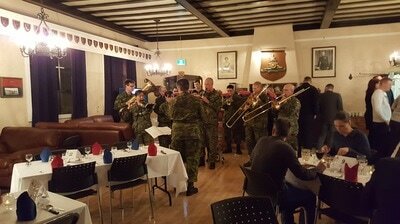 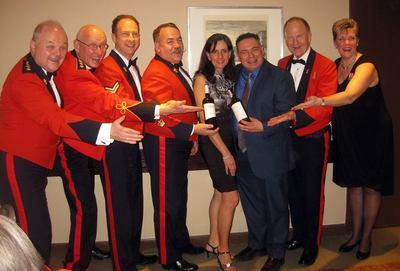 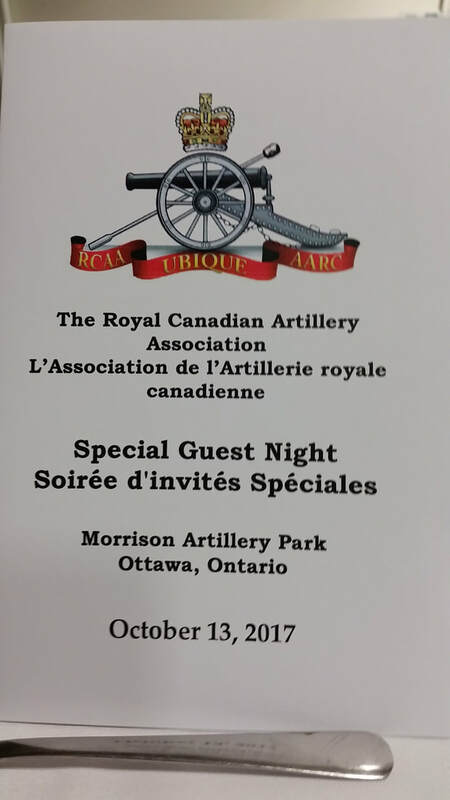 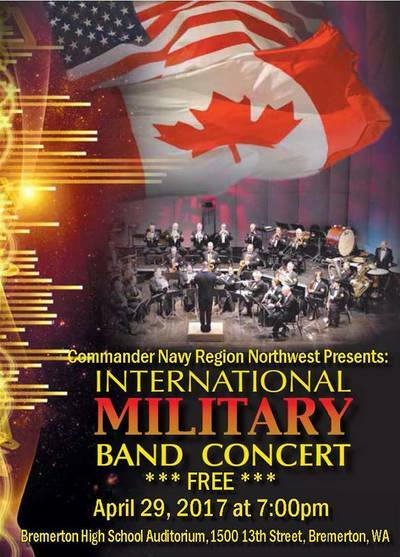 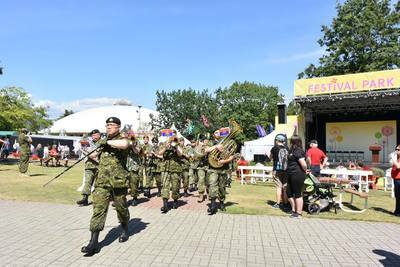 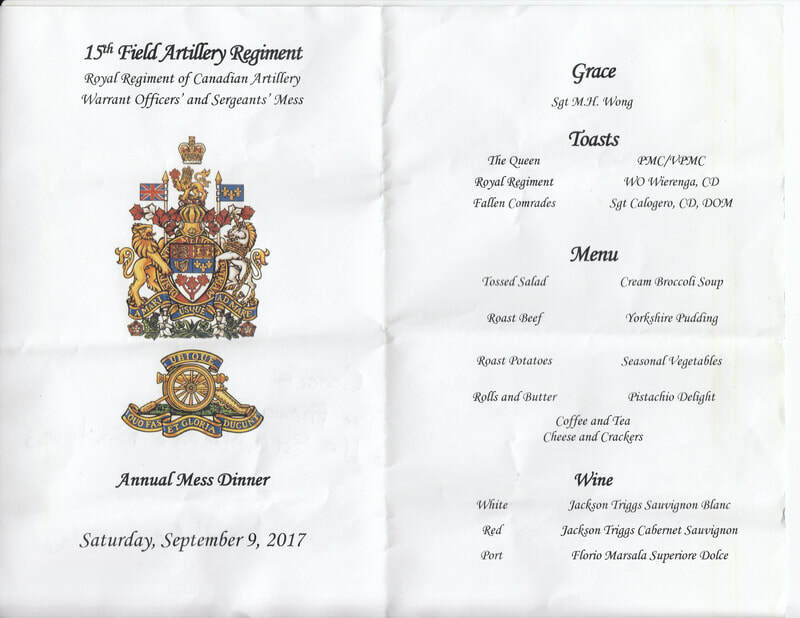 This event has been ongoing for the past 30 years and brings together US and Canadian military bands. 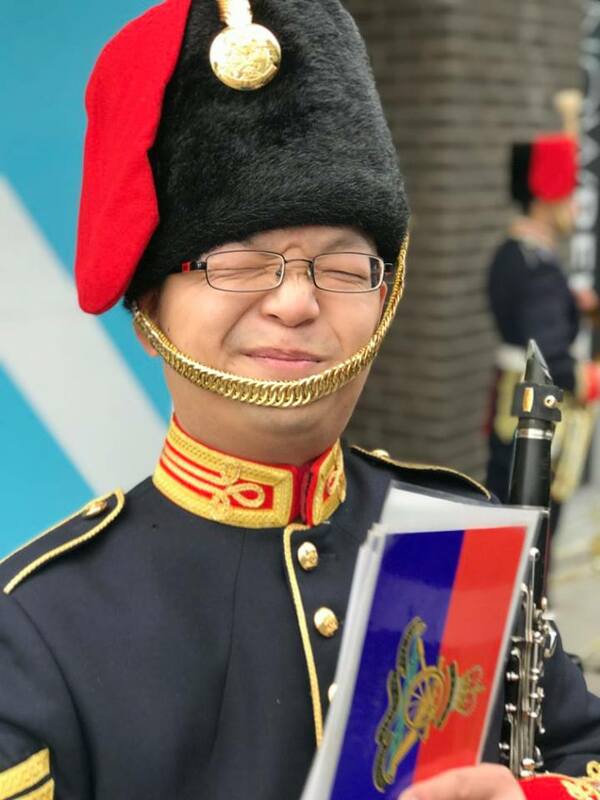 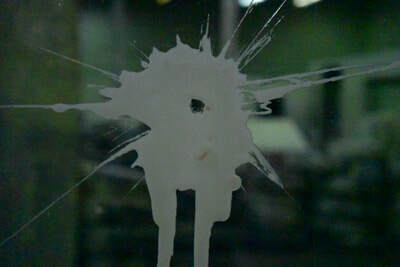 A story from a musician would be excellent! 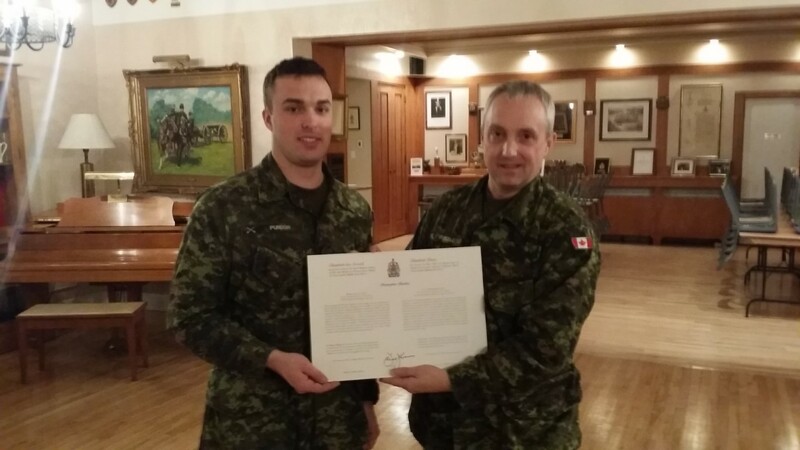 Second Lieutenant Chris Purdon receives his commissioning scroll from the Commanding Officer, Lieutenant-Colonel Brent Purcell in the Officers' Mess on Wednesday, 8 February 2017. 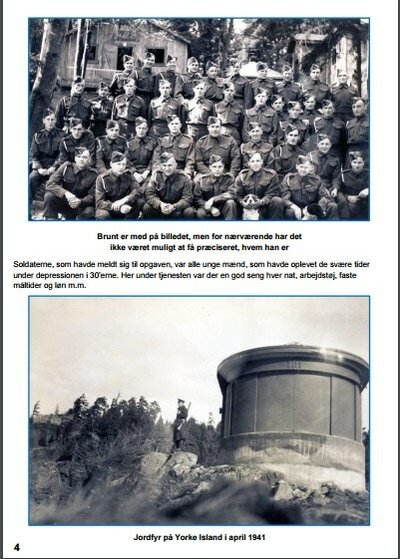 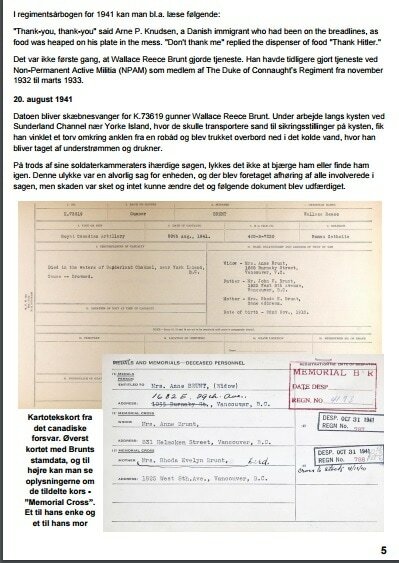 A story from one of the frosty Gunners would be appreciated. 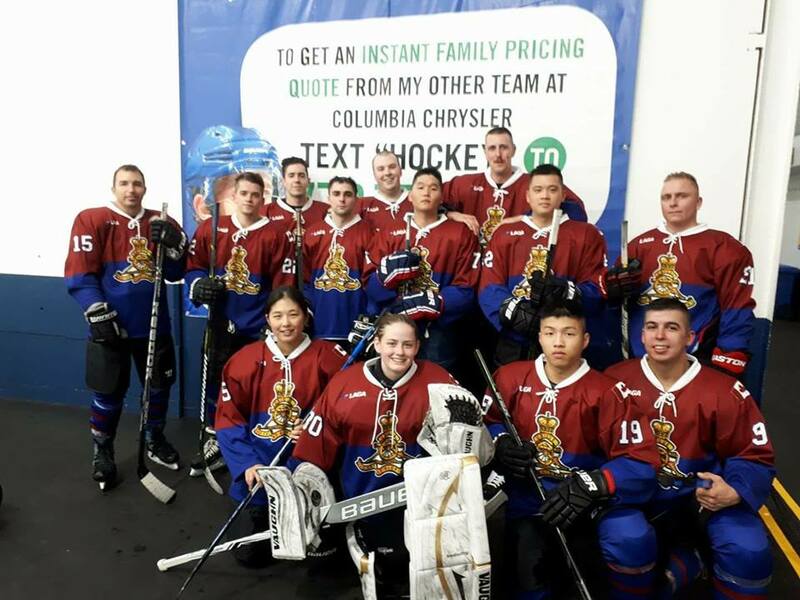 It's hockey season and the Mud Gunners have hit the ice! First game is a 1-0 loss but a solid effort! 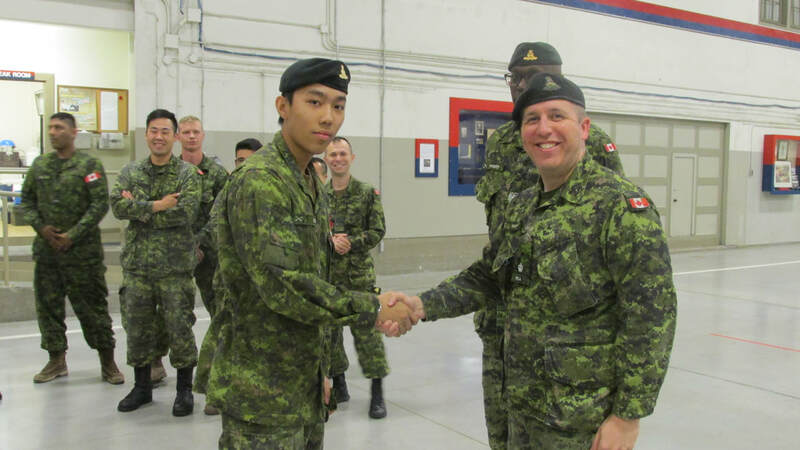 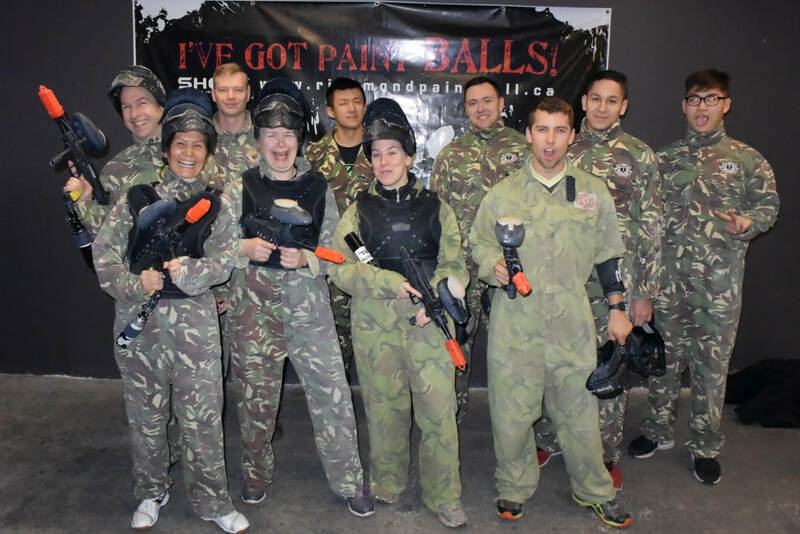 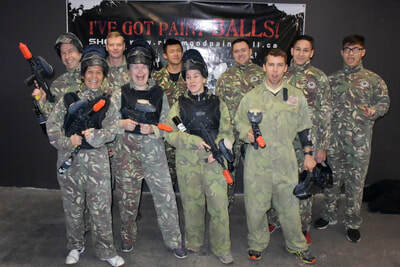 Two brand new recruits, Private Recruit's Jeon and Pearen, meet Chief of Defence Staff General Jonathan Vance, followed by Private Zeshan Syed. Not a good scene the Wednesday before a planned exercise to Yakima Firing Centre. 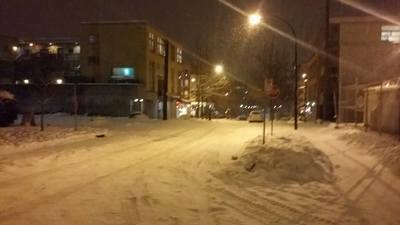 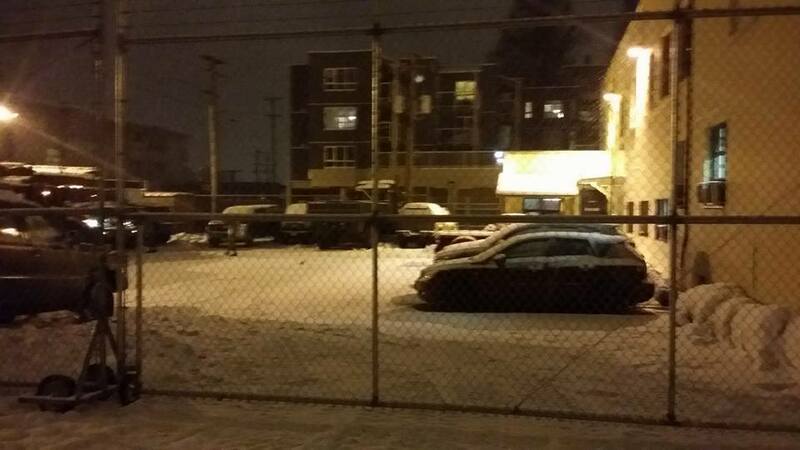 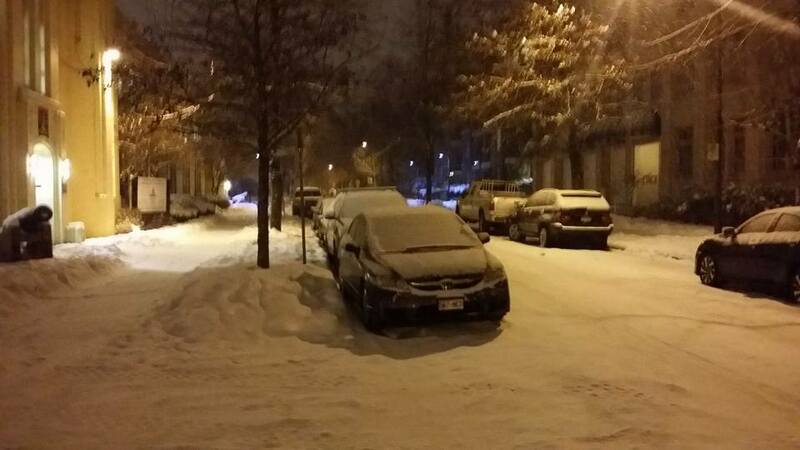 If there's this much snow in Vancouver, how much will there be at Snoqualmie Pass? 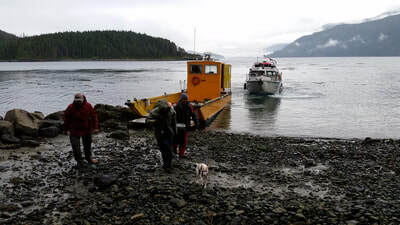 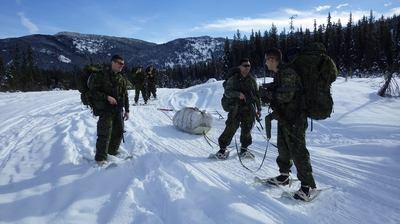 Sure enough, the pass was closed and the exercise canceled. 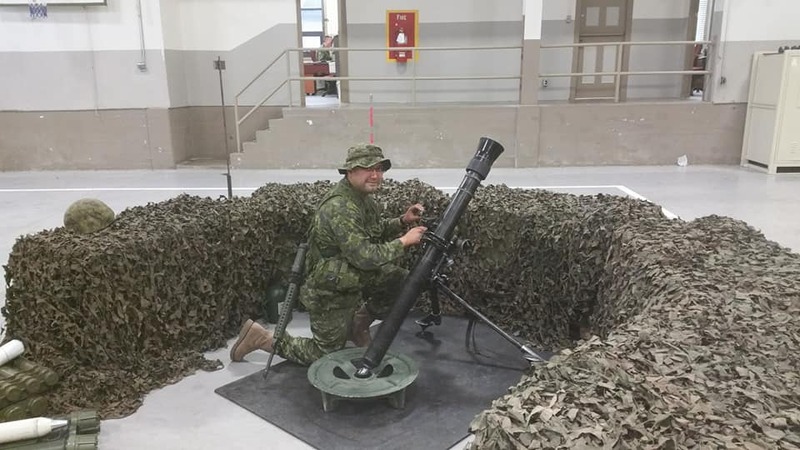 That means more rounds for the next exercise! 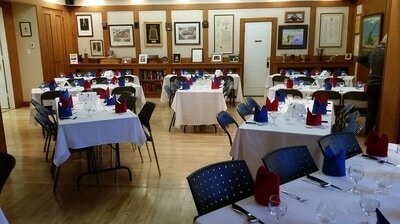 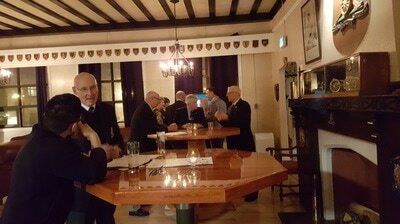 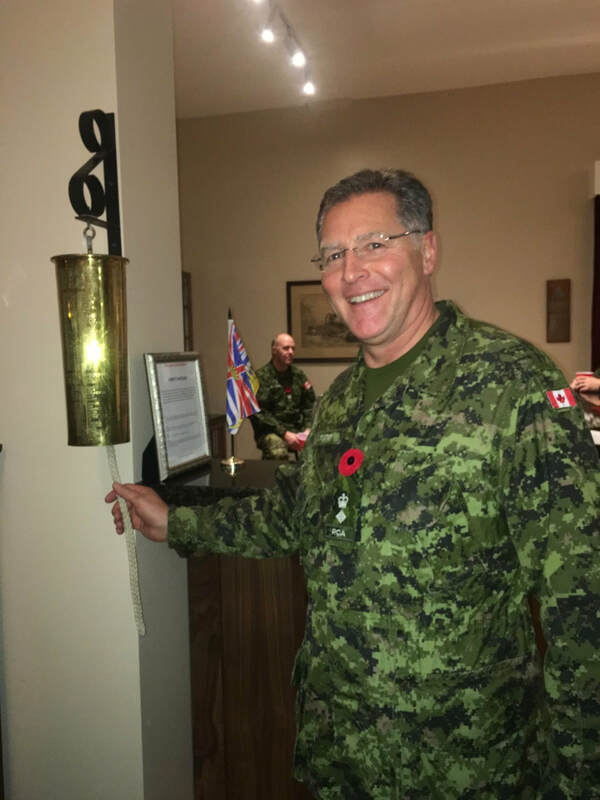 Captain (ret) Noel Dykes has added decades of future use to two of the trophies in the Warrant Officers and Sergeants Mess. 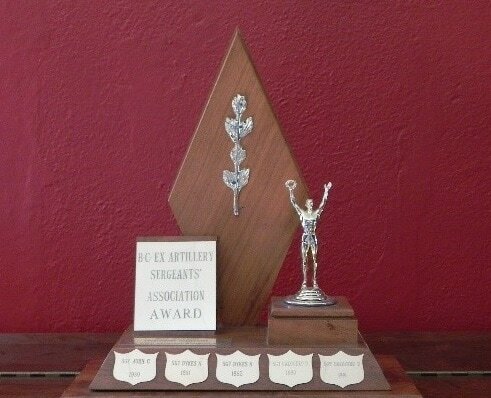 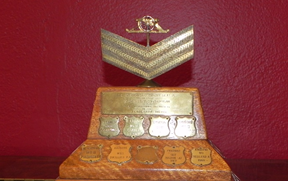 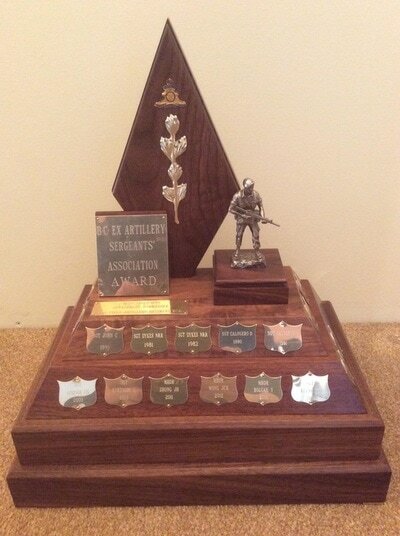 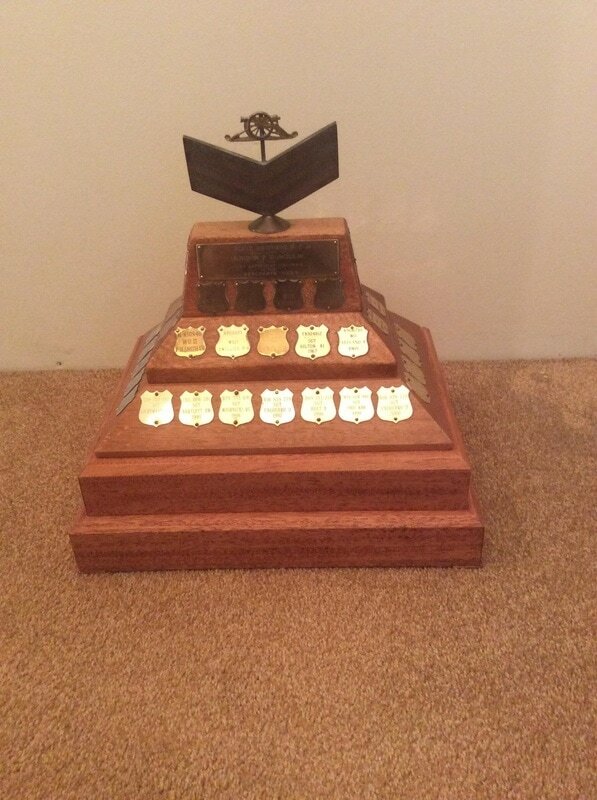 The ​Brigadier R.T. Dumoulin Trophy for the Most Efficient member of the Sergeants' Mess and the BC Ex-Artillery Sergeants Association Most Proficient Detachment Commander trophies were fast running out of room for recording the latest winners. 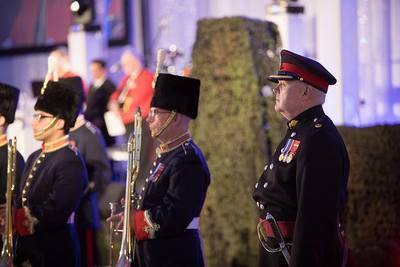 With the addition of new bases (and some overall enhancement of the trophies) future Regimental Sergeant Majors will be able to continue these two traditions. 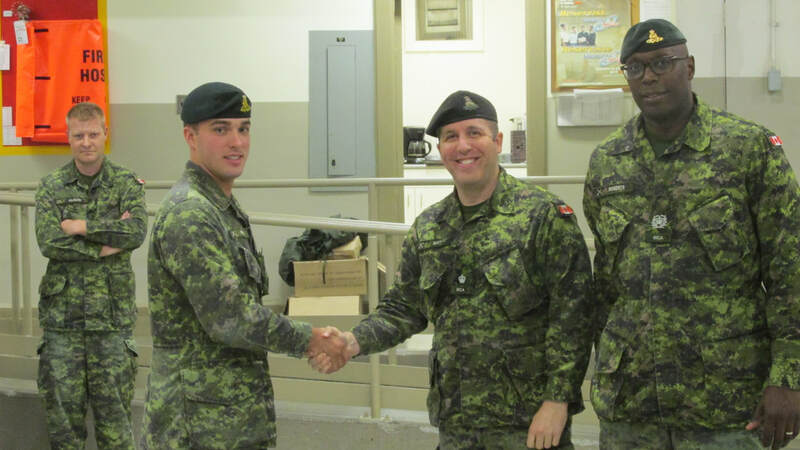 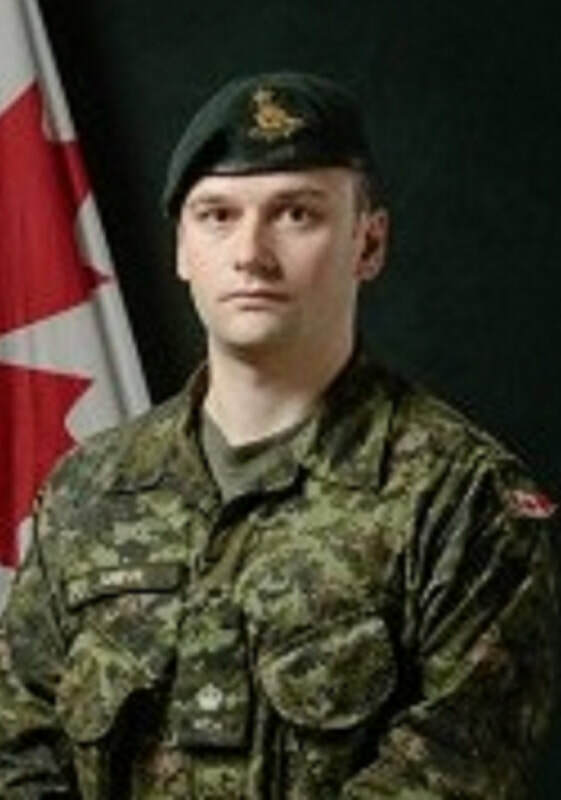 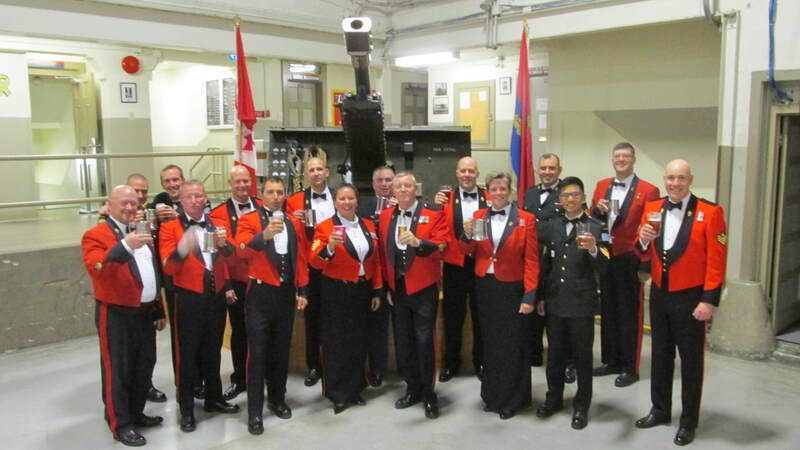 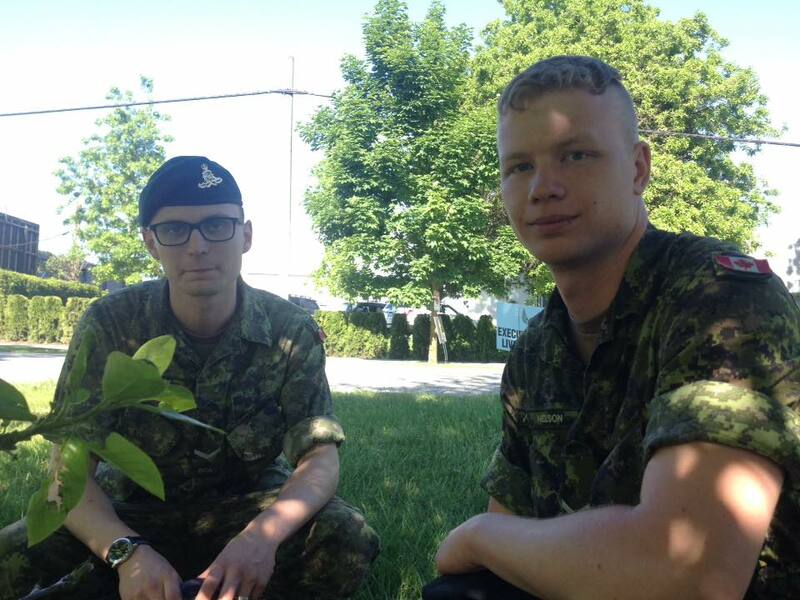 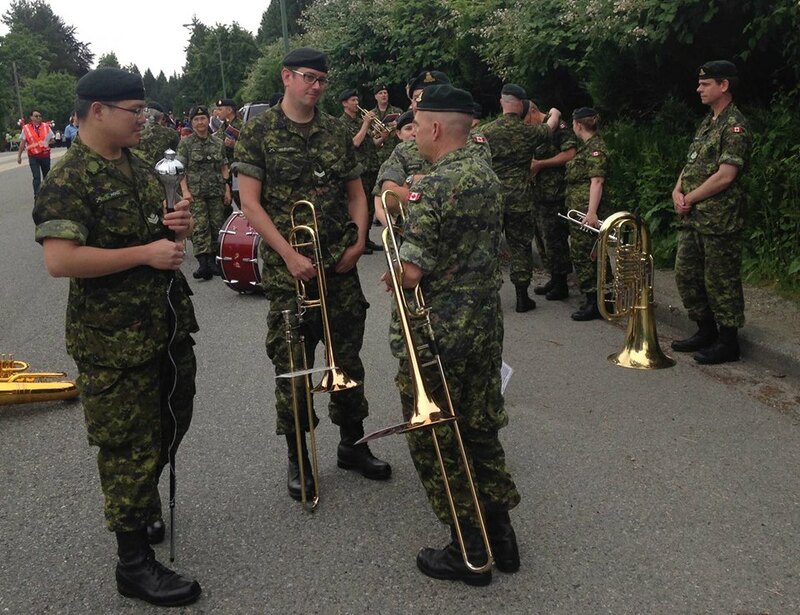 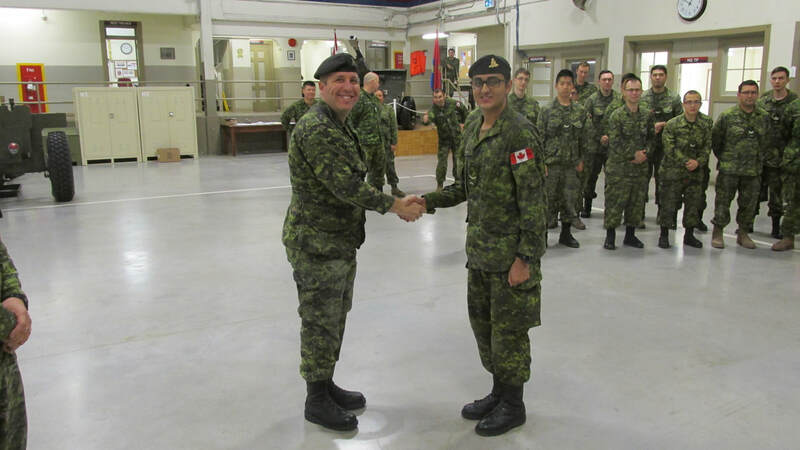 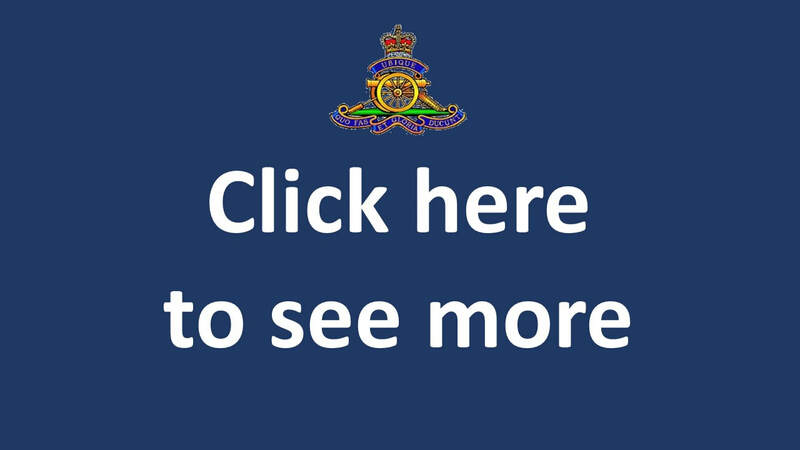 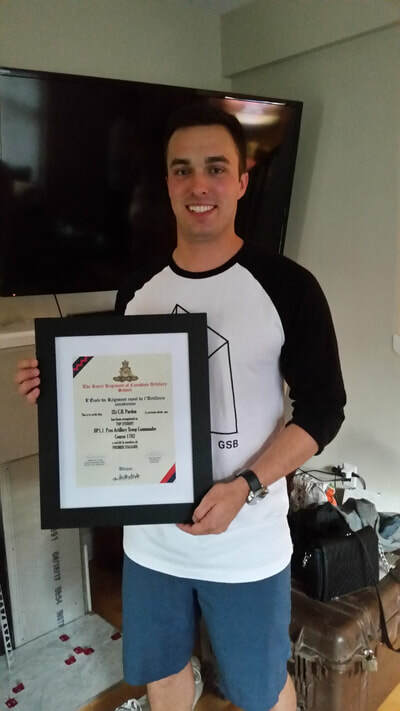 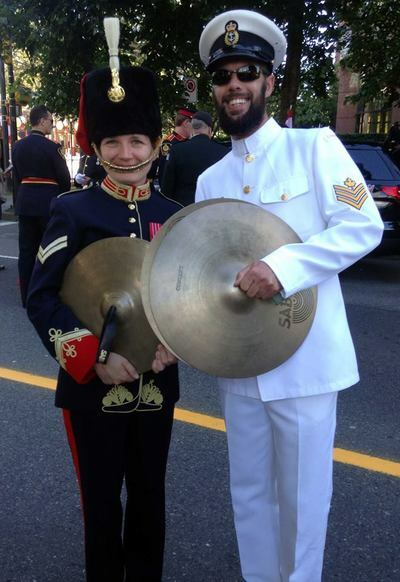 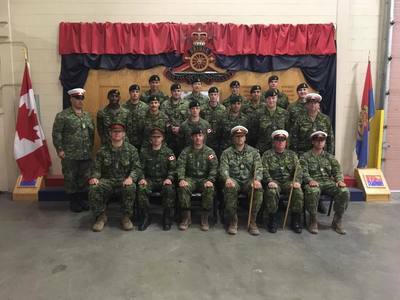 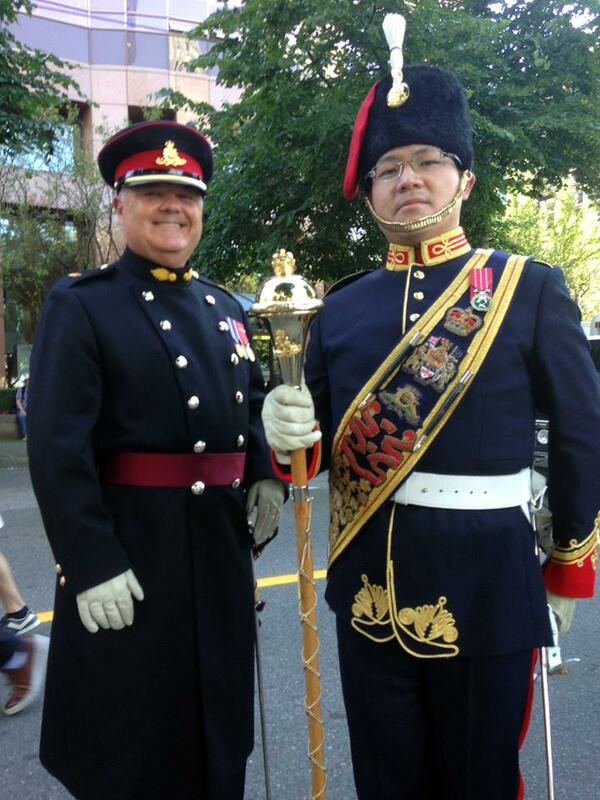 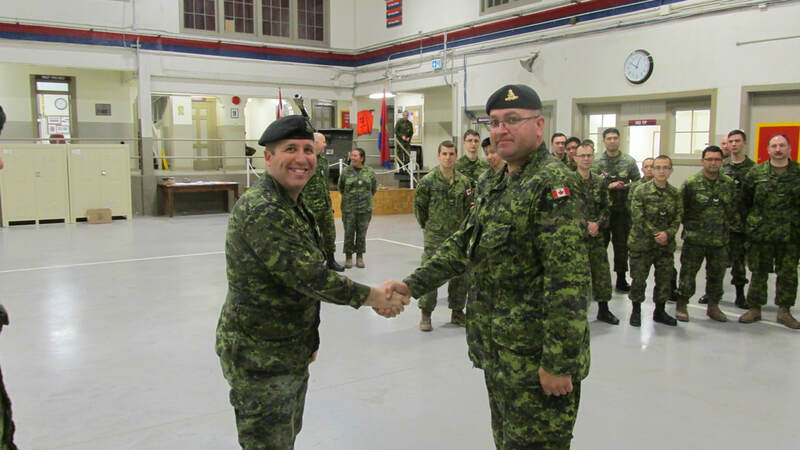 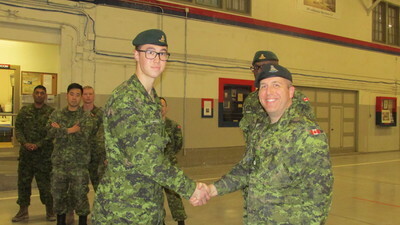 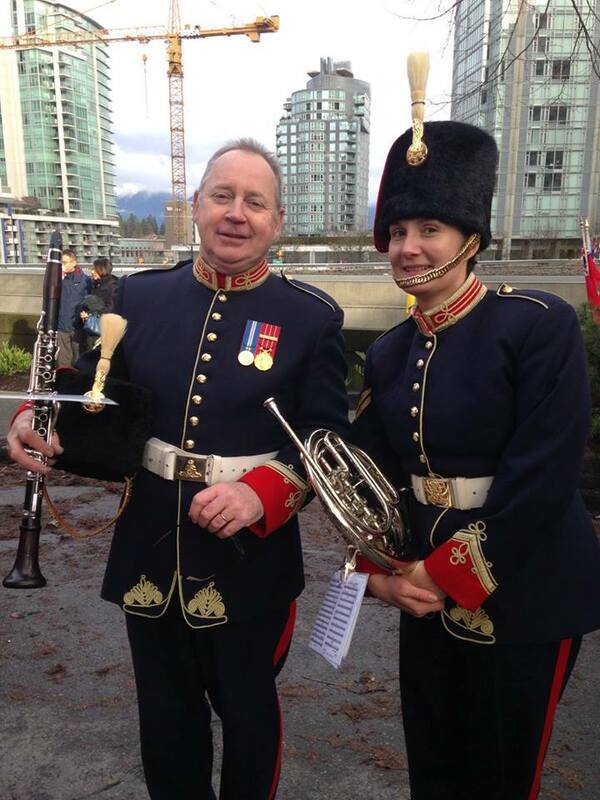 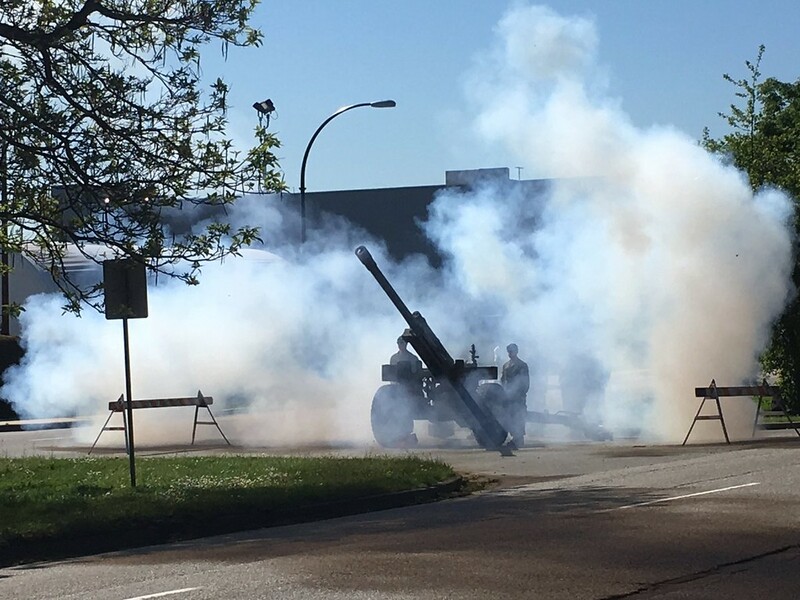 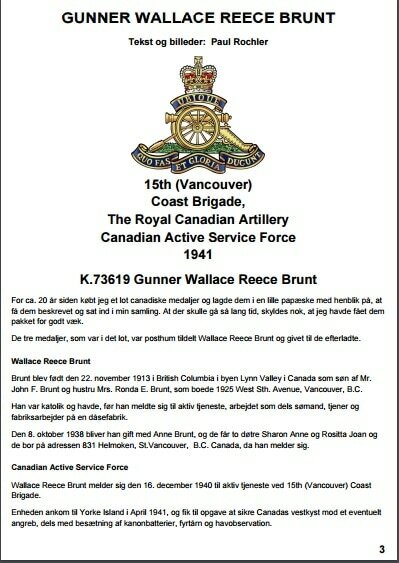 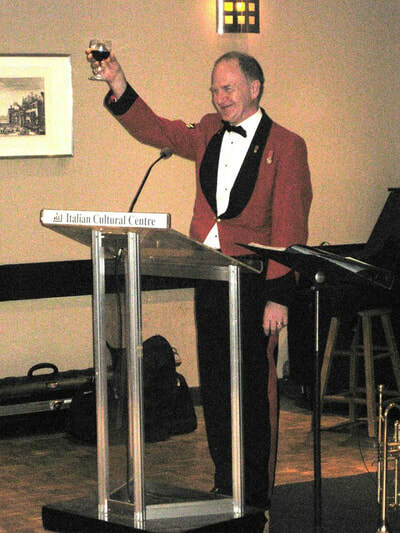 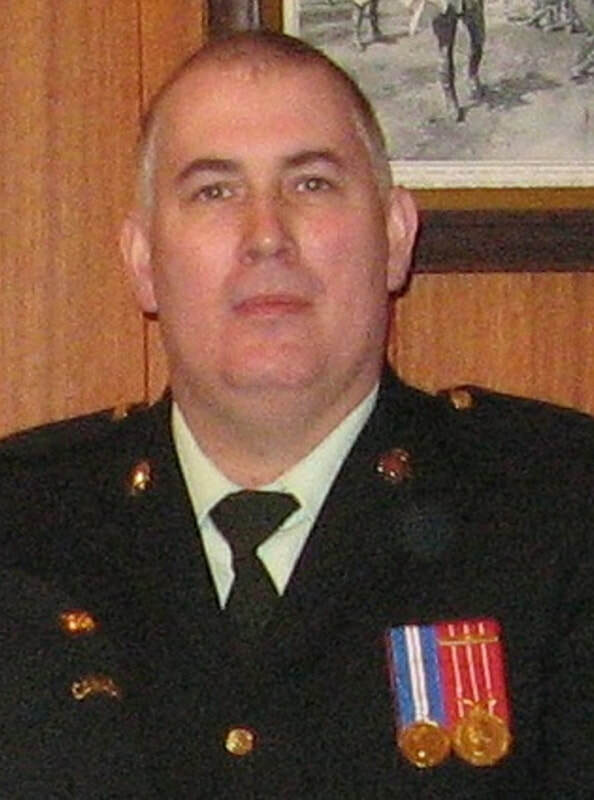 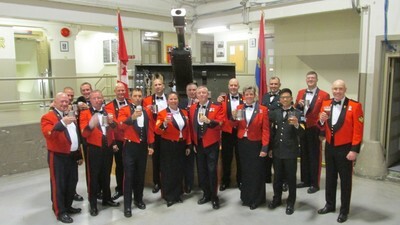 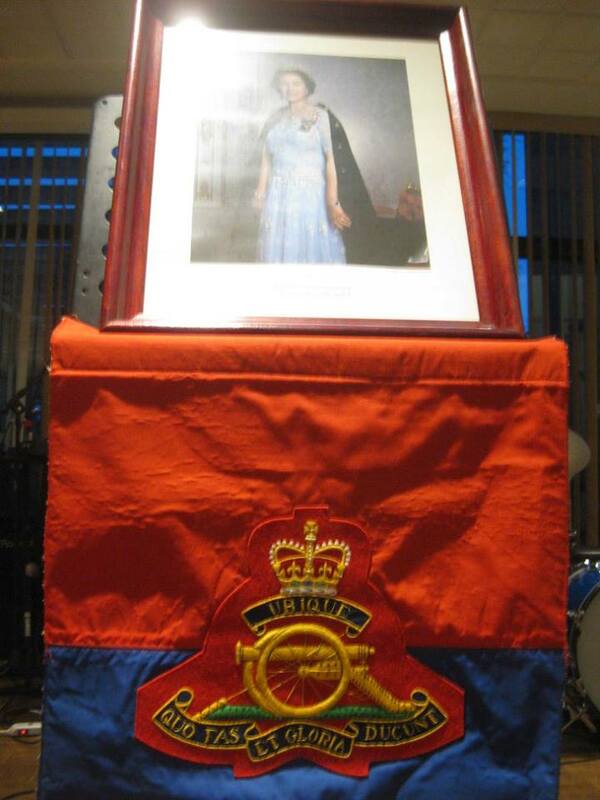 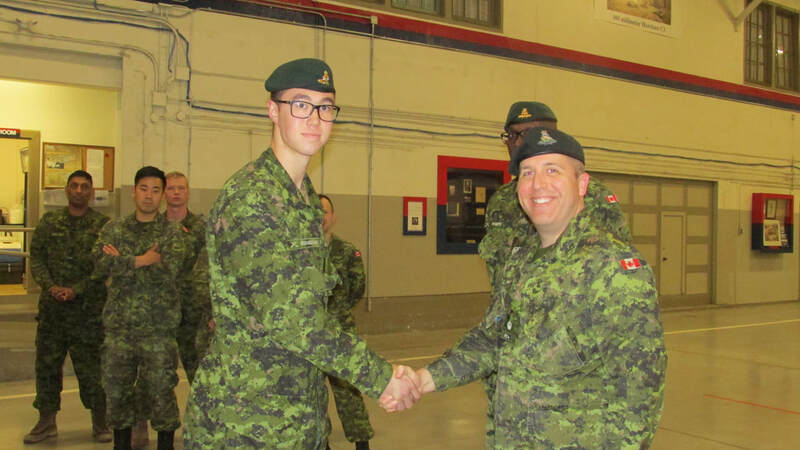 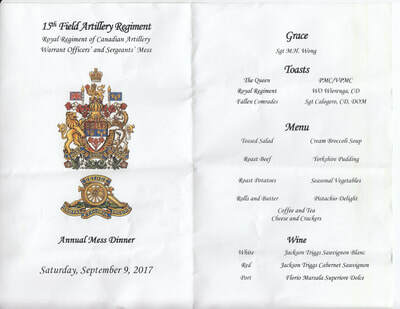 ​Warrant Officer Benjamin Van Slyke has recently been posted to the Artillery Band in Edmonton. 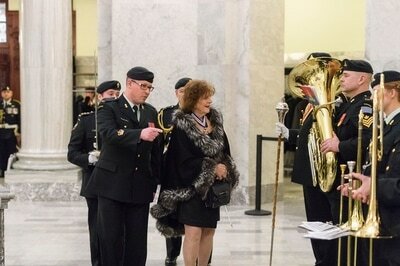 The photos show him in action at the opening of the Alberta Legislature on 2 March 2017. 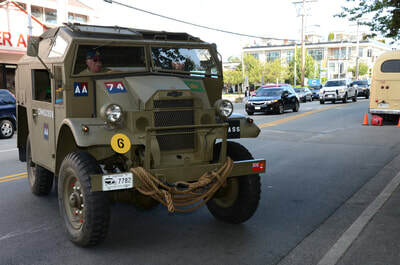 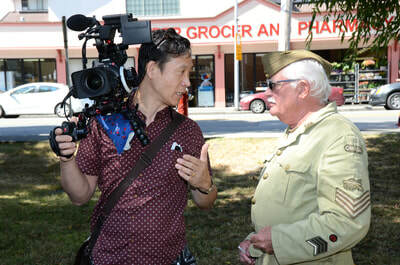 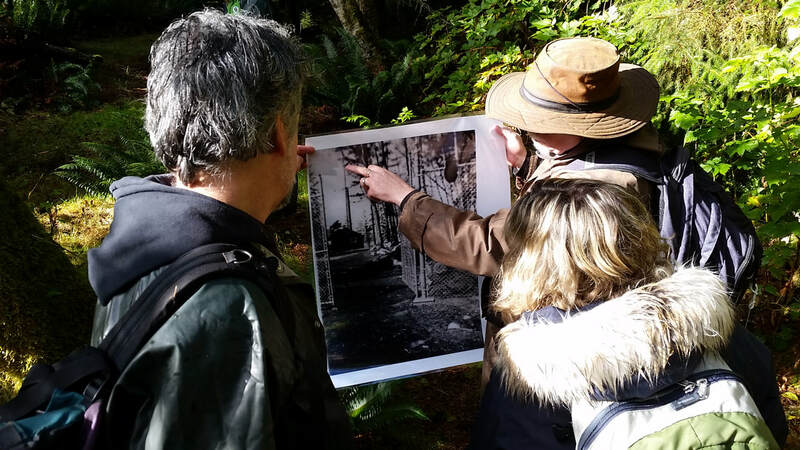 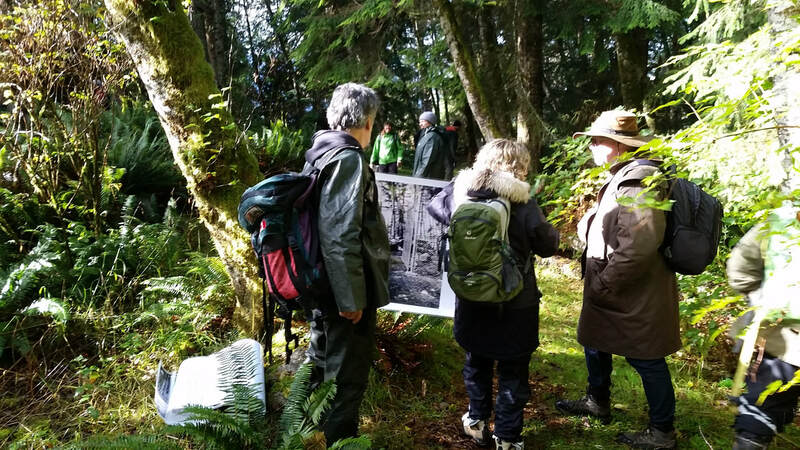 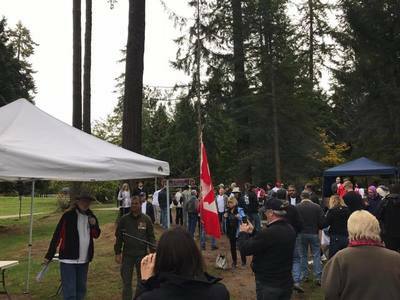 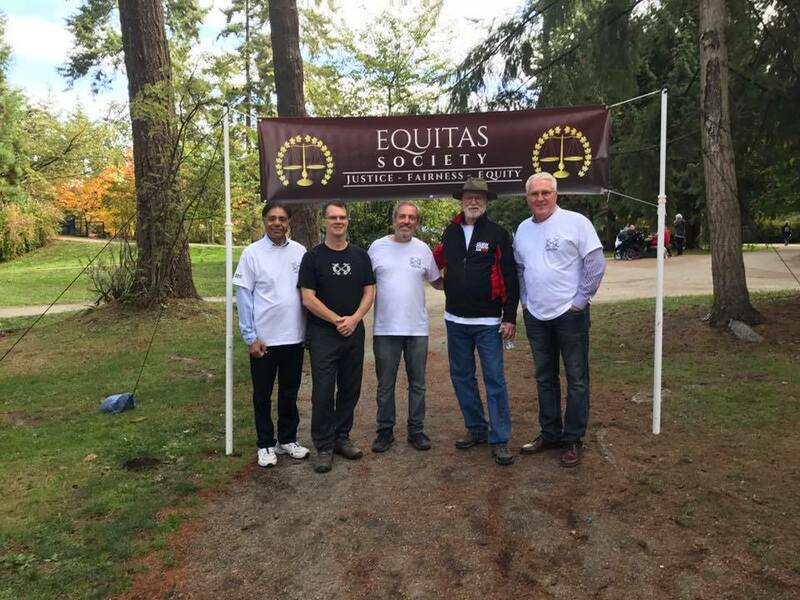 The Equitas Society held its first walk to draw attention to the plight of Veterans. 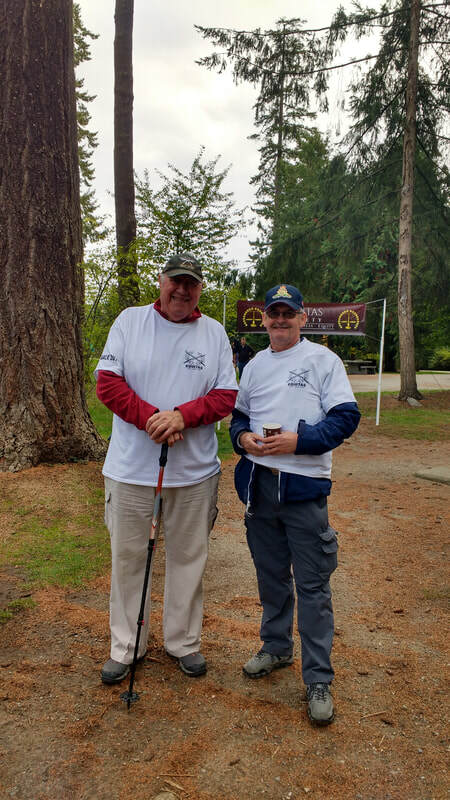 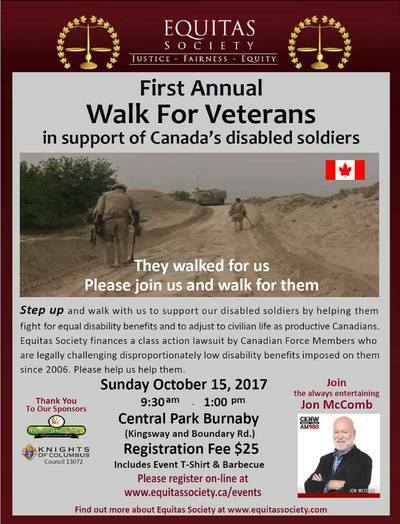 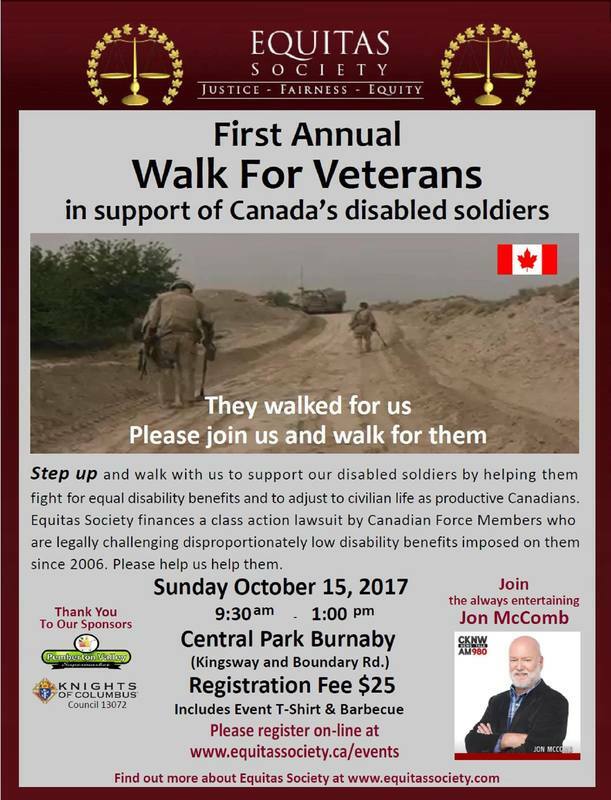 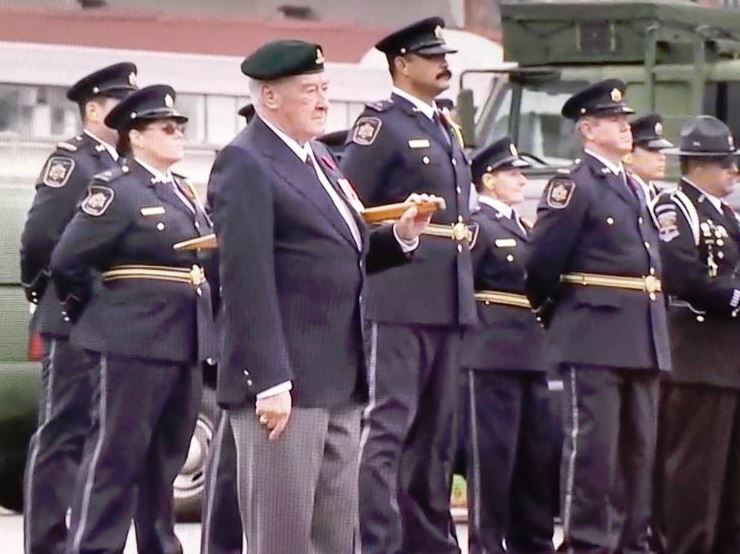 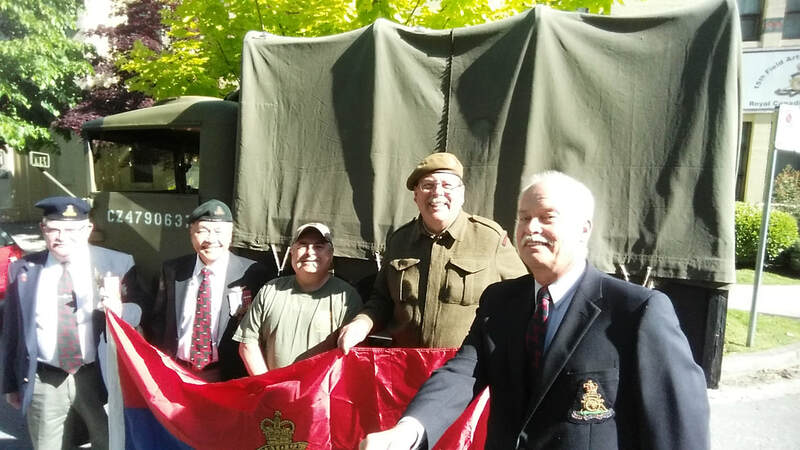 Our former Commanding Officer and Honorary Colonel John Brownlee-Baker and retired Master Bombardier Ernie Kovacs joined the walk. 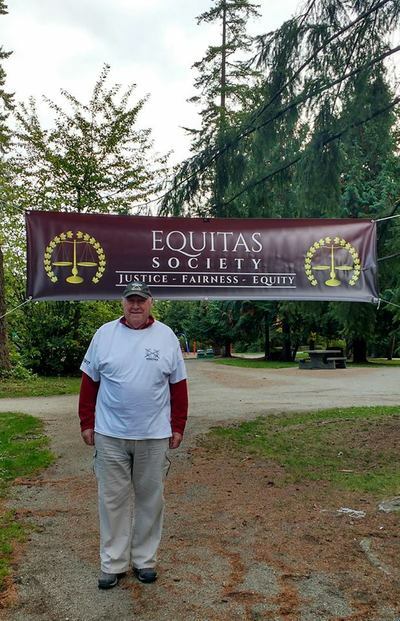 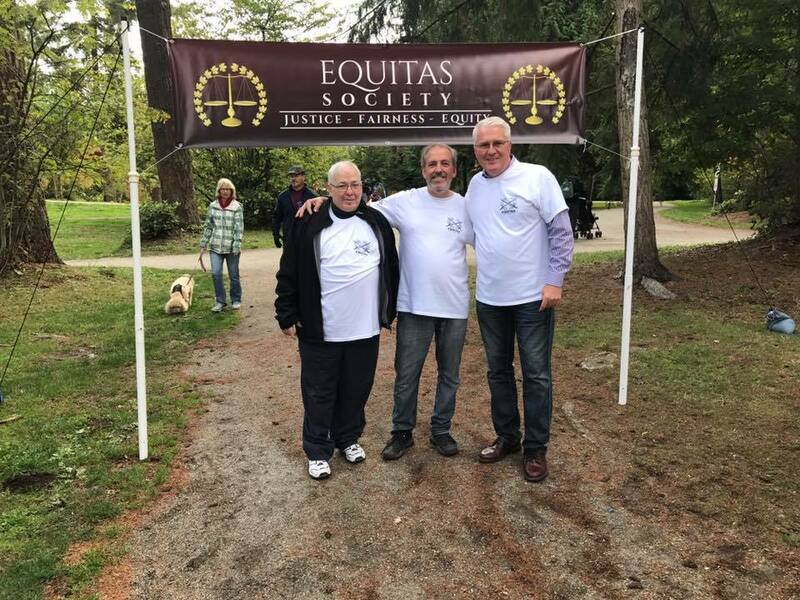 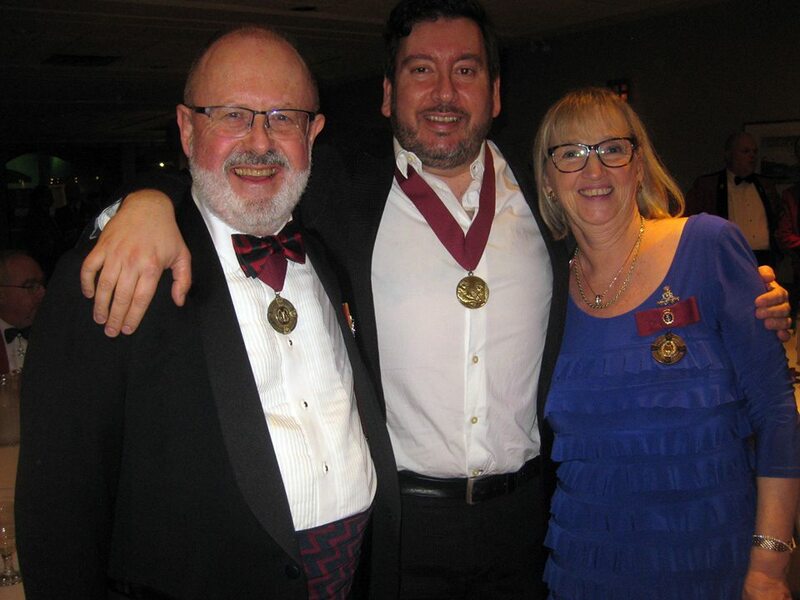 The Equitas Society was started by the father of one of our soldiers, Dan Scott, who was injured in Afghanistan. 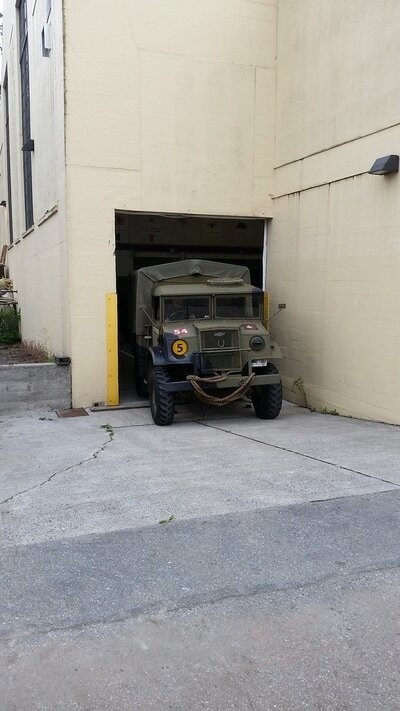 Drop on by and say hi - Bob Mugford and Ernie Kovacs moved it on site on Thursday. 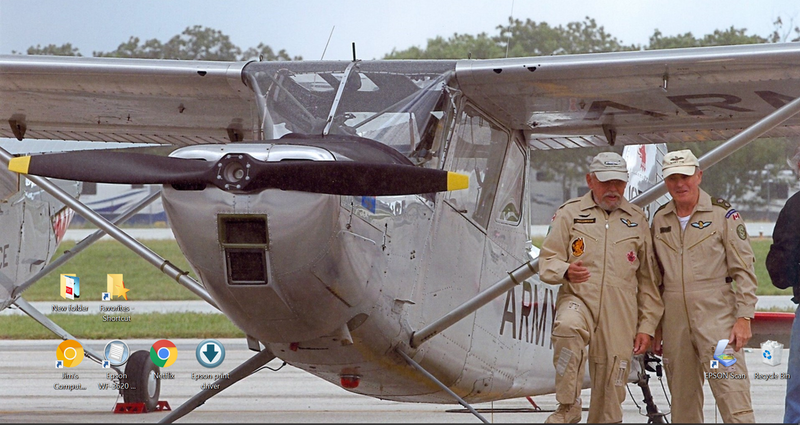 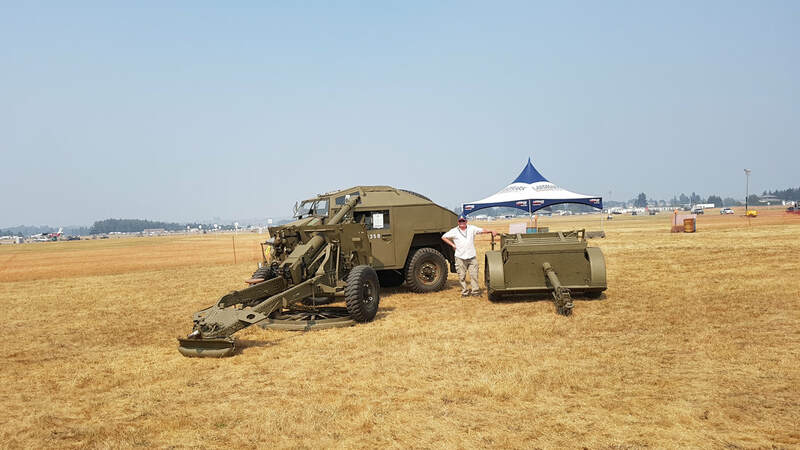 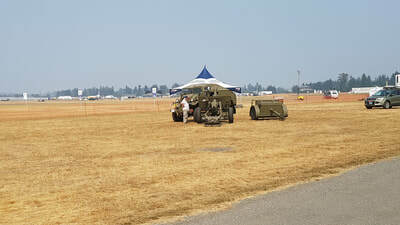 Looking a little dry at the airport... Great time at the Airshow - Doug Loney came out on Sunday to put in some time answering questions about our collection and catch some of the air activity as well. 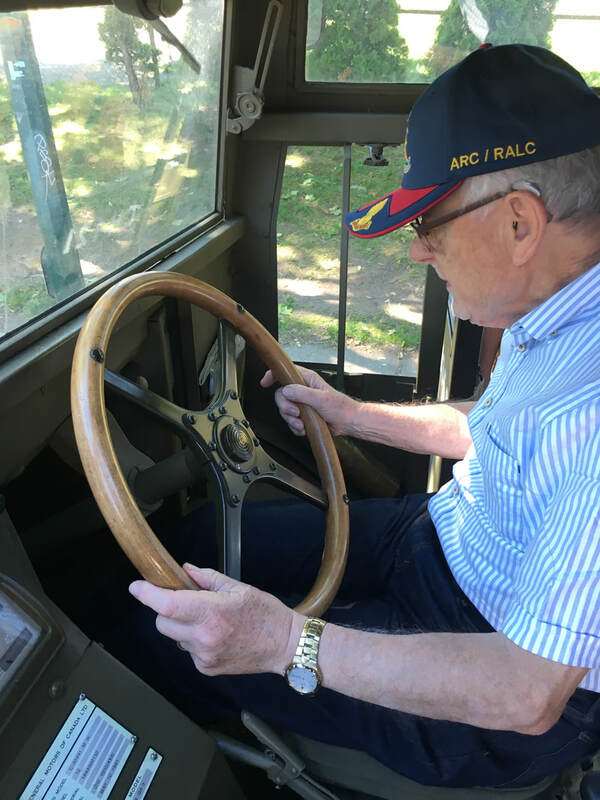 It's driver training time on the Field Artillery Tractor. That includes double shifting and getting accustomed to sitting in the right seat when driving. 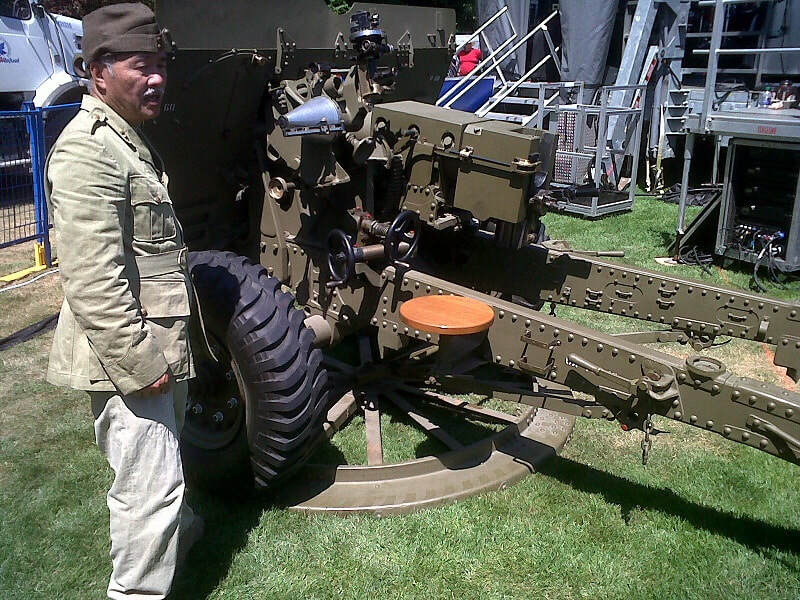 Keep your eyes open for some sort of magnetic turn signal lights that we can use with the 25 pounder. 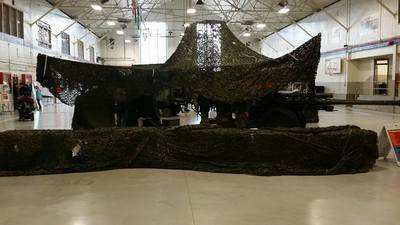 A wifi set up would be awesome! 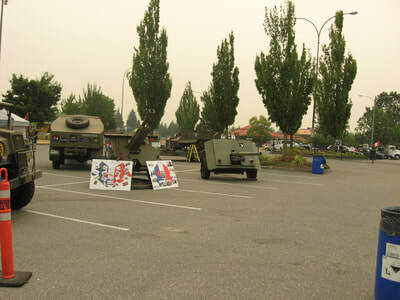 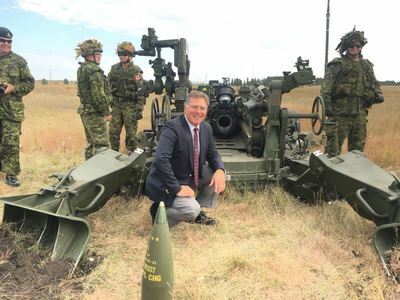 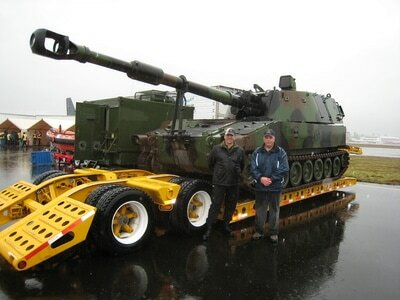 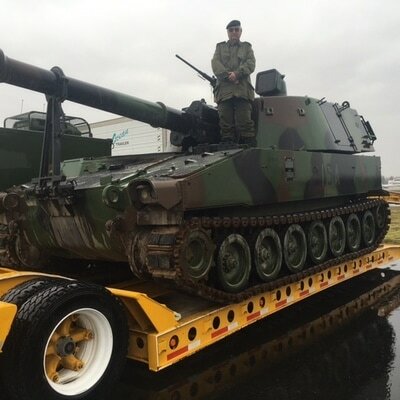 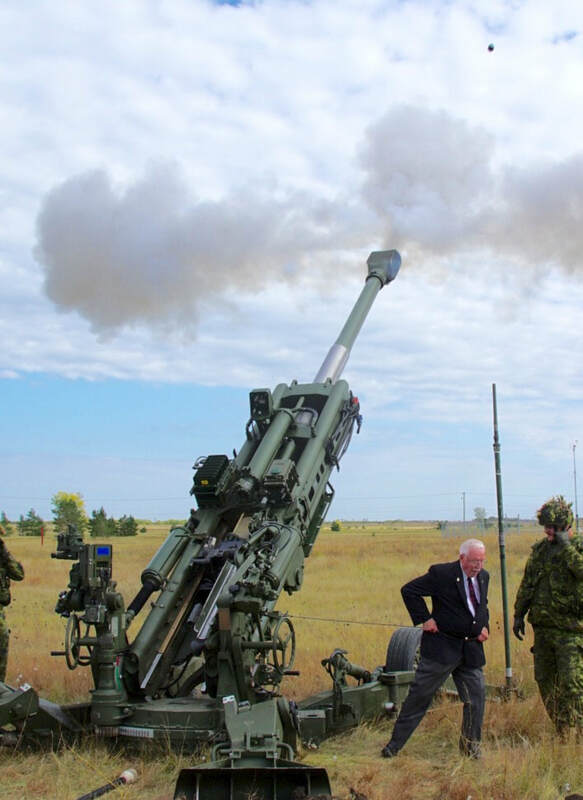 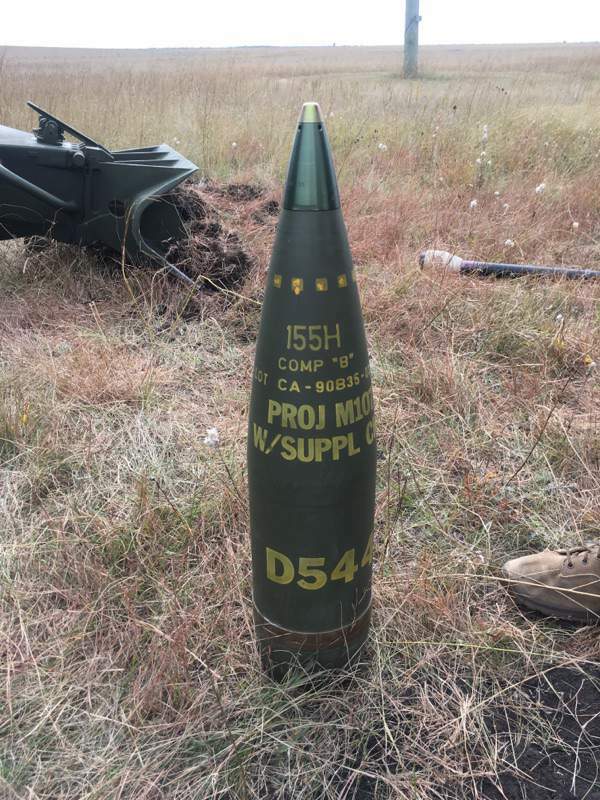 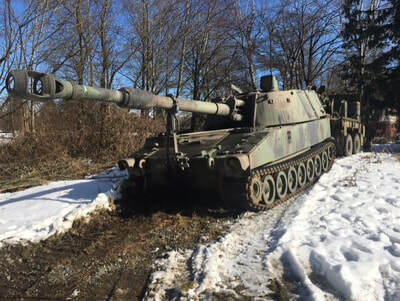 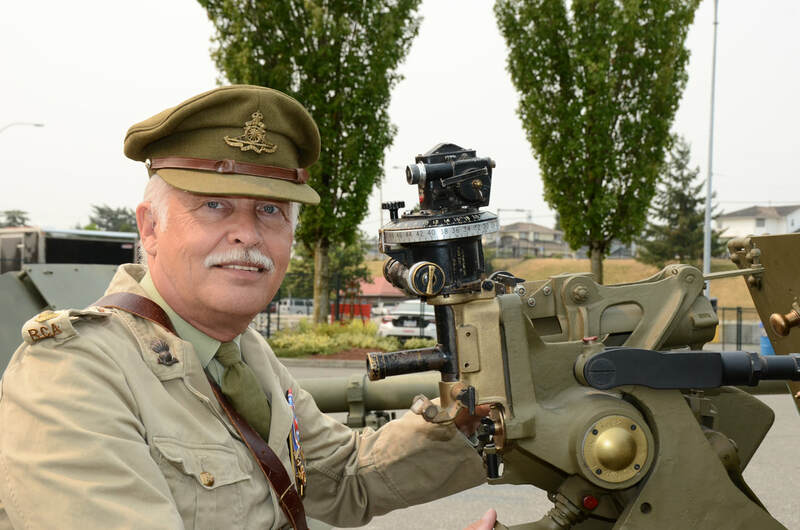 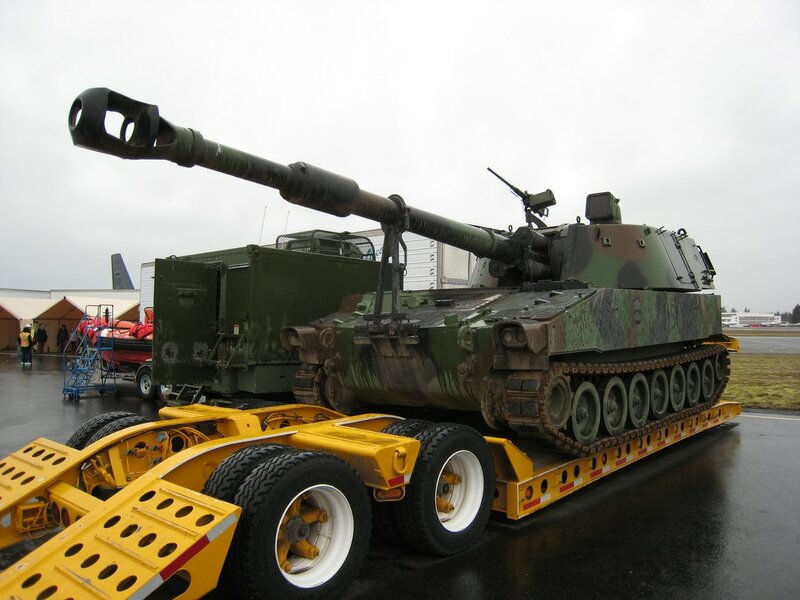 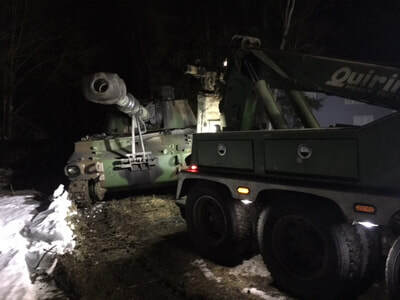 It looks like Major (ret) Ian Newby can lay claim to having the largest piece of ordnance in the Lower Mainland as he takes delivery of his M109 155 mm Howitzer. 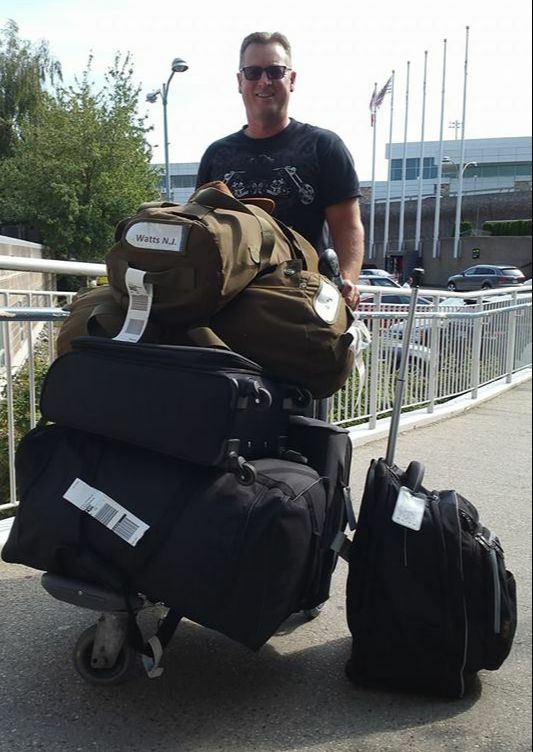 That's quite the collection he's got! 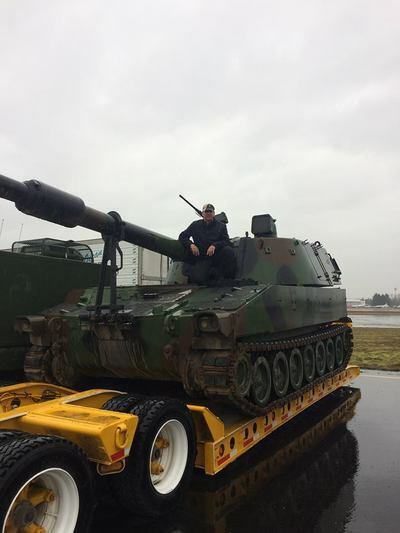 What do you do when you have the biggest Gun in the valley? You loan it out to events like "Sky's No Limit - Girls Fly Too" and find a couple of retired Gunners like Darren Kostinuk and Ian Smith to explain the workings to an interested audience. Former Regimental Sergeant Major Chief Warrant Officer (ret) Brian Cormier lending a hand at the Military Museum in New Richmond. 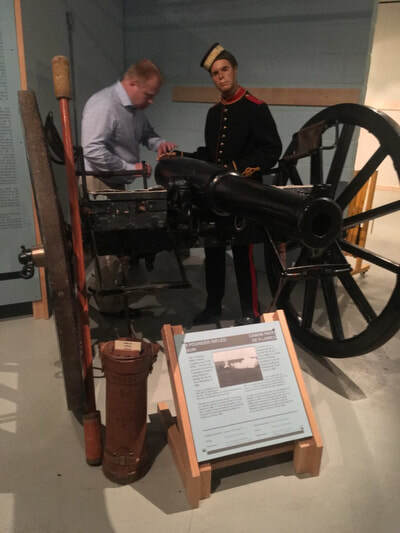 Musée militaire de la Baie des Chaleurs - Chaleur Bay Military Museum. 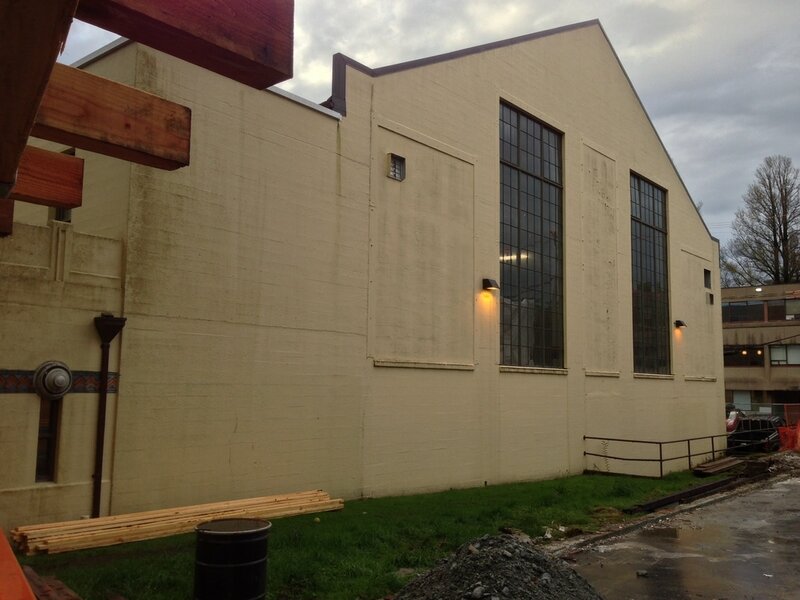 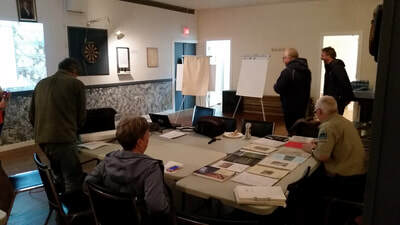 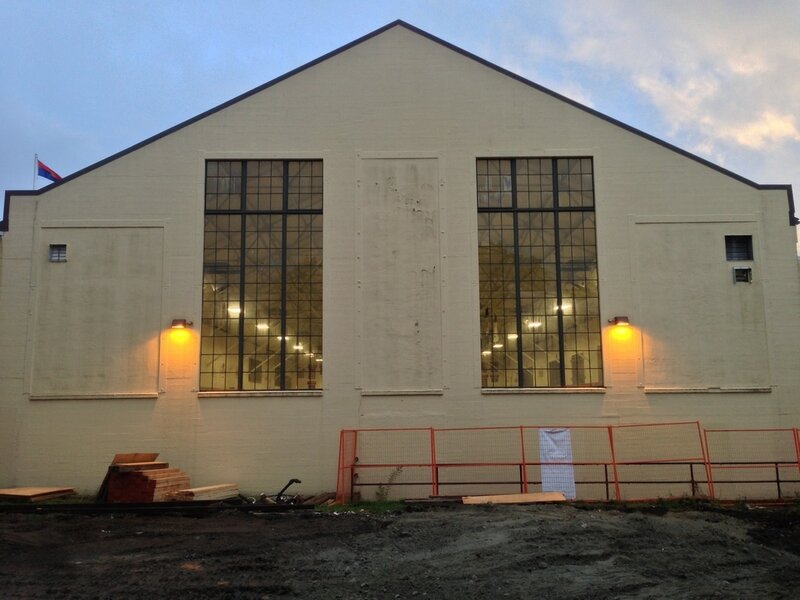 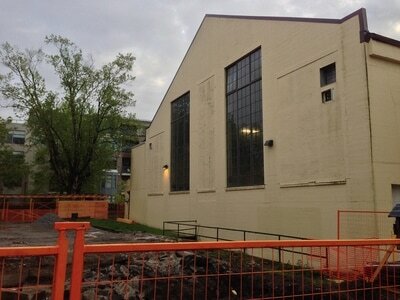 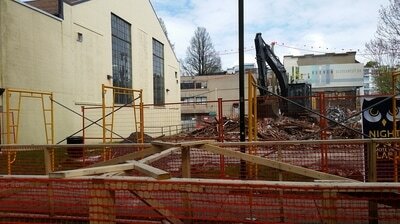 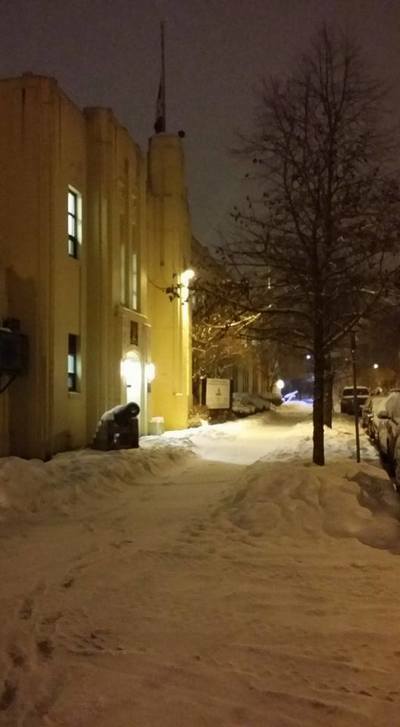 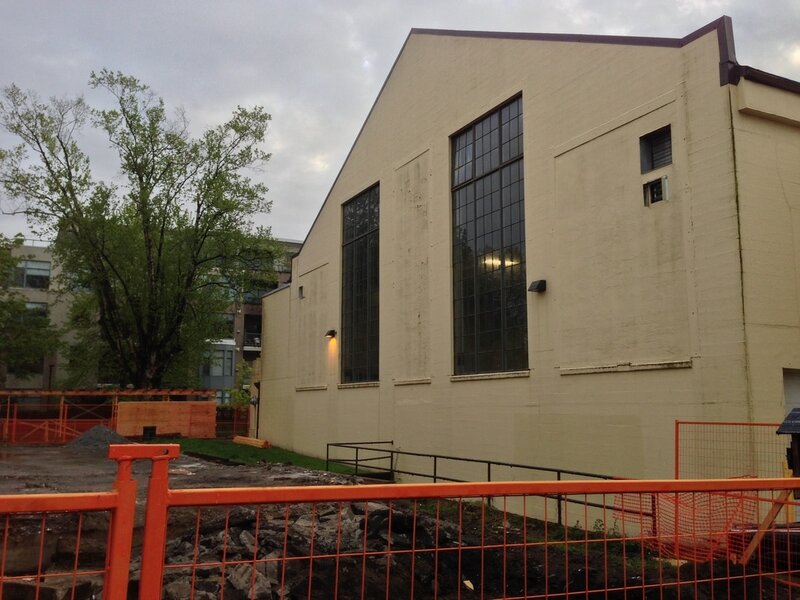 Bessborough Armoury's long time neighbours on the east have fallen victim to progress. 2665 and 2683 Maple Street are in the midst of a redevelopment. 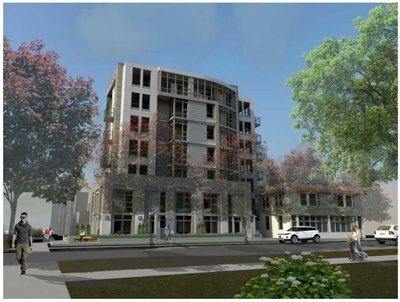 One building has been torn down and the other appears to have been included in the plan in order to retain a heritage classification. 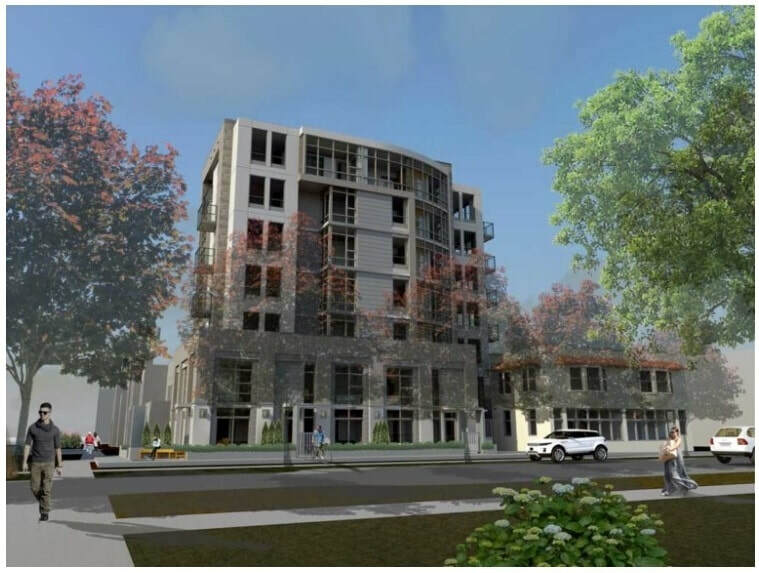 The attached email file provides an opposing view to the development.